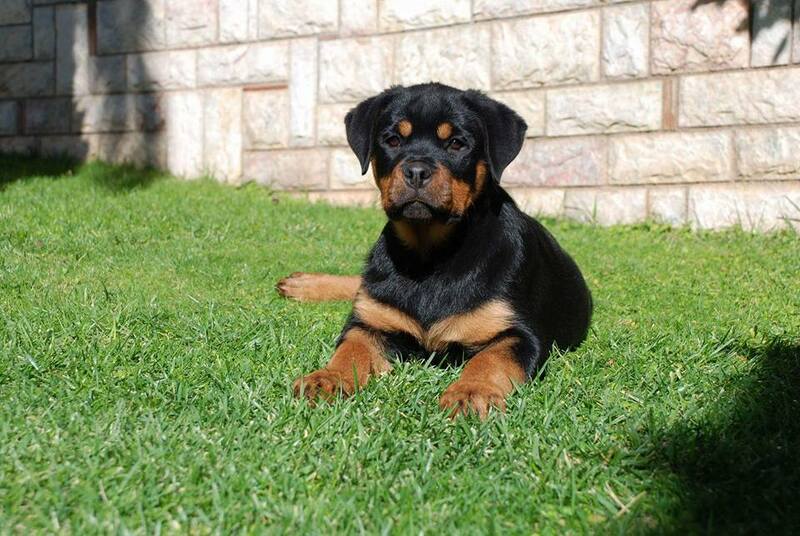 Thanks to our friend and Mosor's owner Patrick for beautiful photo! 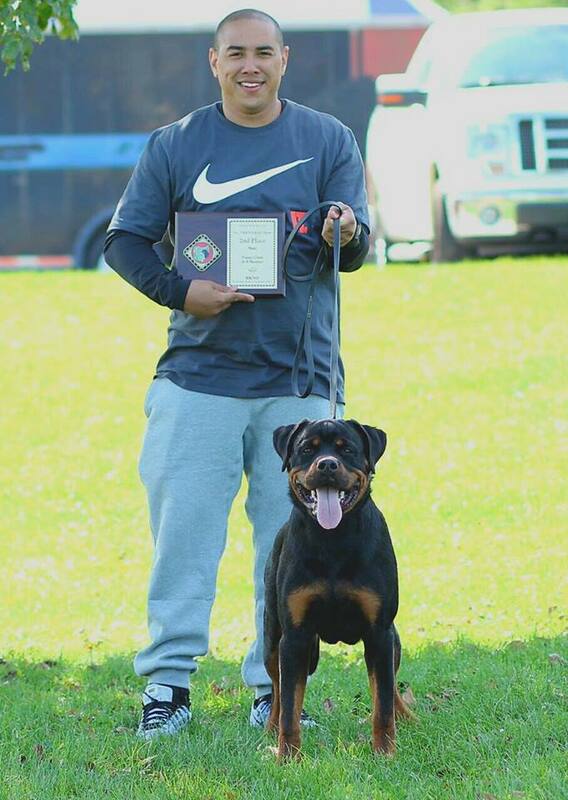 Congratulations to our friend Mario! 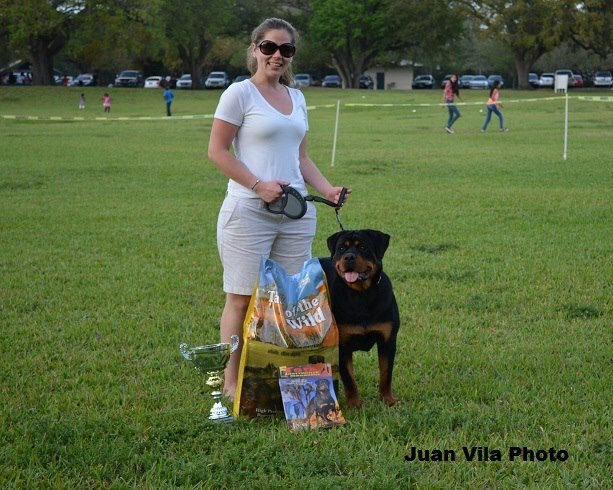 Congratulations to our friend and Mia's owner JaI! 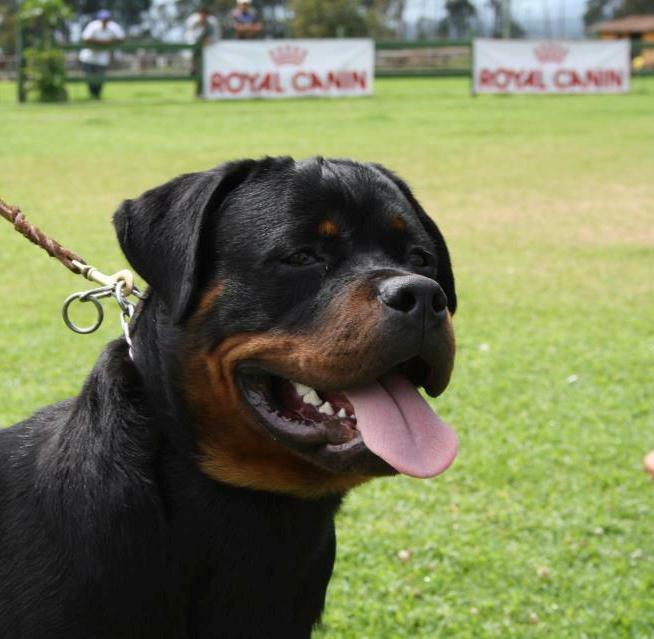 IN ECUADOR AND NUMBER FIVE DOG ALL BREED IN ECUADOR! 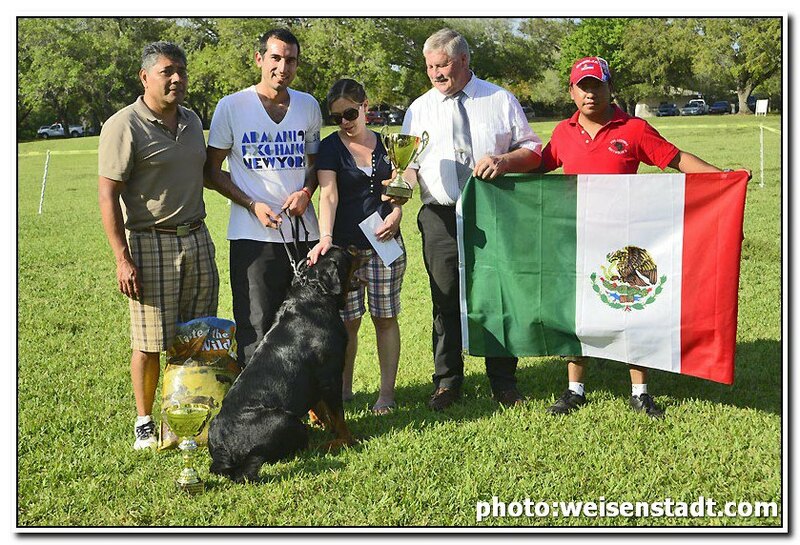 Congratulations to our friend and Amboss's owner Francisco! 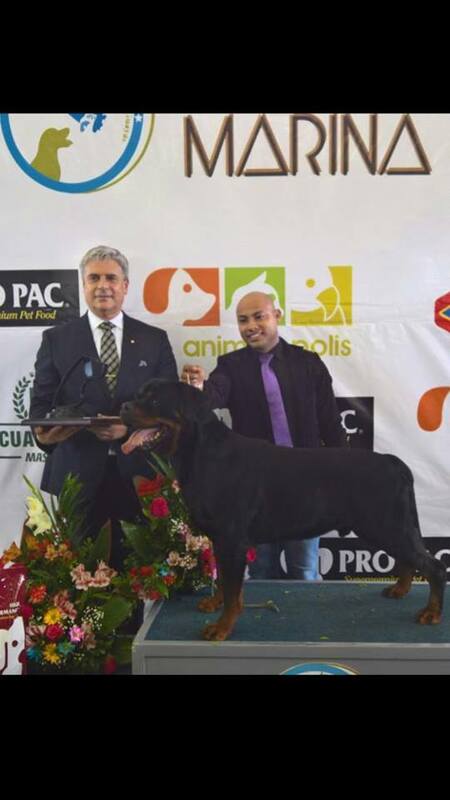 Congratulations to Impa'a and Latoya's owner Lie and to Gitta's, Wilma's and Picasso's owner Husen! 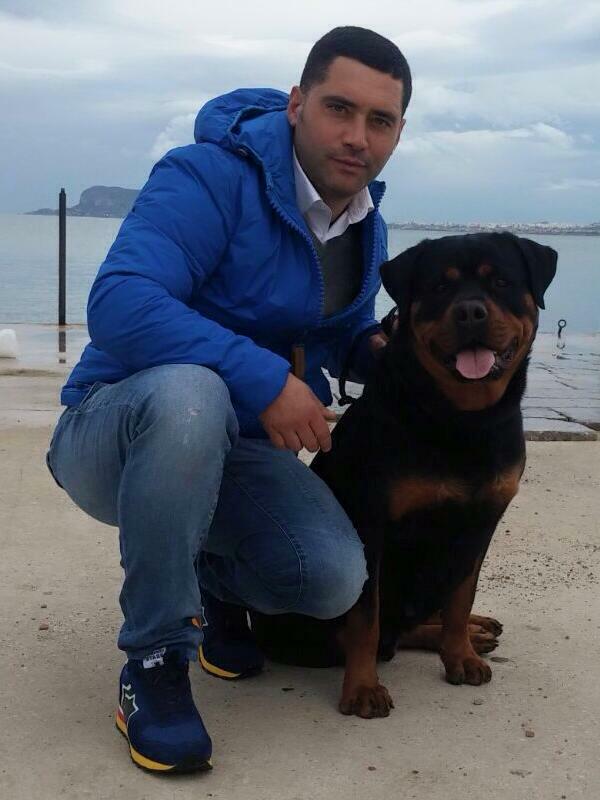 Thanks to our friend and Gonzzo's owner Mariano for beautiful photo! 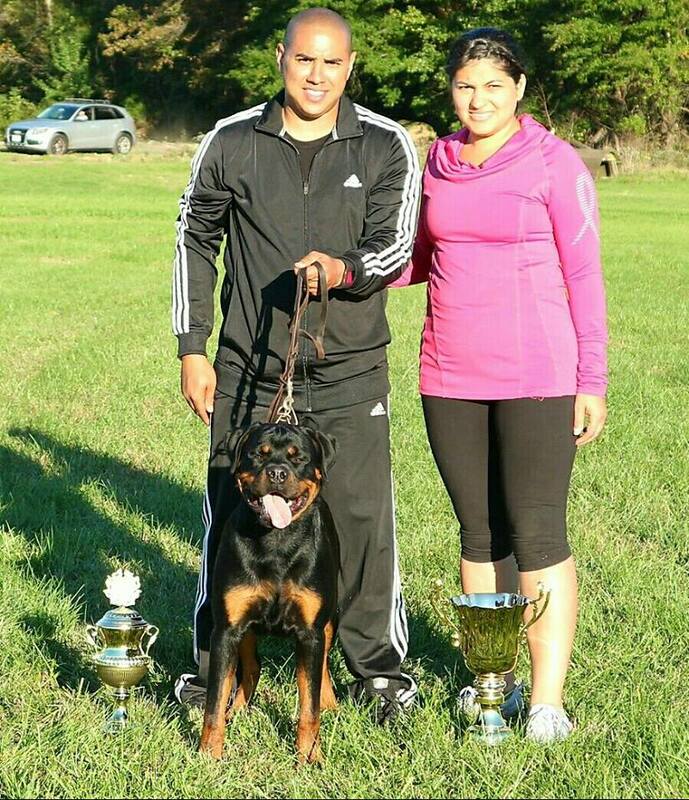 Congratulations to our friends and Magic's owners Jeremy and Isabel! 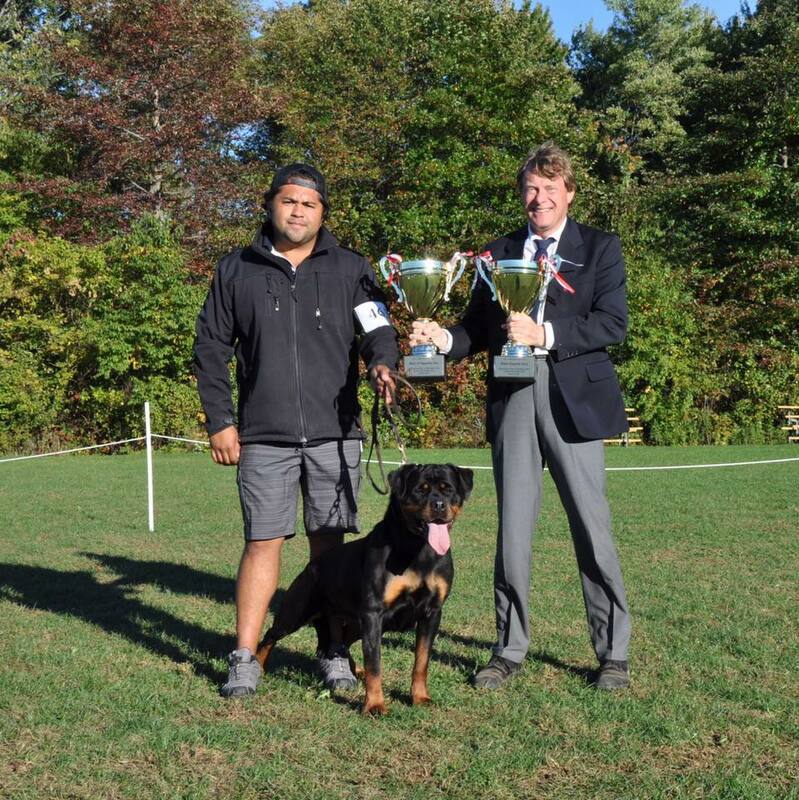 Congratulations to Neeco's owners Gerard and Ia! 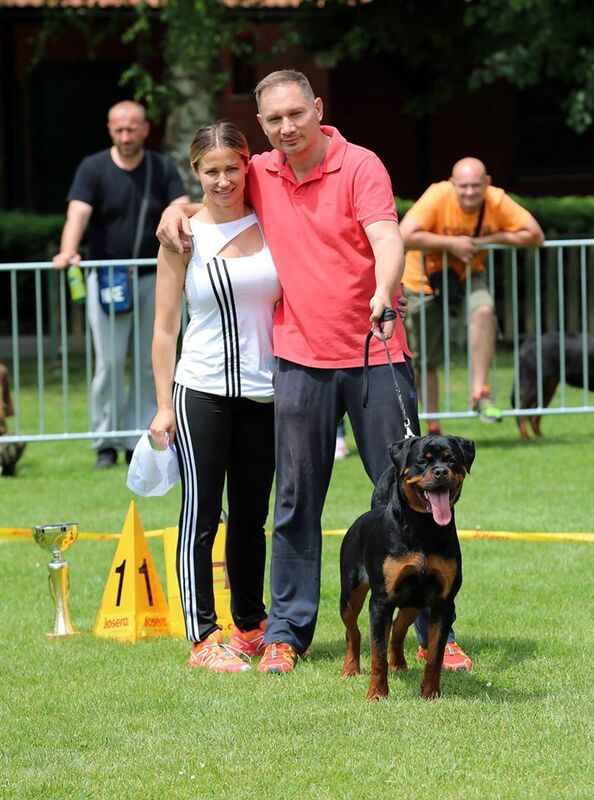 Congratulations to Lexa's owner Alex and Magic's owners Jeremy and Isabel! 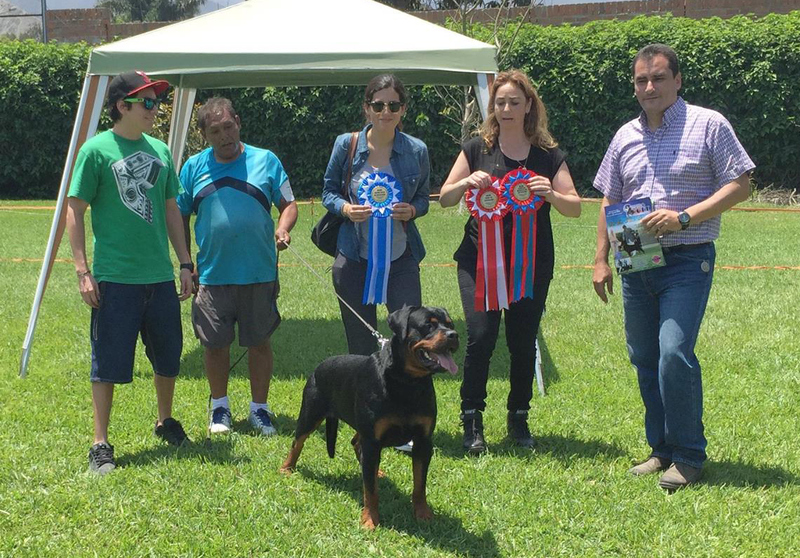 Congratulations to Luther's owner Giuliana and Diablo's owner Hector! 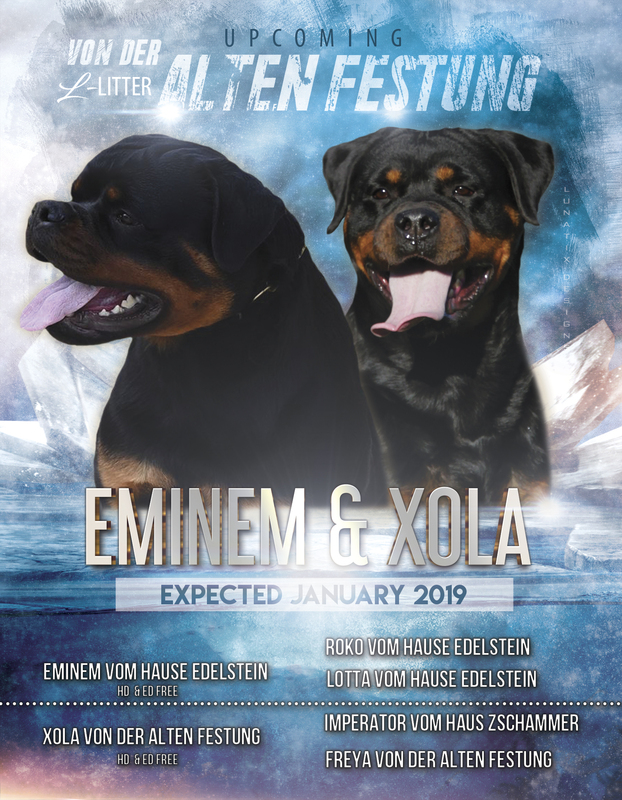 Congratulations to our dear friends Lie and Husen! 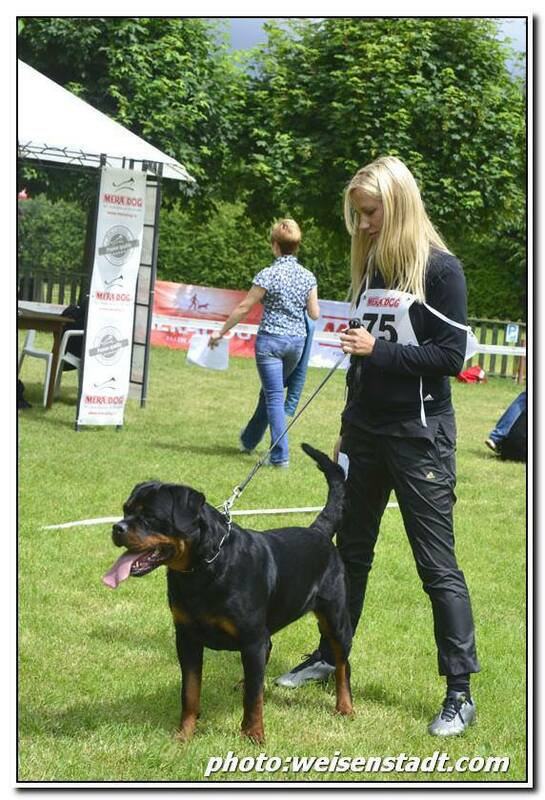 275 dogs in the show! 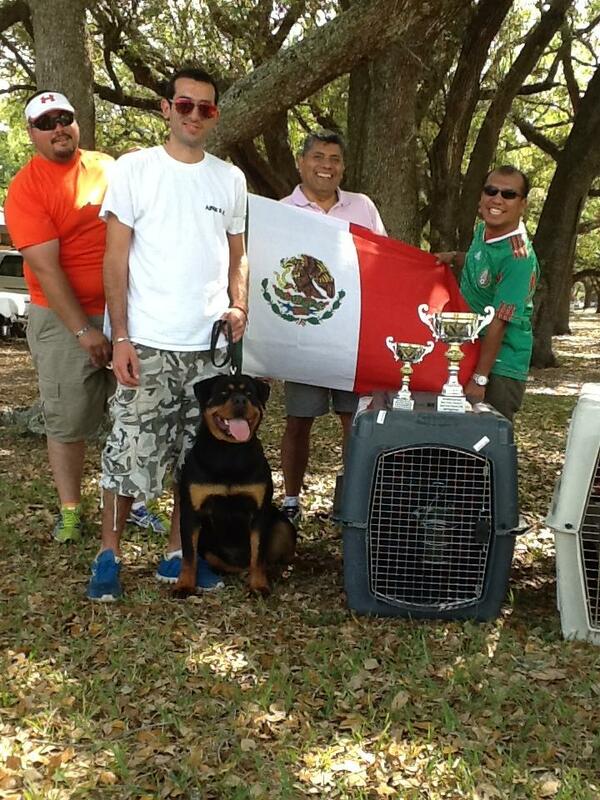 Congratulations to our friends and Fedra's owners Carlos and Leonardo! 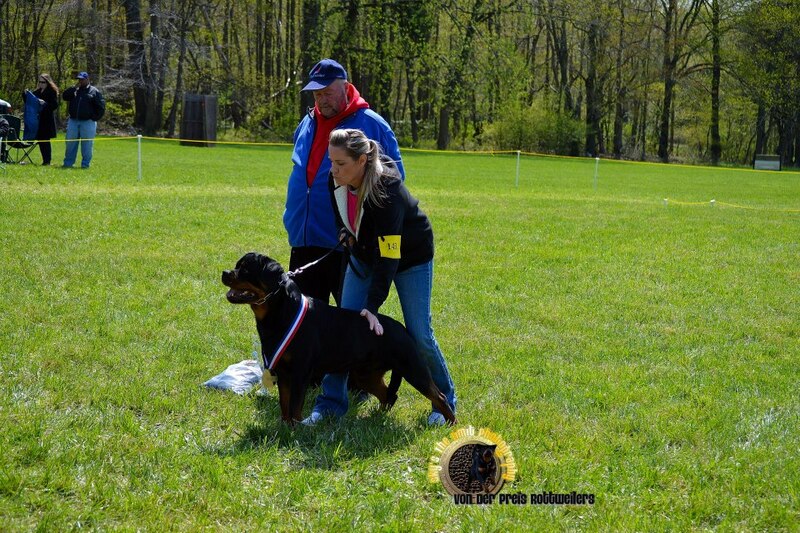 Congratulations to our friend and Keyla's owner Maren! 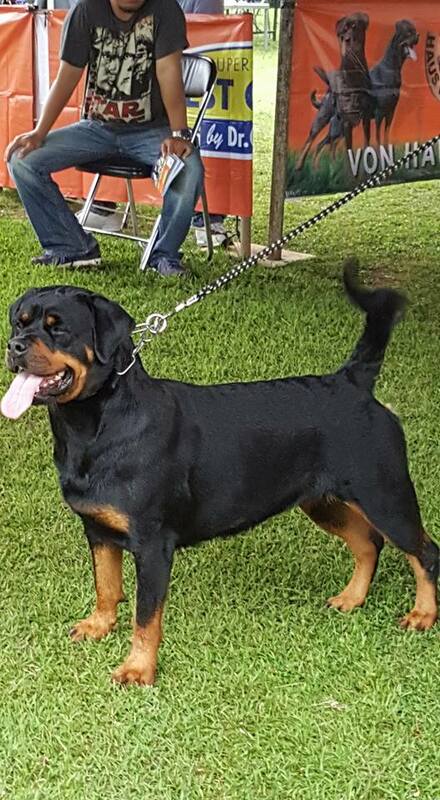 Thanks to our friend and Jessy's owner Angie for the beautiful photo! 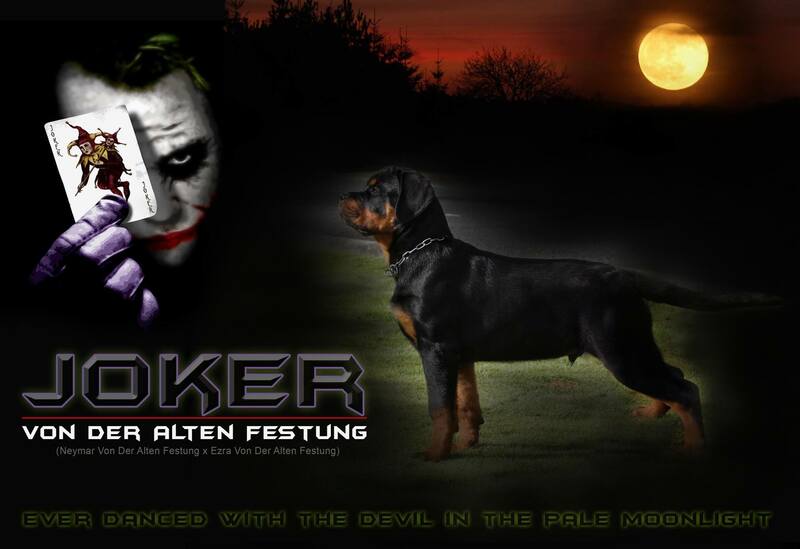 Thanks to our friend and Joker's owner Sarah for the beautiful photo! 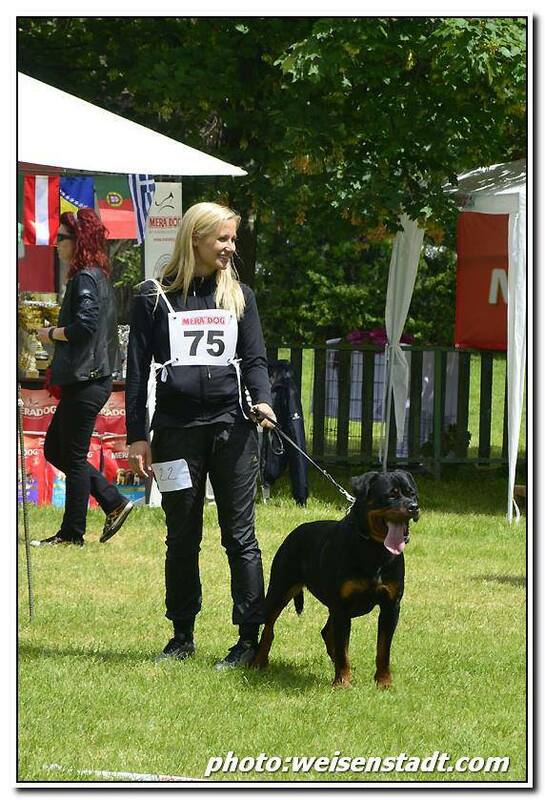 Thanks to our friends and Joy's owners Jenny and Rune for the beautiful photo! 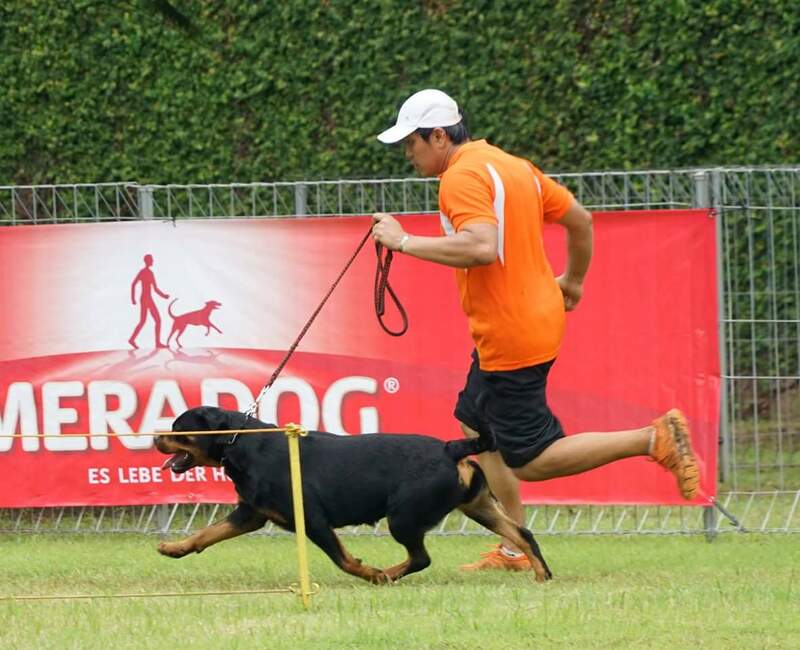 Congratulations to our friends and Neeco's owners Gerard and Ia for great result! 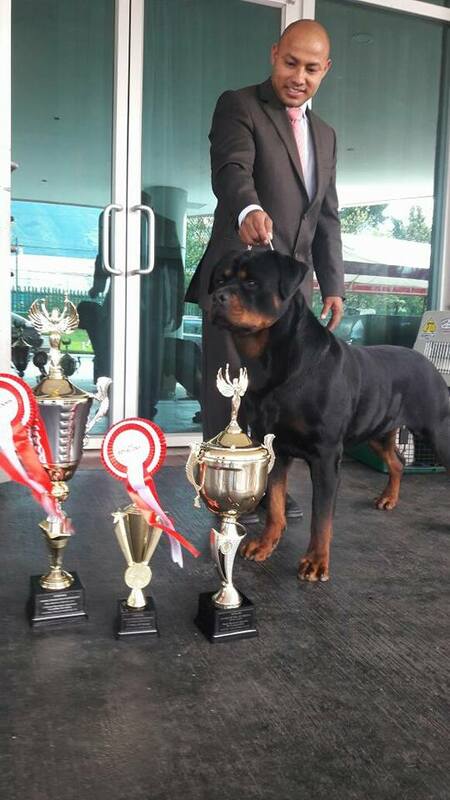 Congratulations to our friends Rana and Zafar (Xanta's owners) for great result! 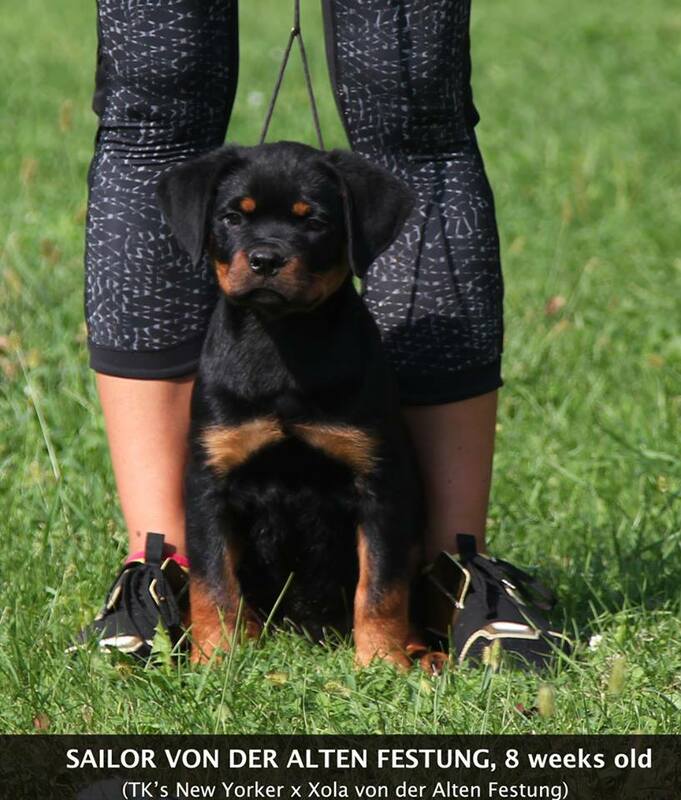 Thanks to our friend and Eiko's owner Lindsay for the beautiful photo! 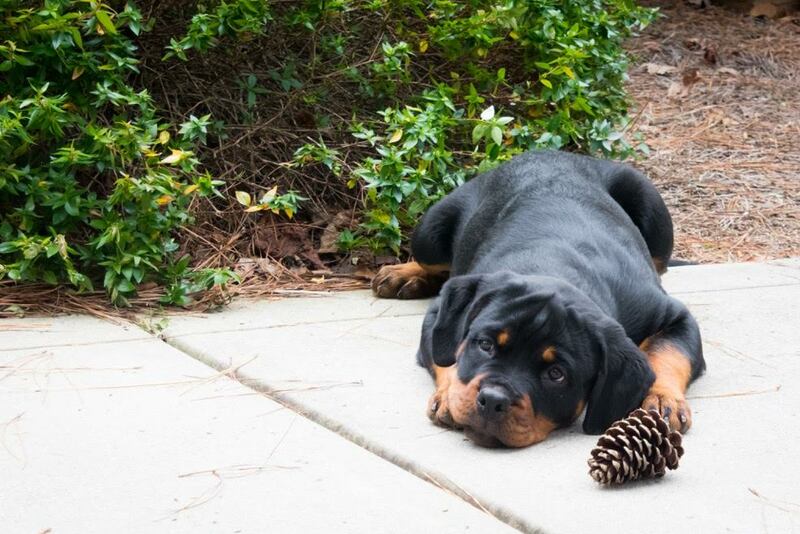 Thanks to our friend and Super's owner Sarah for the beautiful photo! 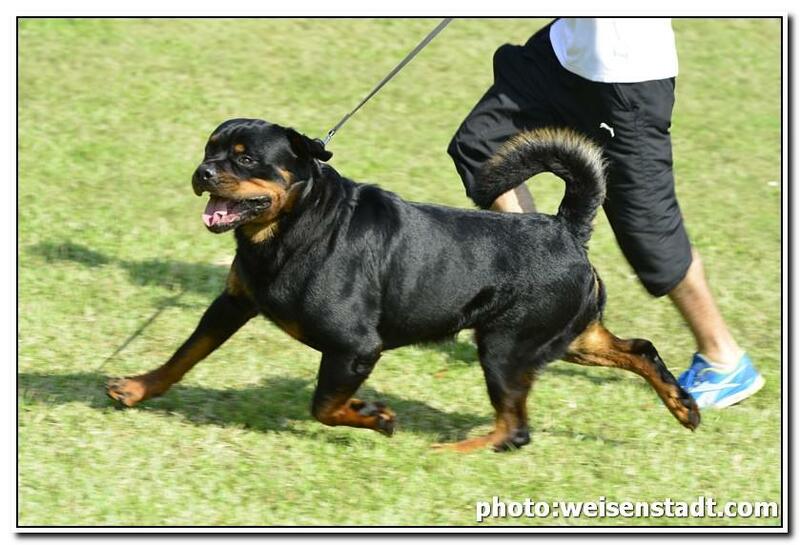 Thanks to our friend Yang (Zak's owner) for beautiful photos! 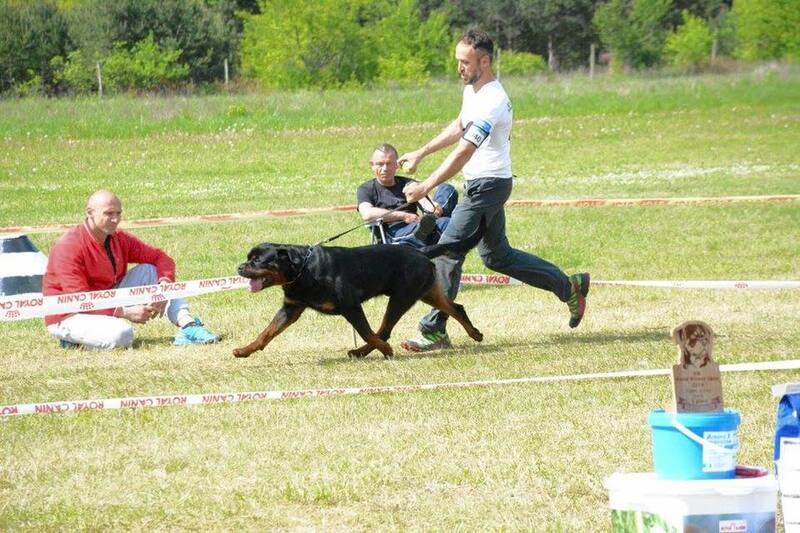 XEDOR IS NOW CHAMPION OF SLOVENIA!!! 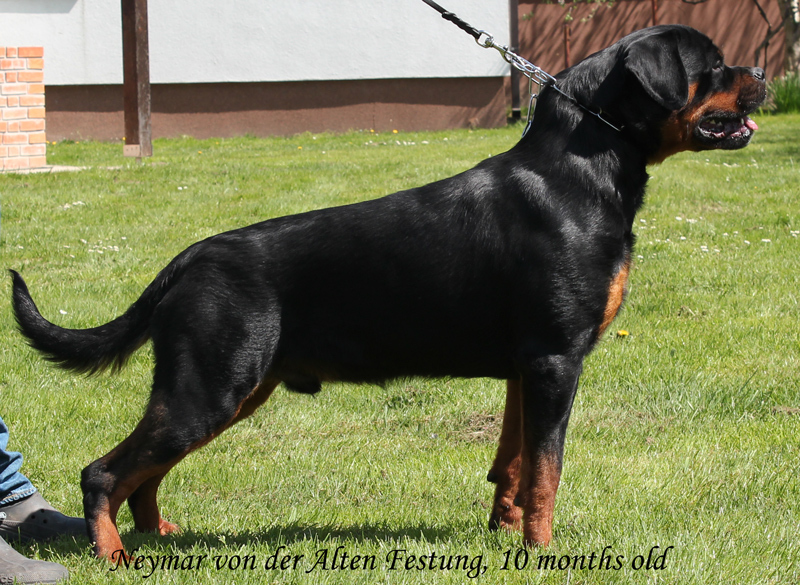 Congratulations to our friend and Neymar's owner Edward! 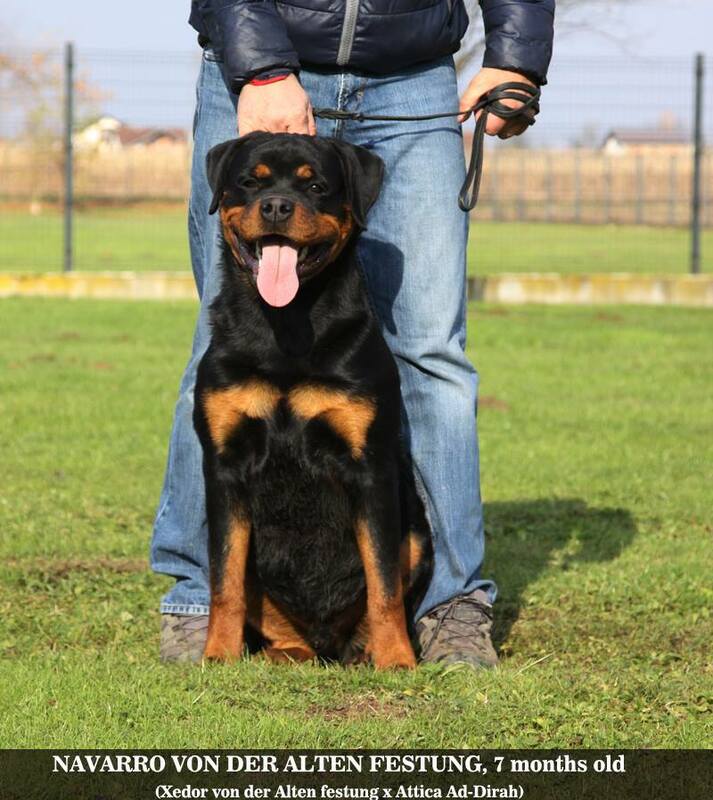 Thanks to our friend Marianno (Gonzzo's owner) for nice photo! 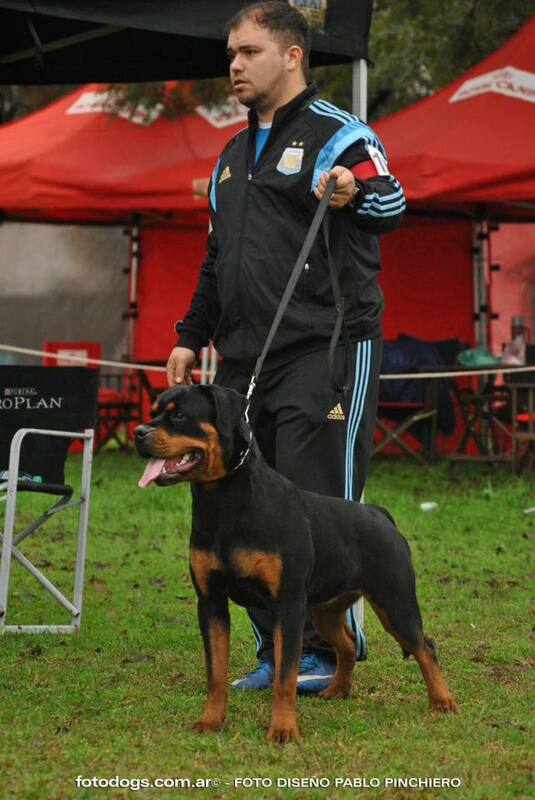 Thanks to our friends Carlos and Lenardo (Fedra's owners) for nice photo! 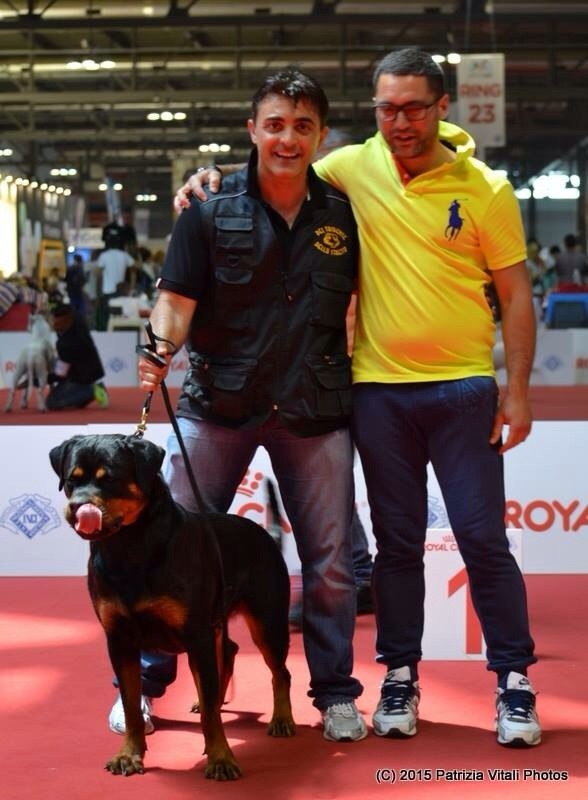 Thanks to our friends and Fedra's owners Leonardo and Carlos for nice photo! 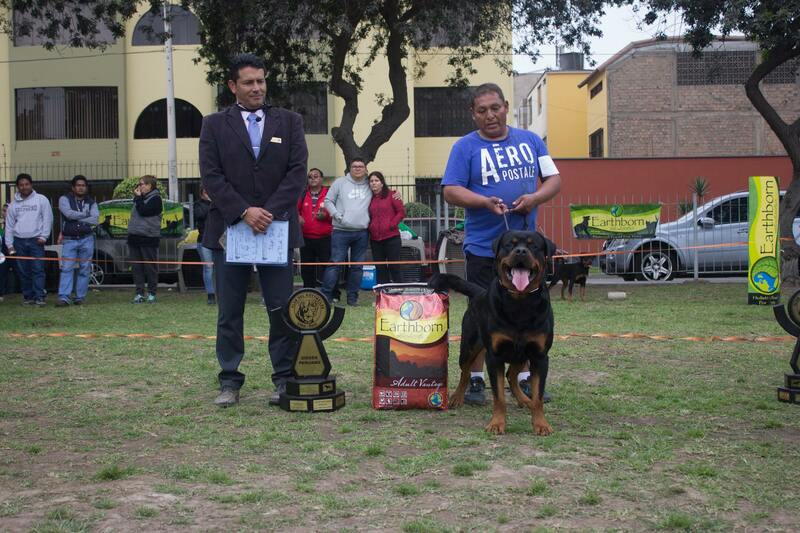 Congratulations to our friend and Amboss's owner Francisco ! 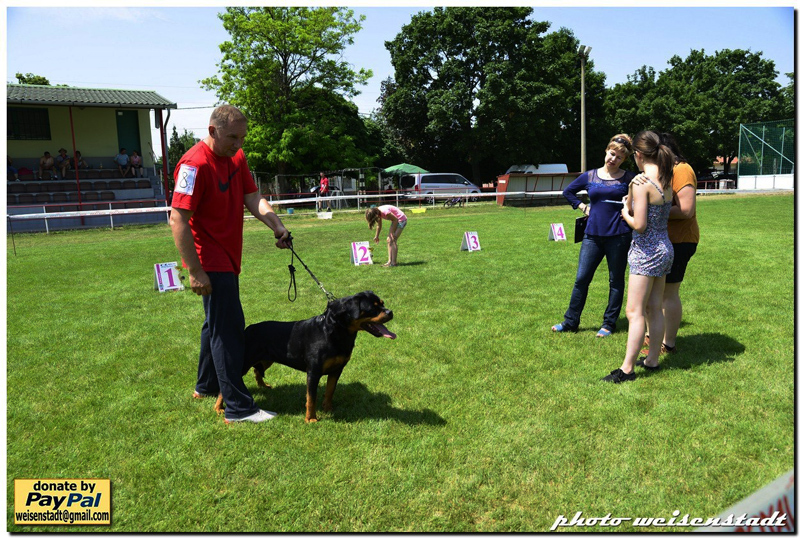 Thanks to Fara's owner and our friend Elaine for beautiful photos! 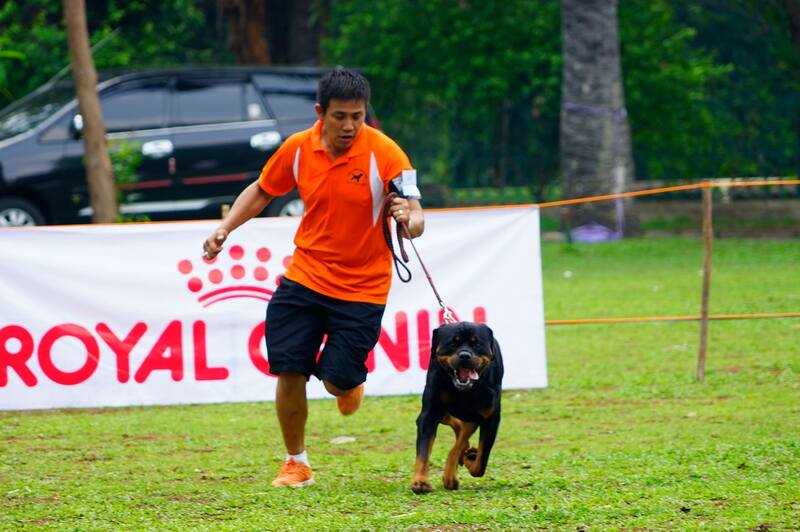 Congratulations to our friends Lie (Impa's owner) and Husen (Gitta's owner) ! 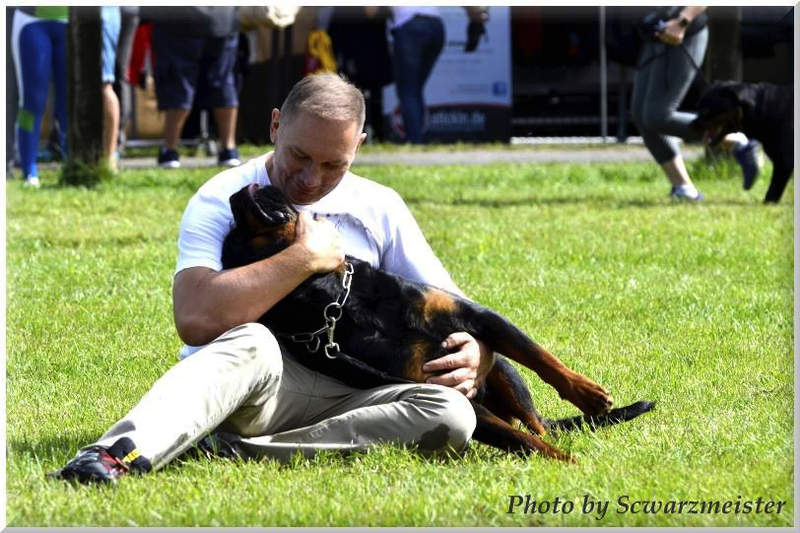 Thanks to Gaby's owner and our friend John for beautiful photo! 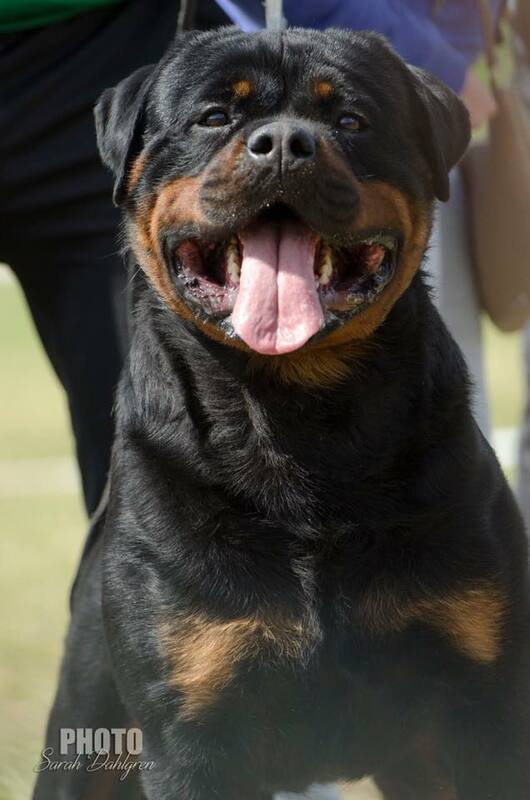 NEW PHOTOS OF OUR BEAUTIFUL GIRL!!! 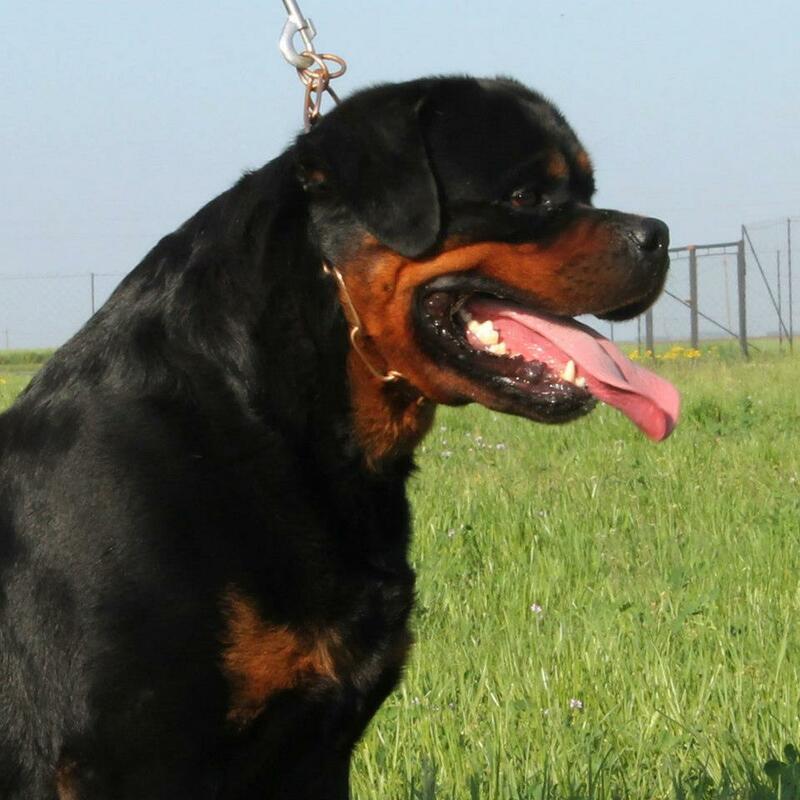 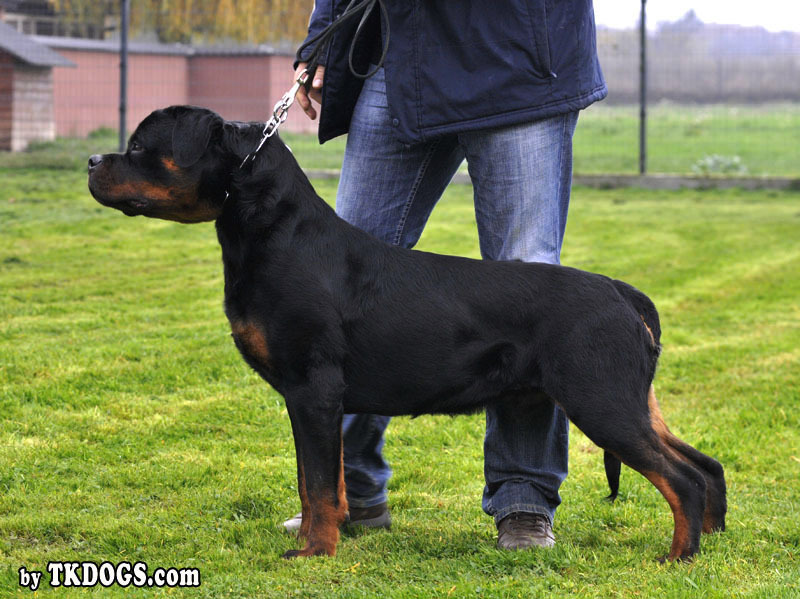 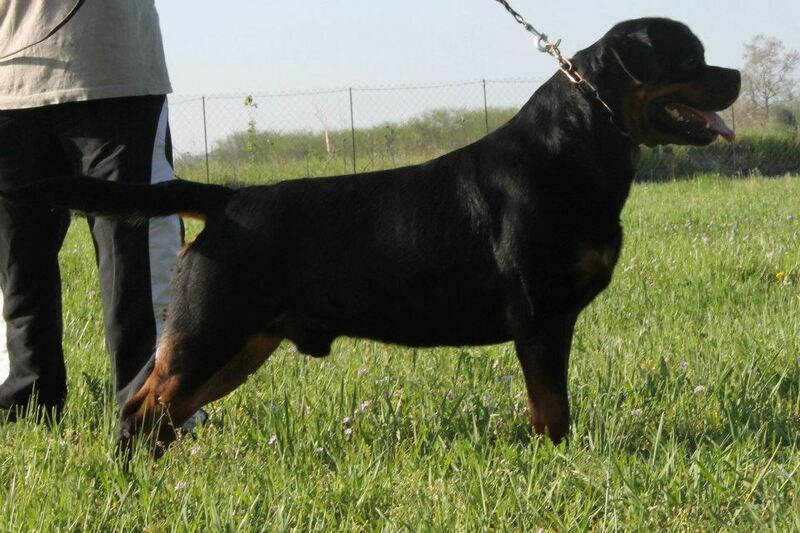 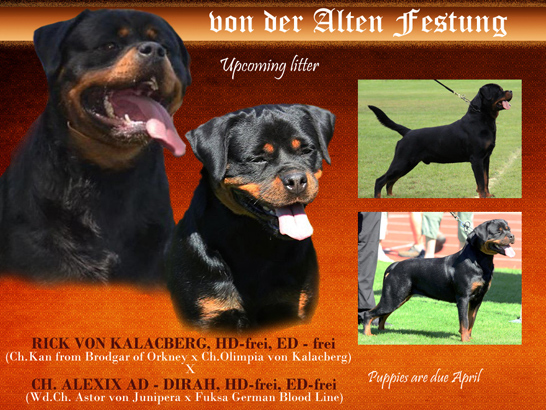 Xola is full sister of ADRK J.Ch. 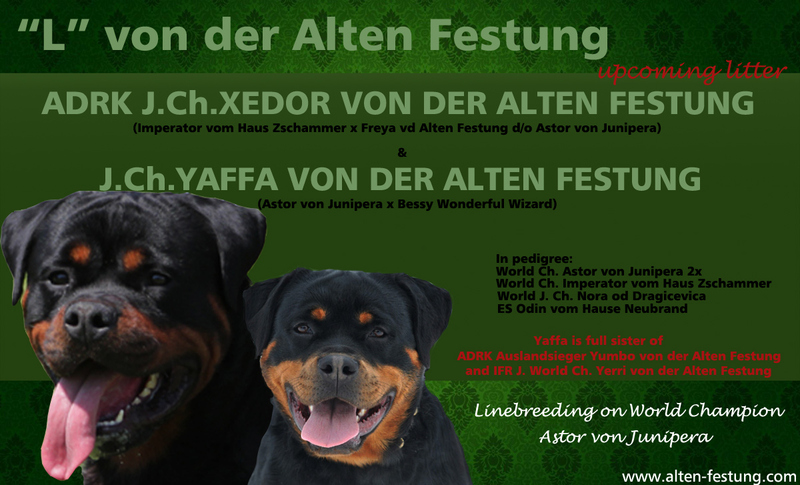 Xedor von der Alten Festung! 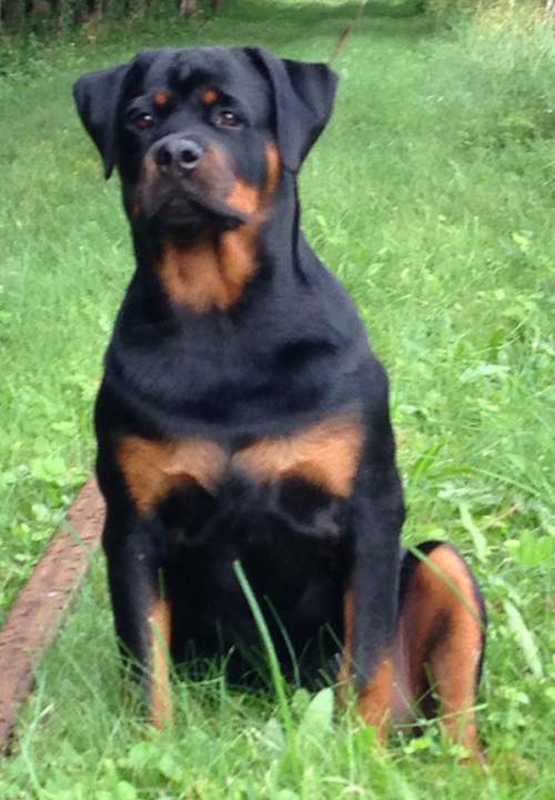 Thanks to Bridget's owner and our friend Mary for beautiful photo! 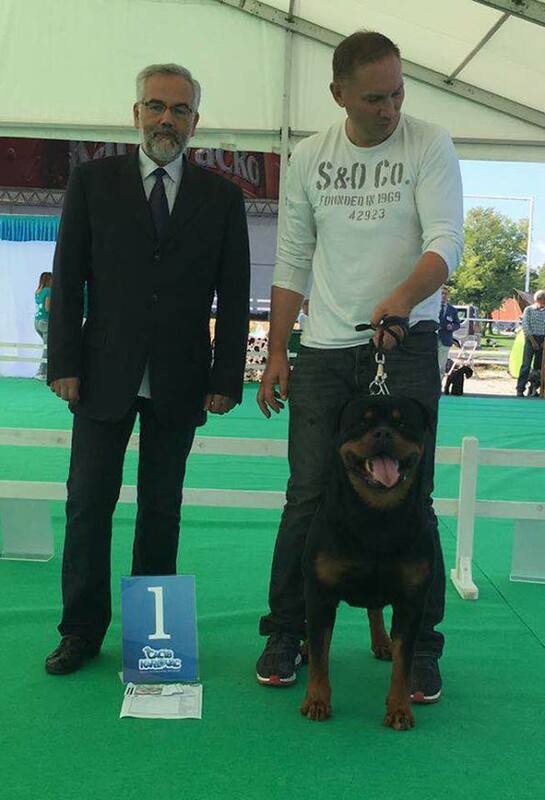 Congratulations to our friend and Noris's owner Miroslav for great result! 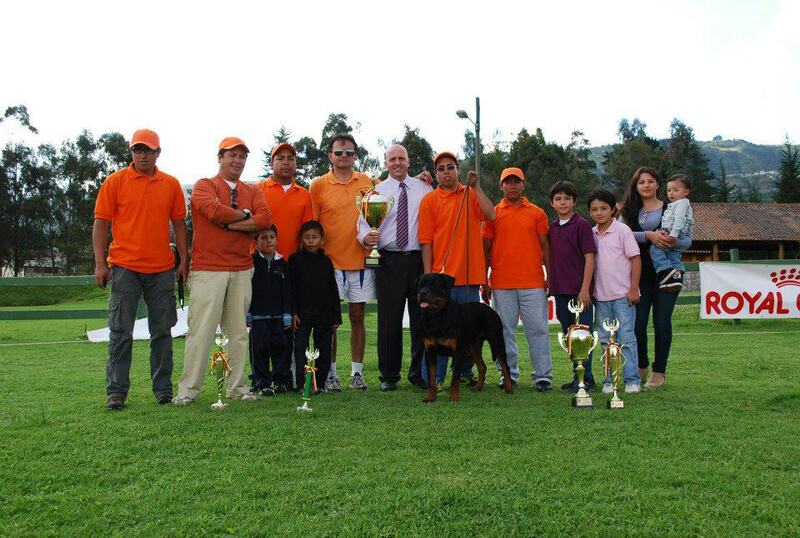 Congratulations to our friend and Amboss's owner Francisco for great result! 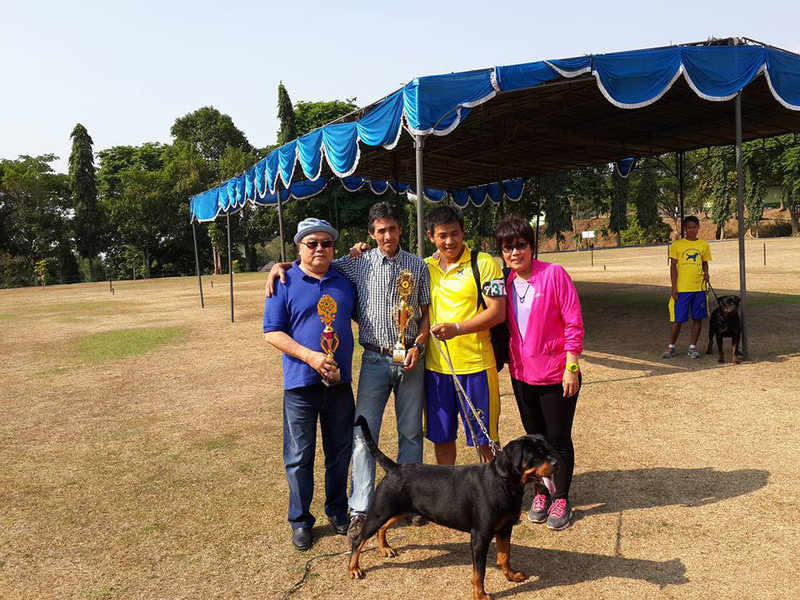 Congratulations to our friends Lie (Impa's owner) and Husen (Gitta's and Asia's owner) ! 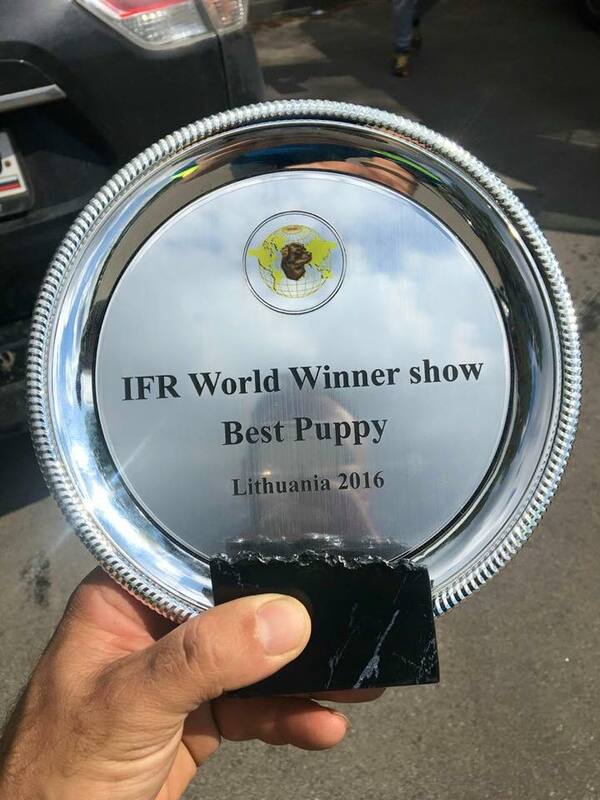 Congratulations to our friend and Luther's owner Giuliana! 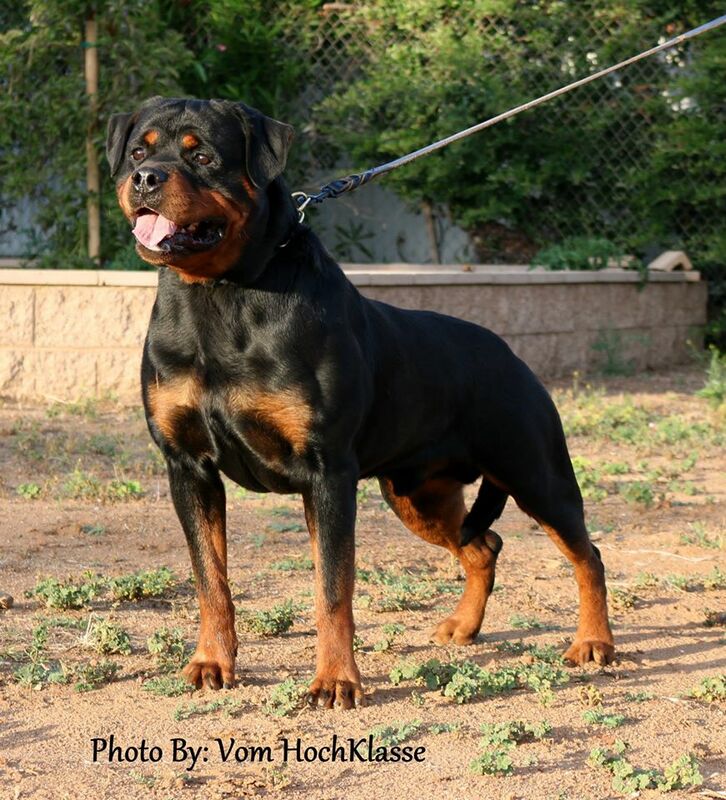 Thanks for beautiful photo to our friend and Vegas's owner Henrik! 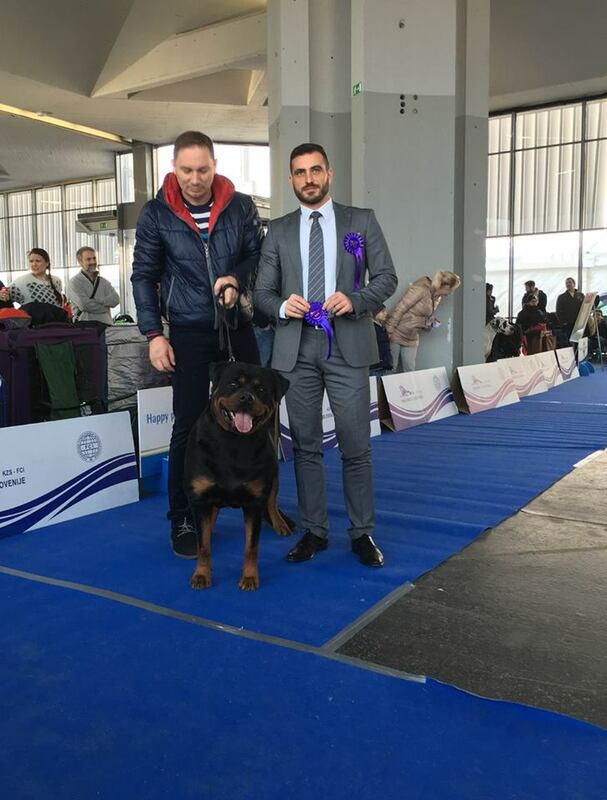 Congratulations to our friend and Jag's owner Marcellino! 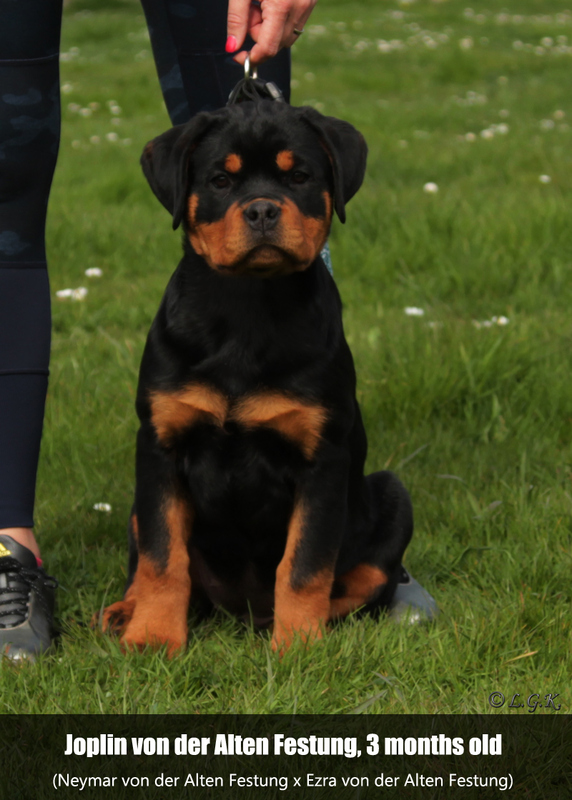 We proudly present our future star! 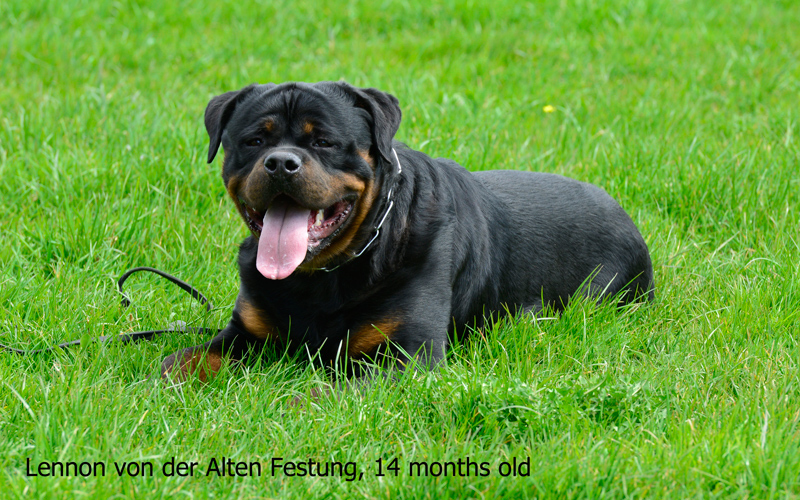 with only 18 months of age! 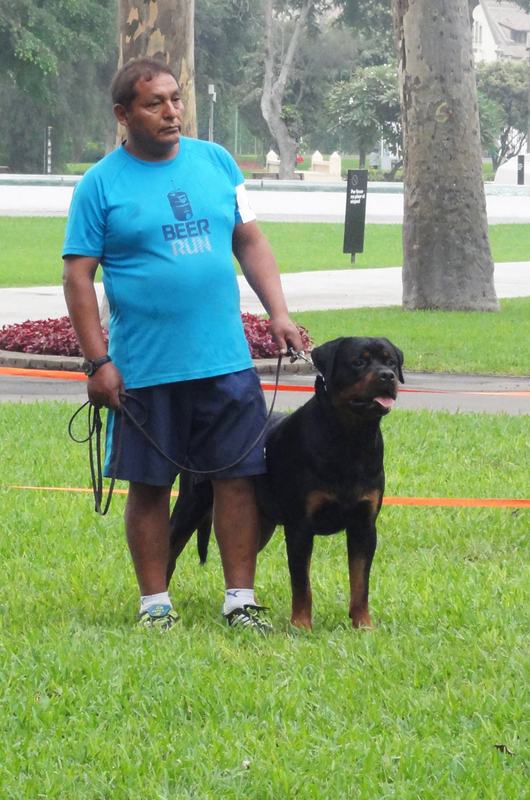 New owner of Jerry is Ruben Padron Bolanos from Spain! 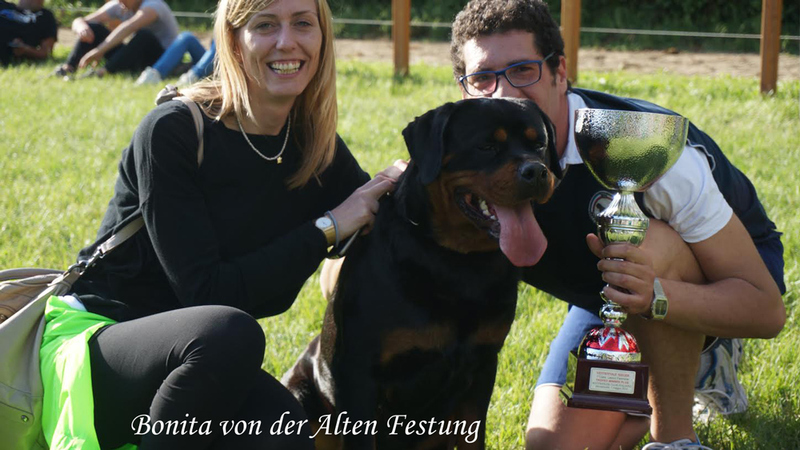 Congratulations to our friends Giuliana (Luther's owner) and Natalia (Ria's) owner! 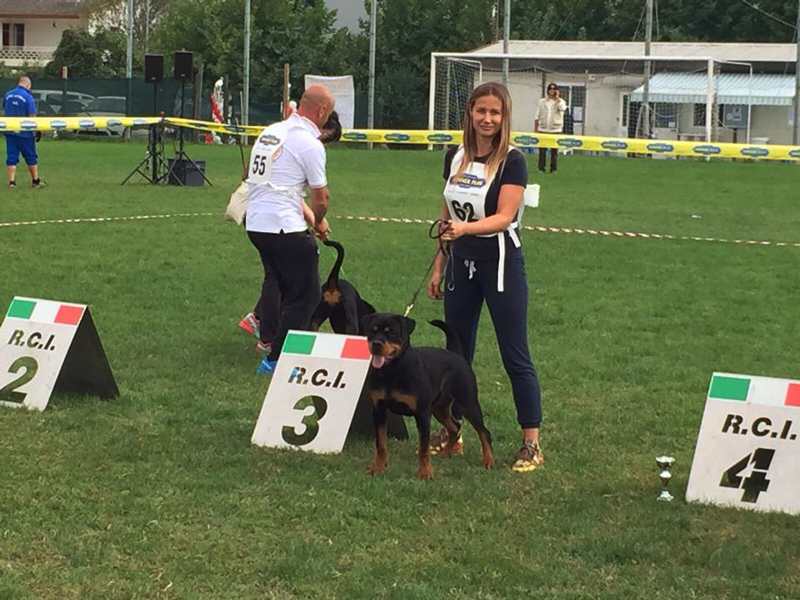 Congratulations to our friend Mario (Xendi's owner) and Antonietta (Selvaggia's owner) on a great results! 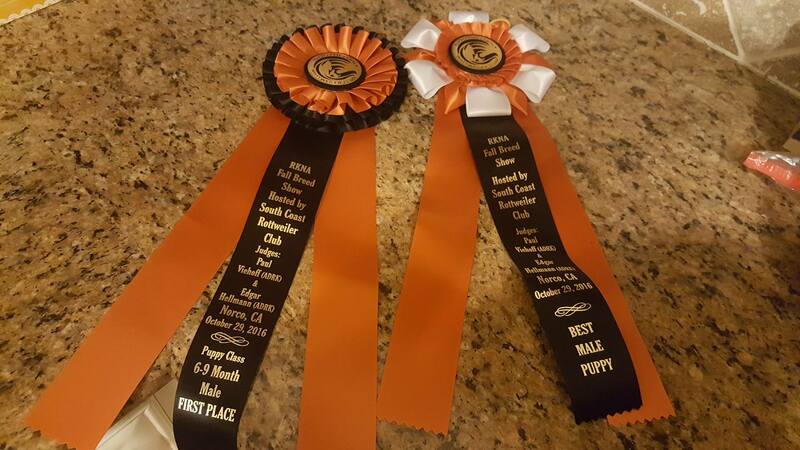 Congratulations to our friends Mary and Pam (Yumbo's owners) and Lindsay (Eiko's owner) on a great results! 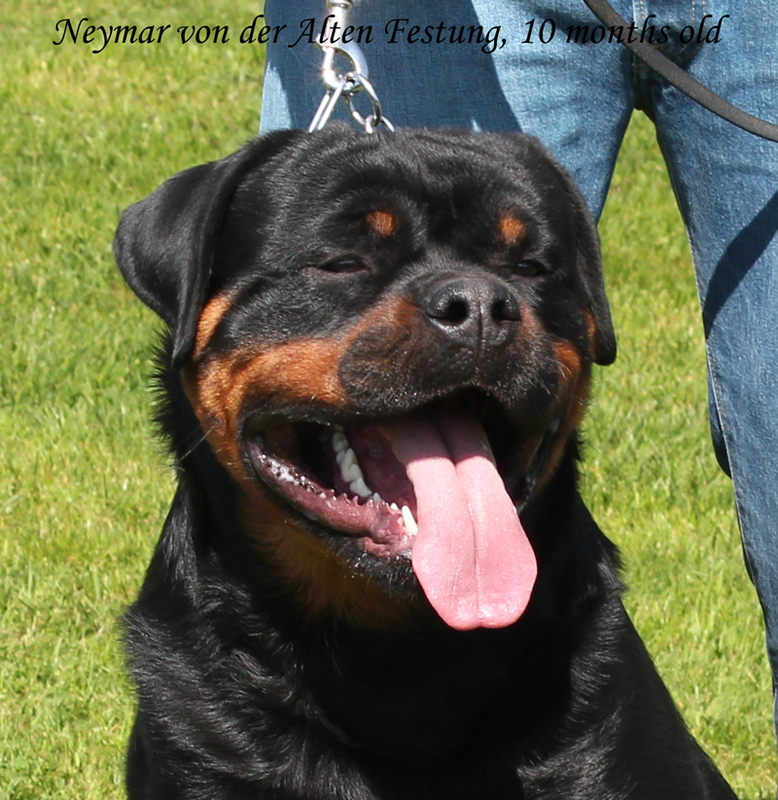 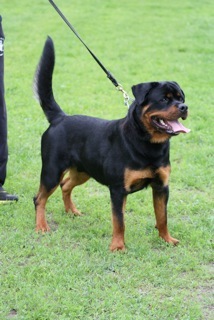 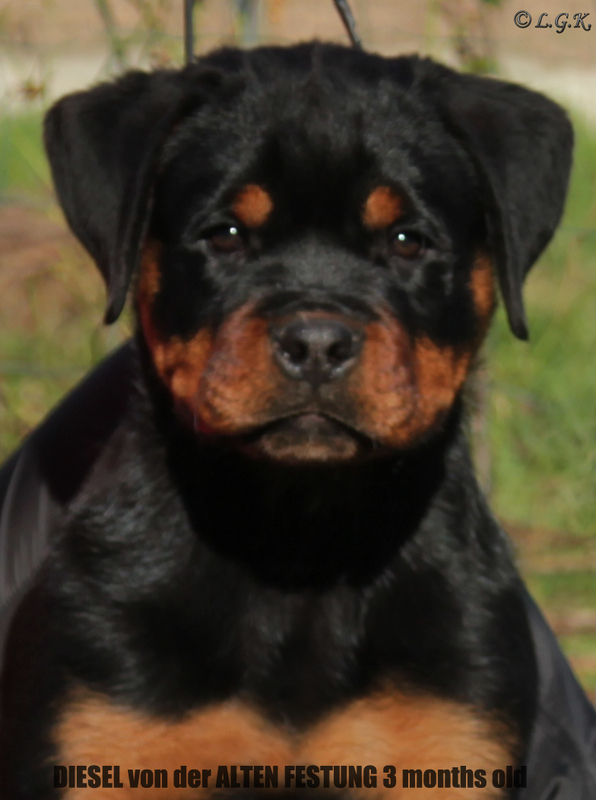 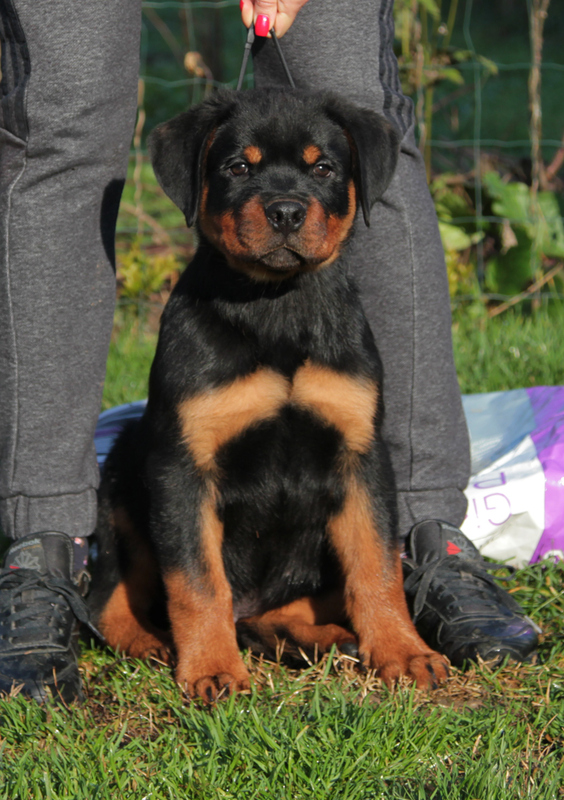 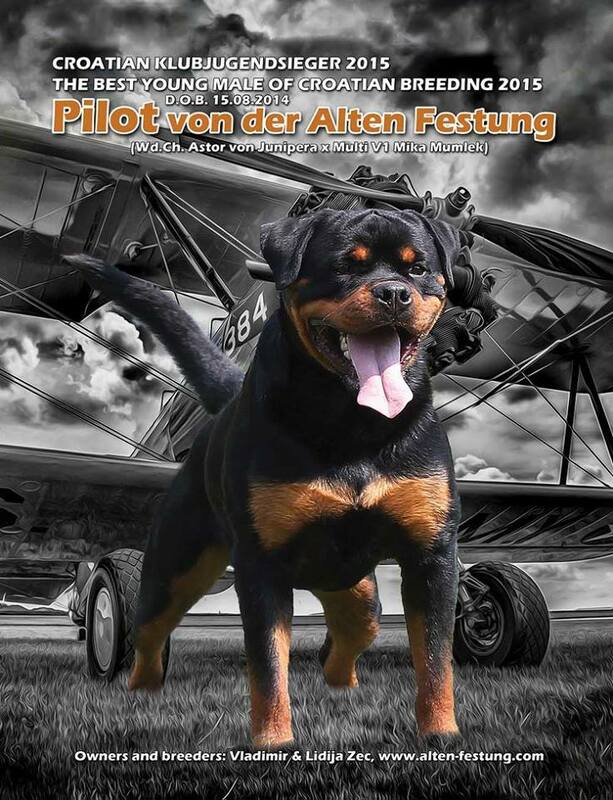 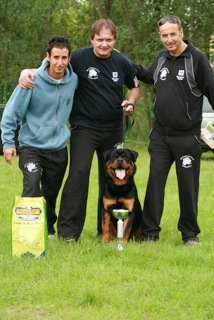 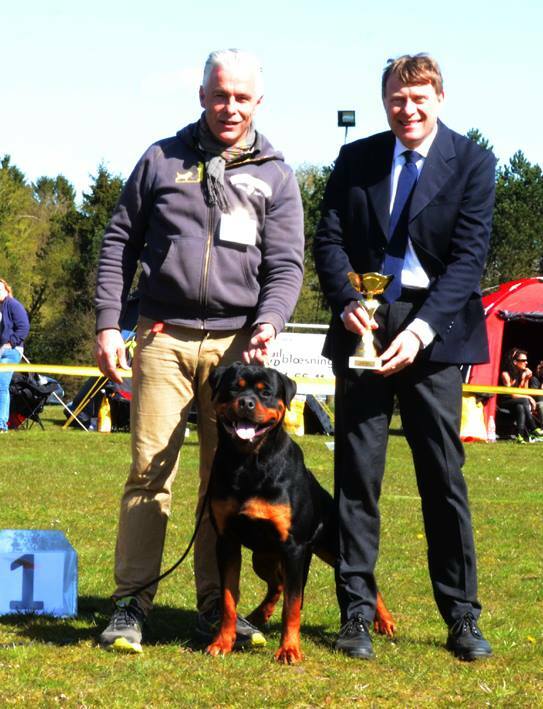 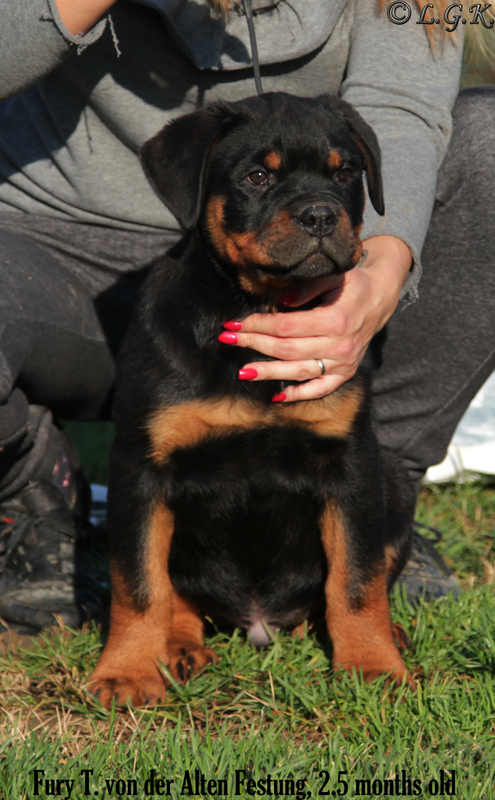 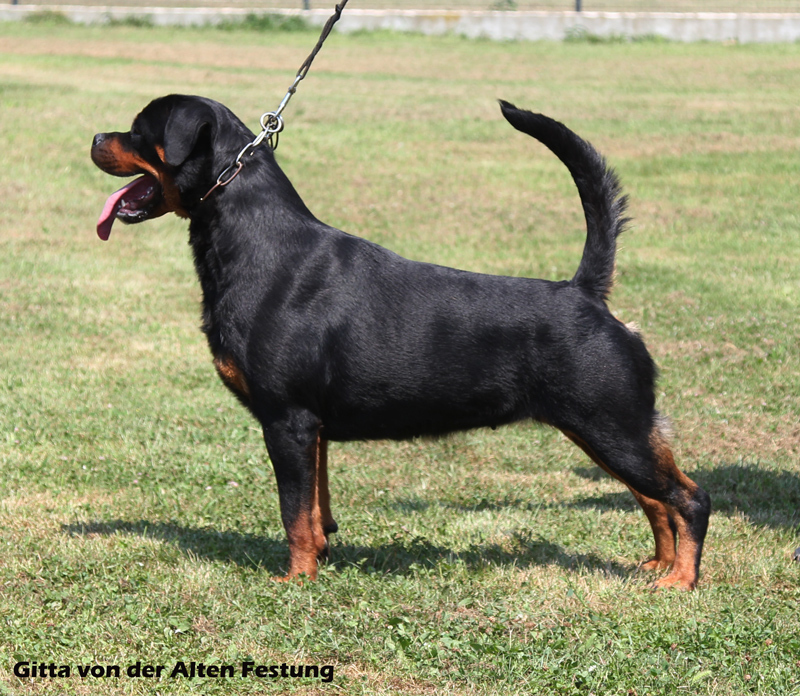 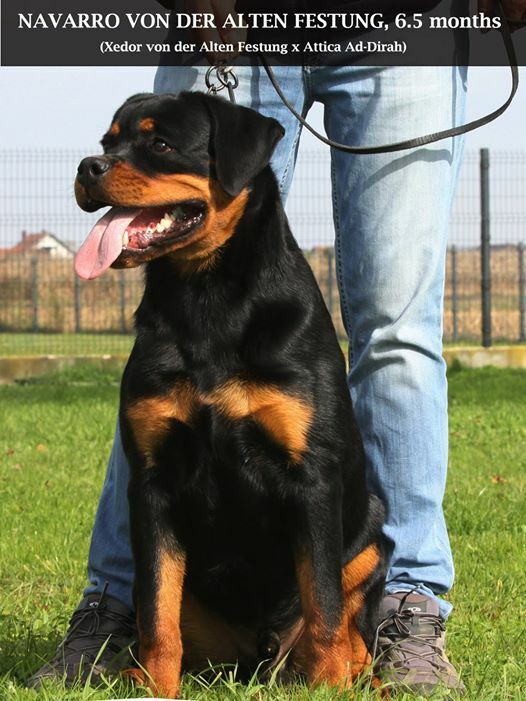 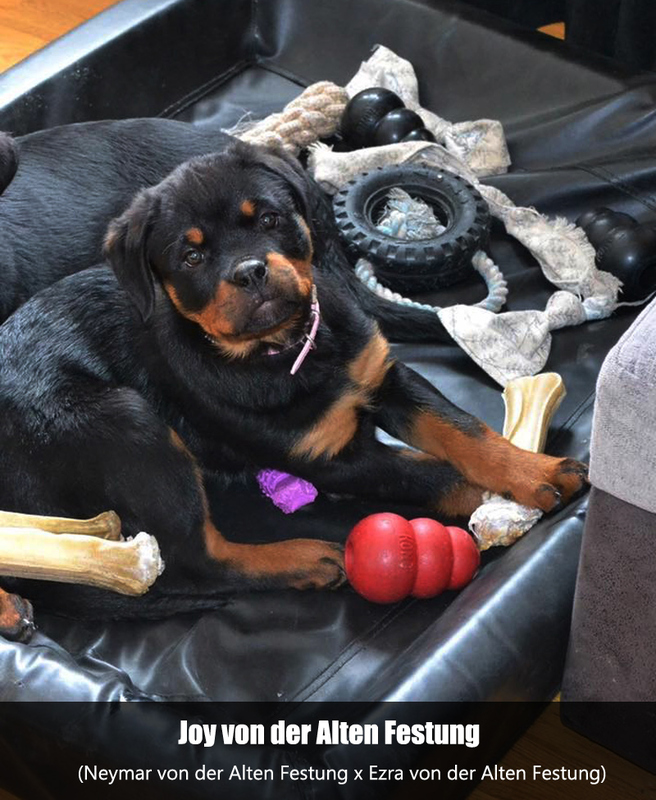 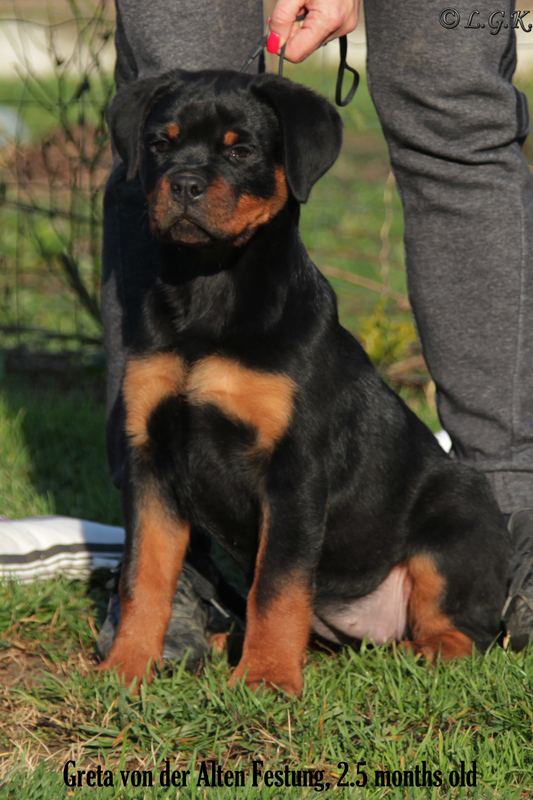 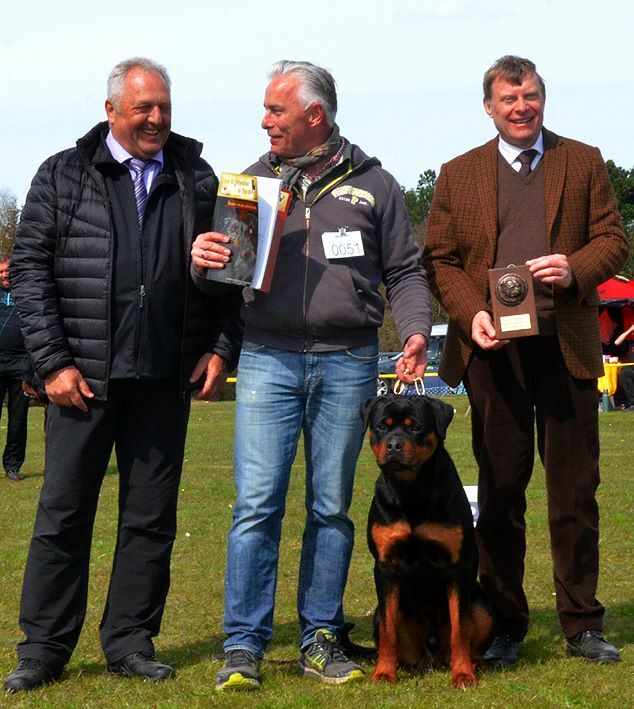 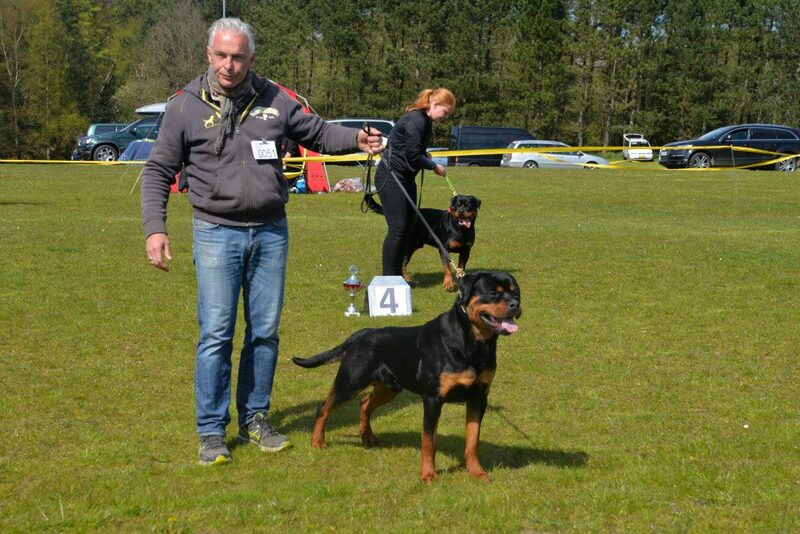 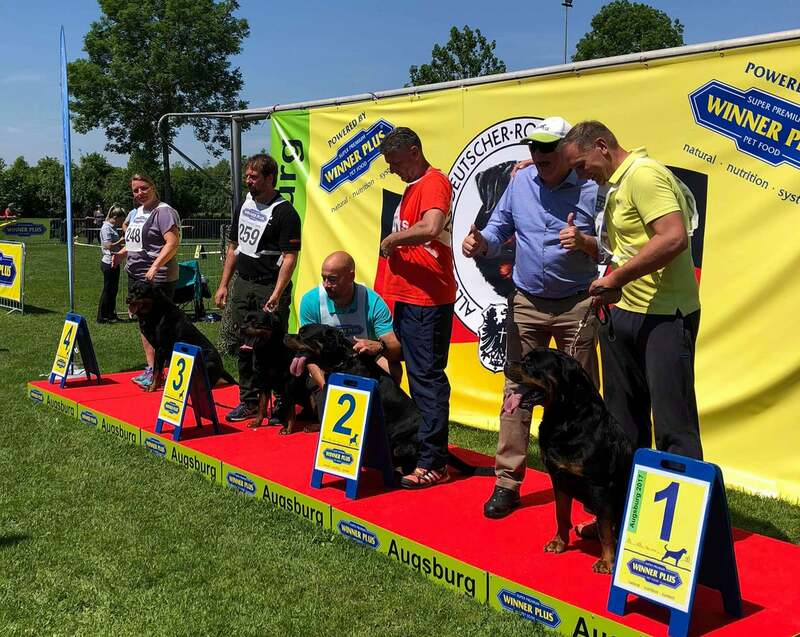 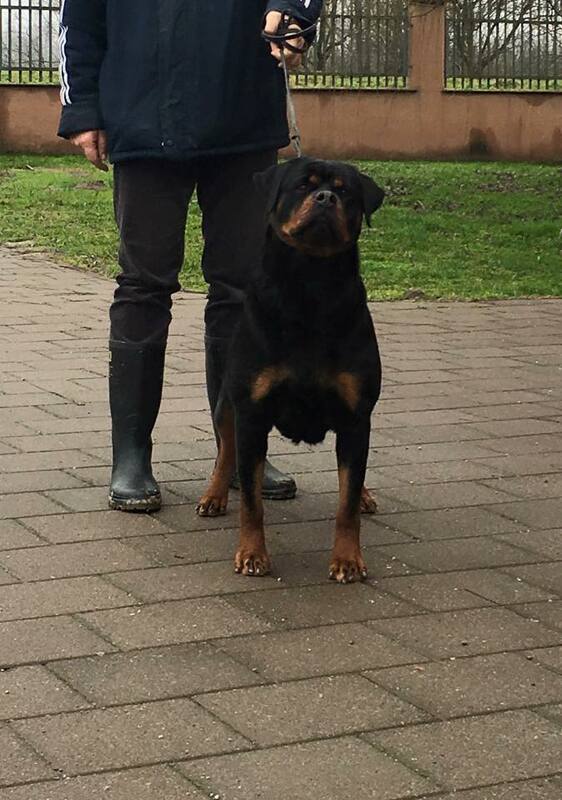 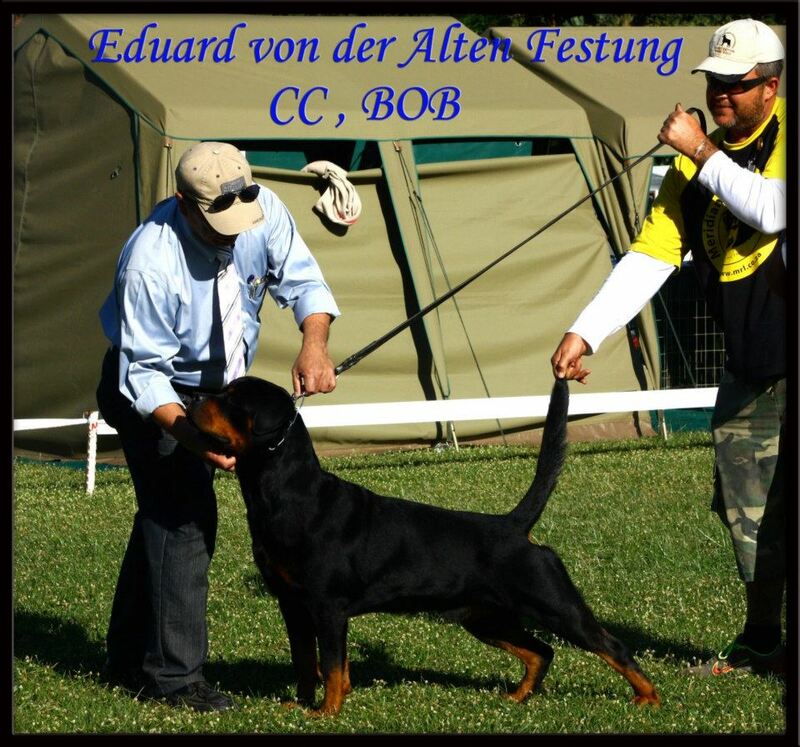 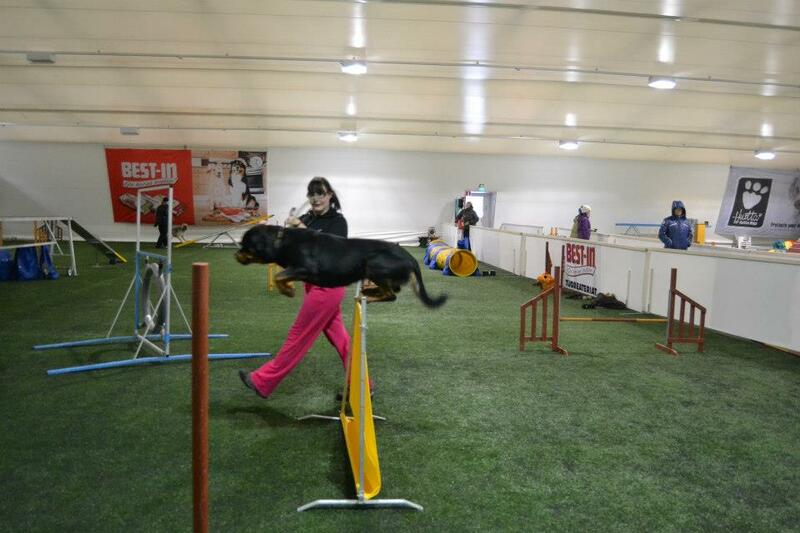 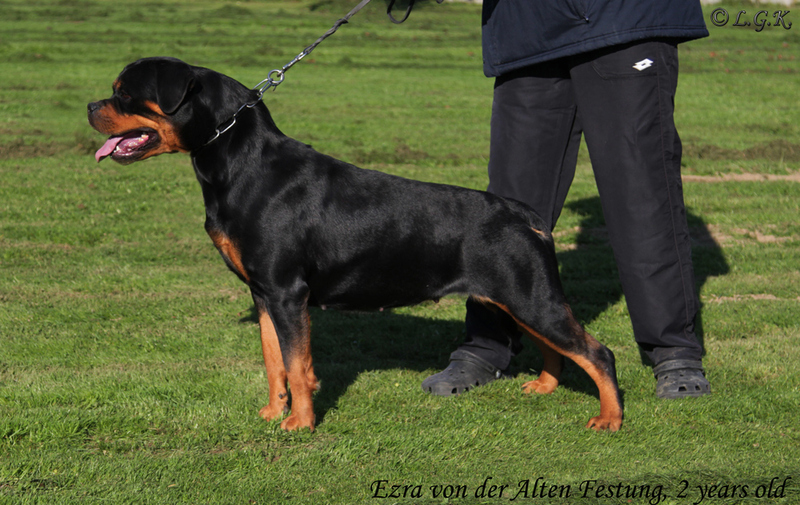 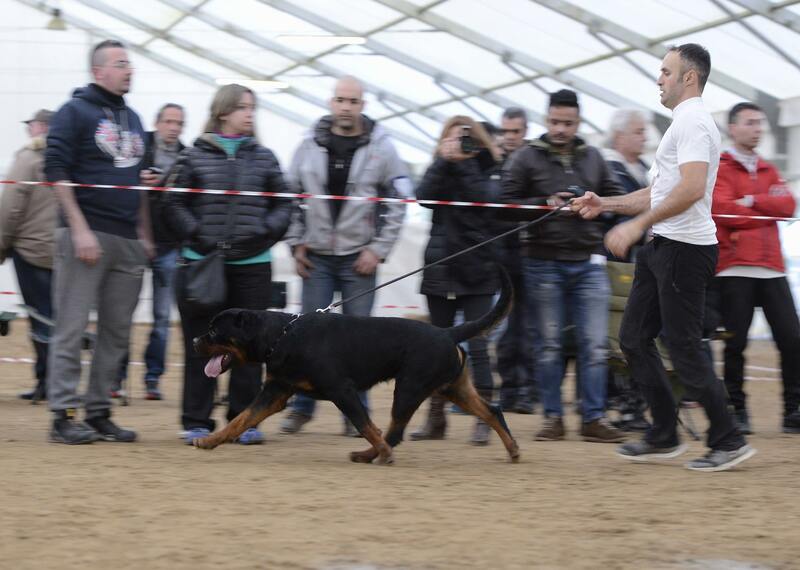 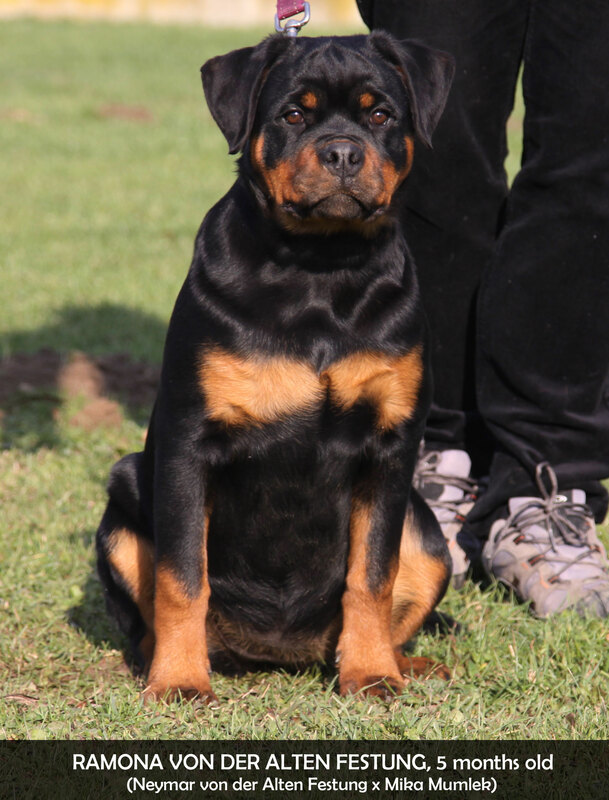 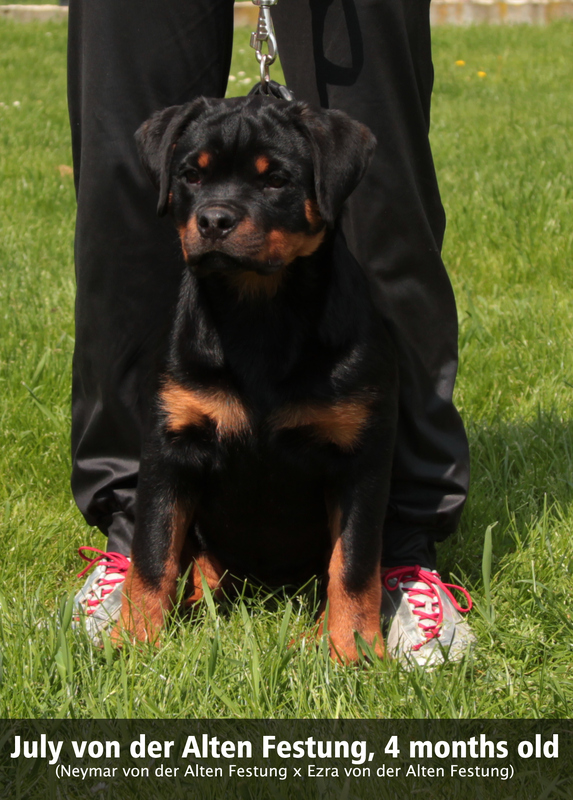 Congratulations to our friends Woody & Philippaa (Haus der Sterne rottweilers) for great result! 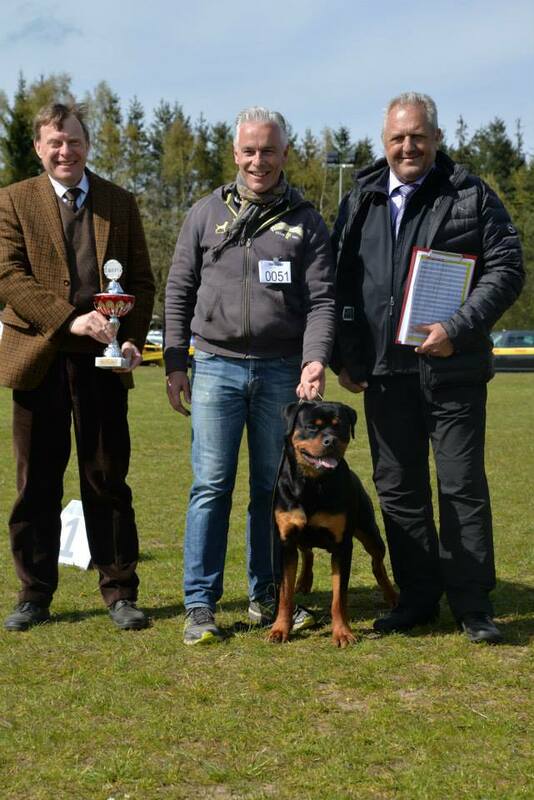 Congratulations to our friend Villy (vom Hause Desteny) for great result! 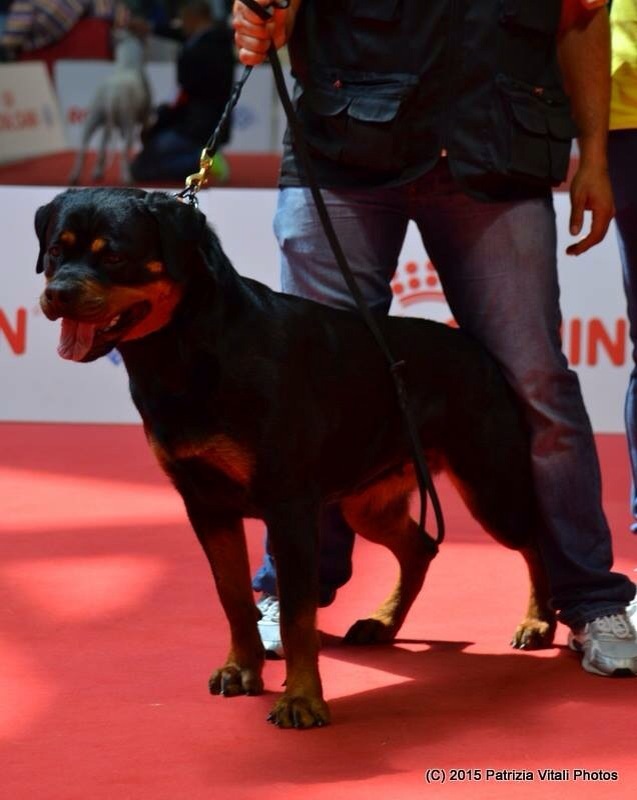 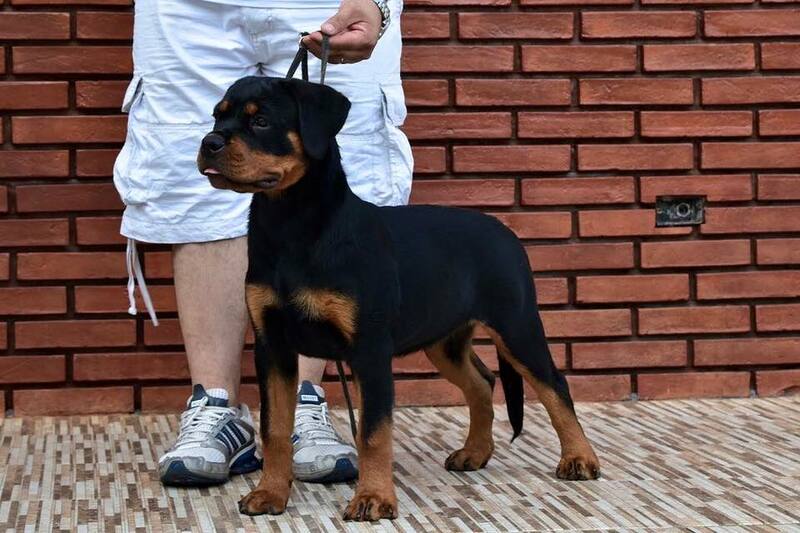 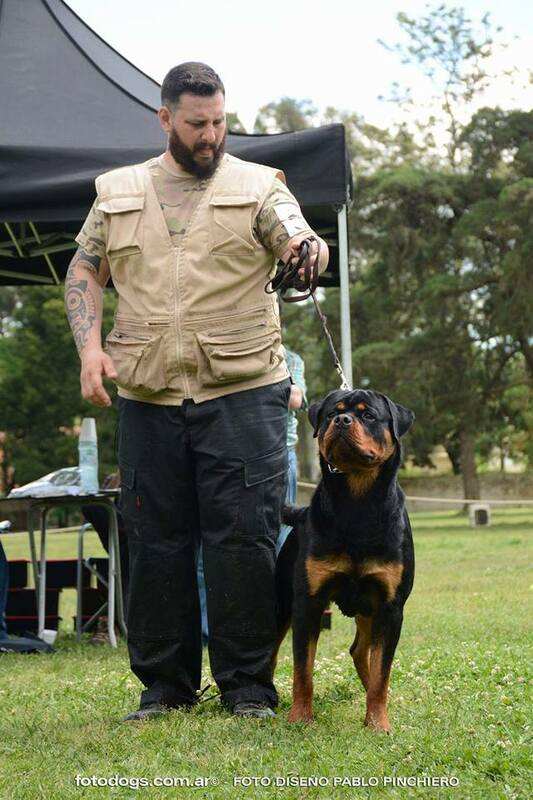 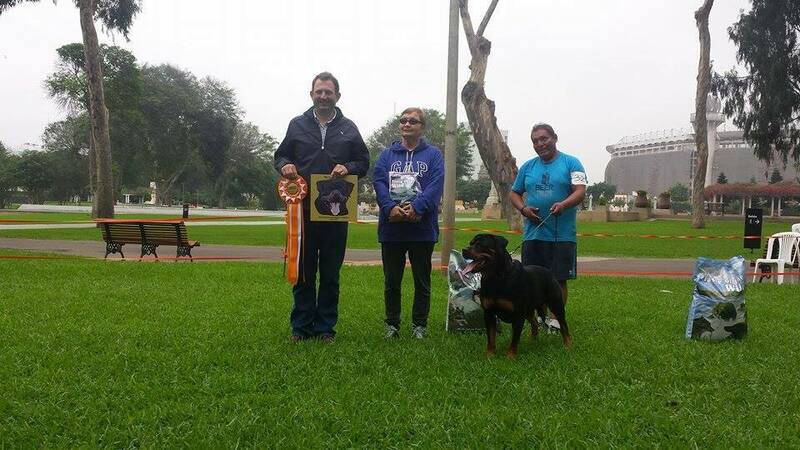 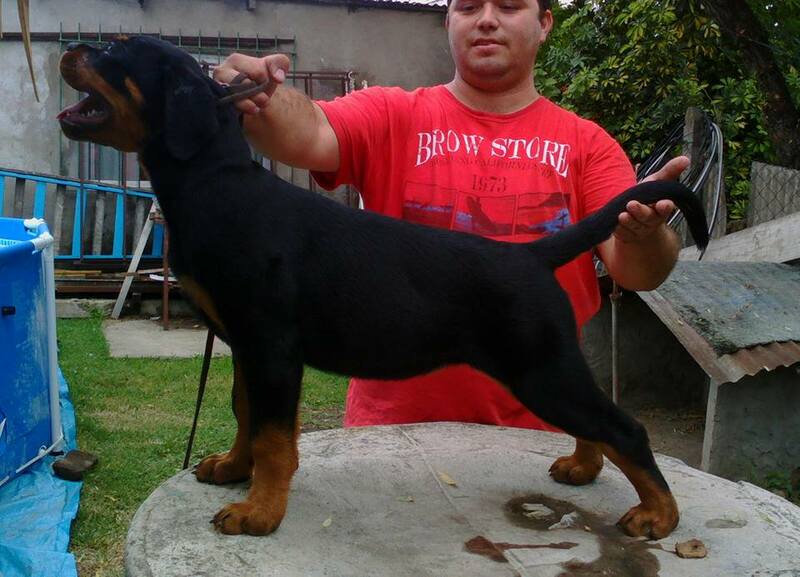 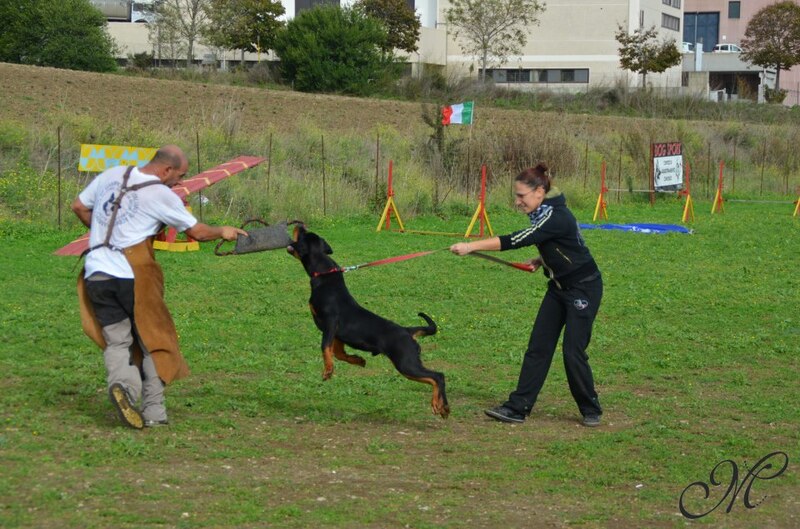 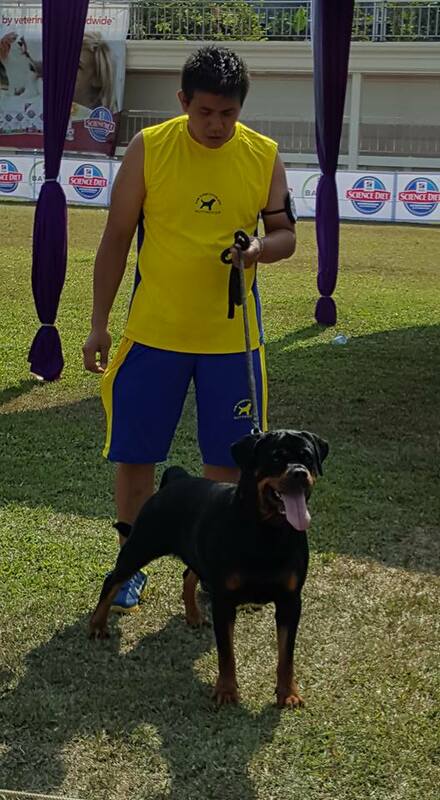 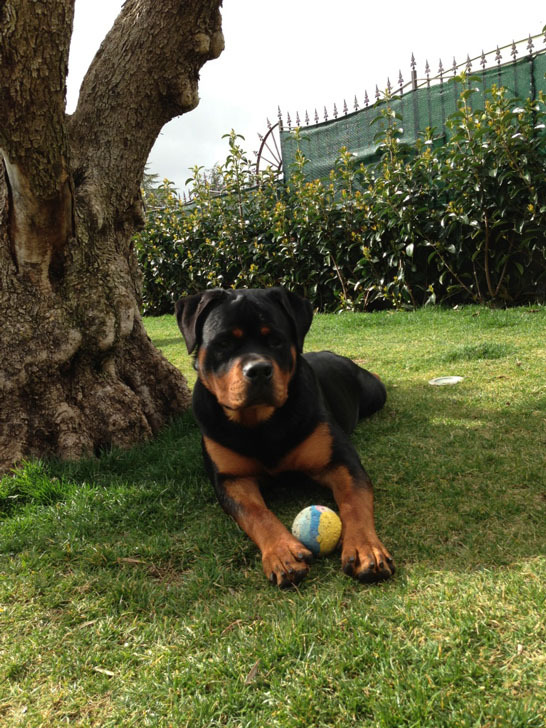 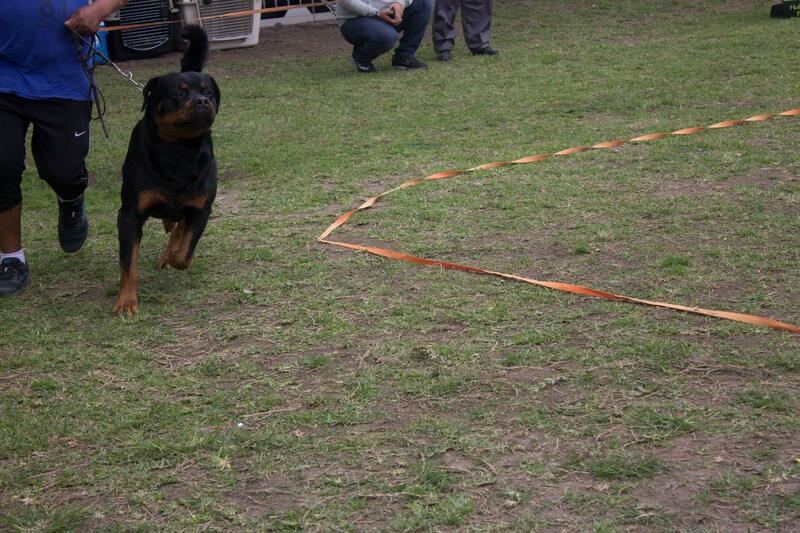 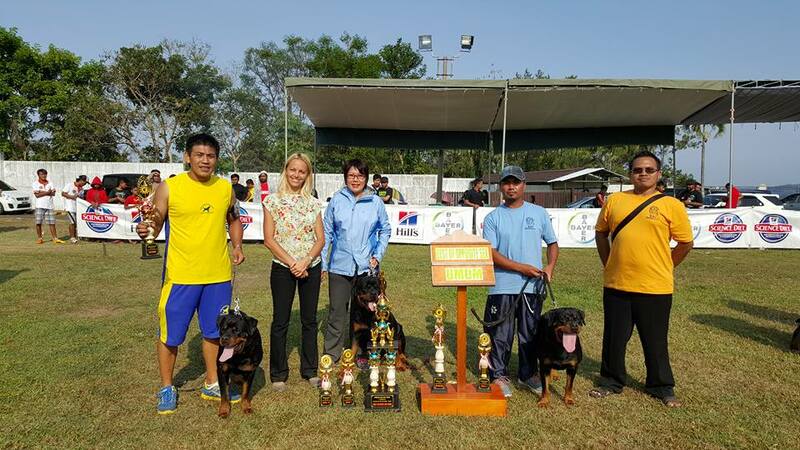 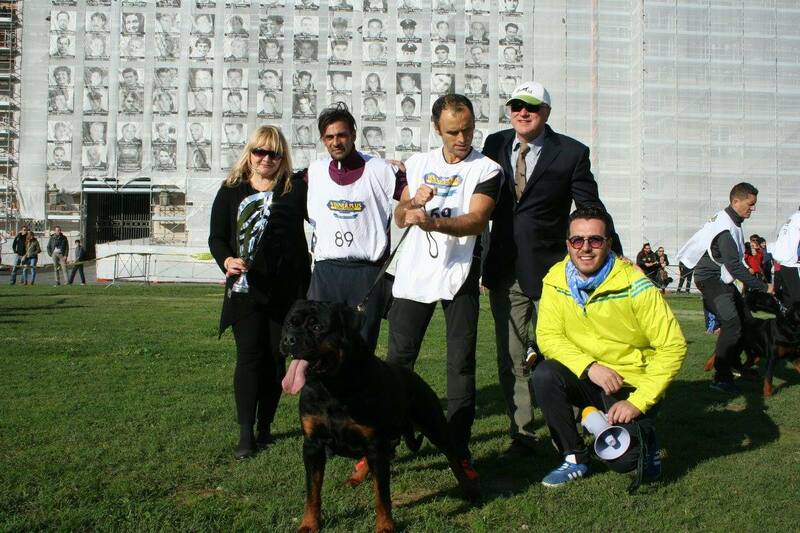 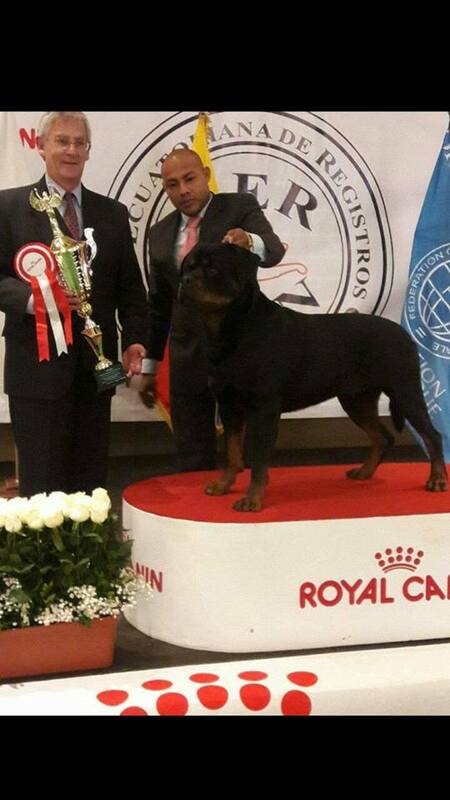 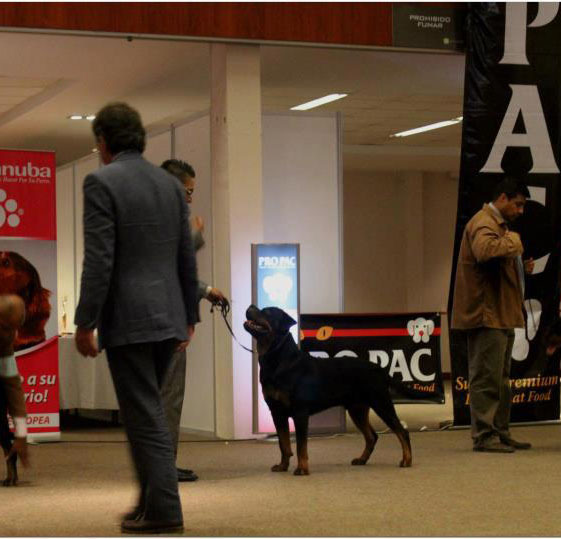 Congratulations to our friend Daniel (Dassa Rottweilers, Mexico) for great result! 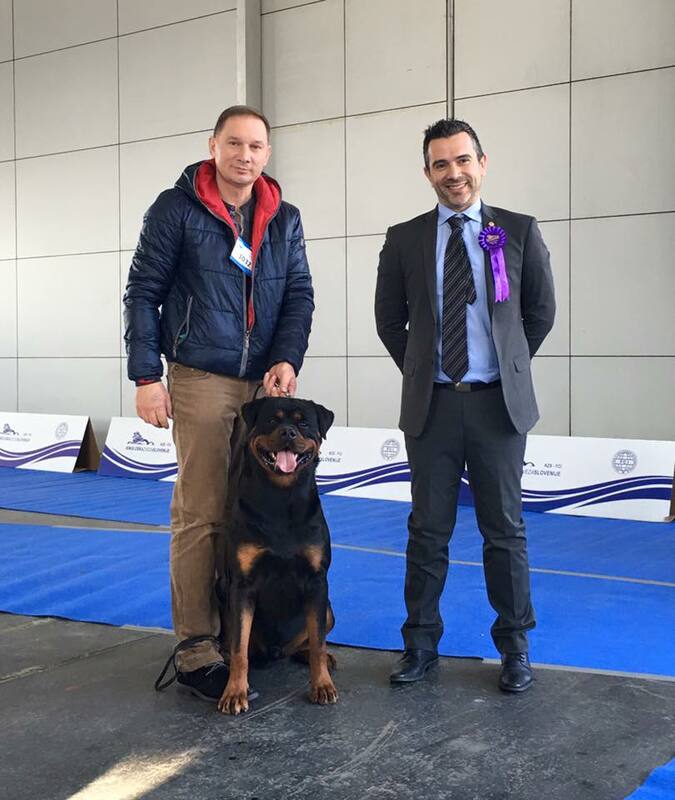 Congratulations to our friend Vincenzo for great result! 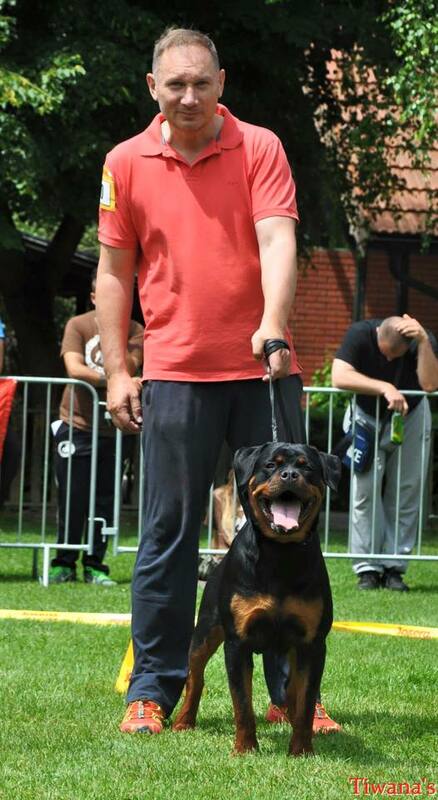 Congratulations to our friend Marco for great result! 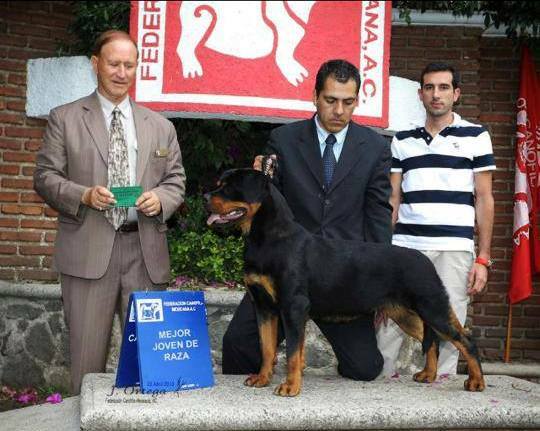 Congratulations to our friend Gianfranco for great result! 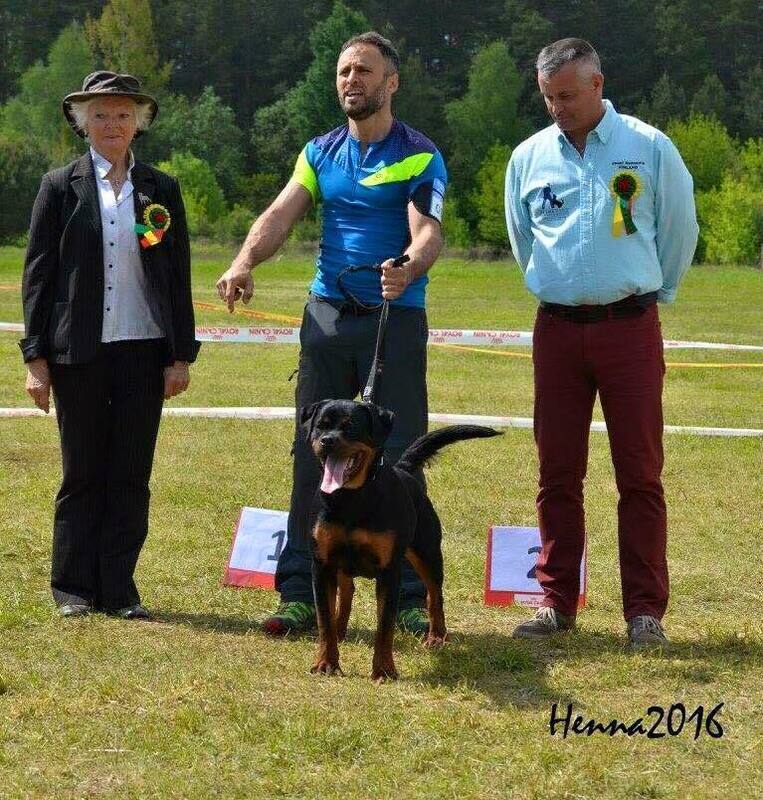 Congratulations to our friend Natalia for great result! 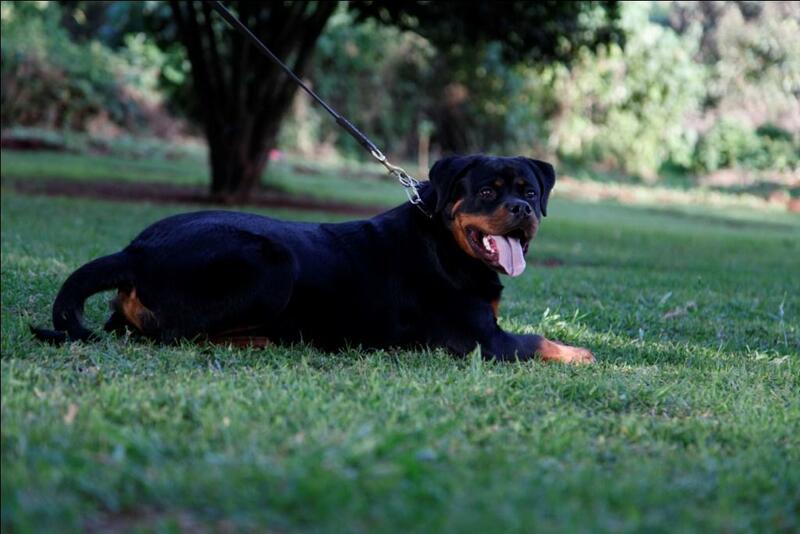 Thanks to our friend Daniel for beautiful photos! 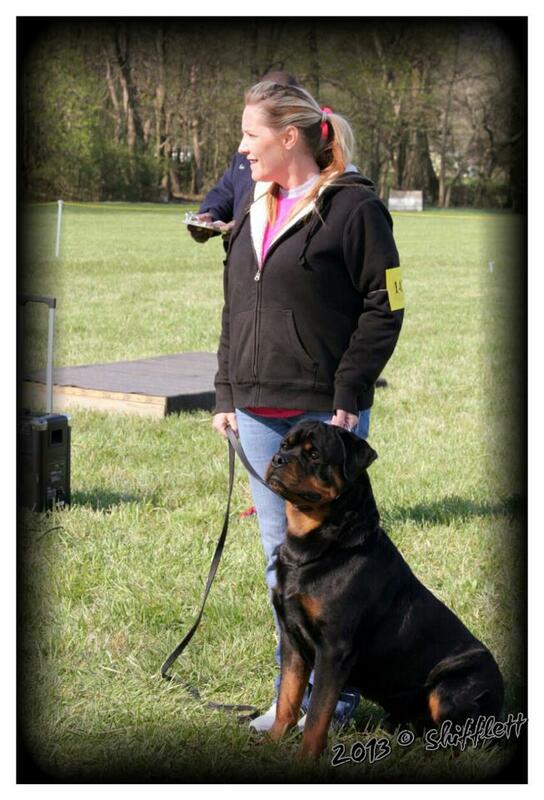 Congratulations to our friend Tonya! 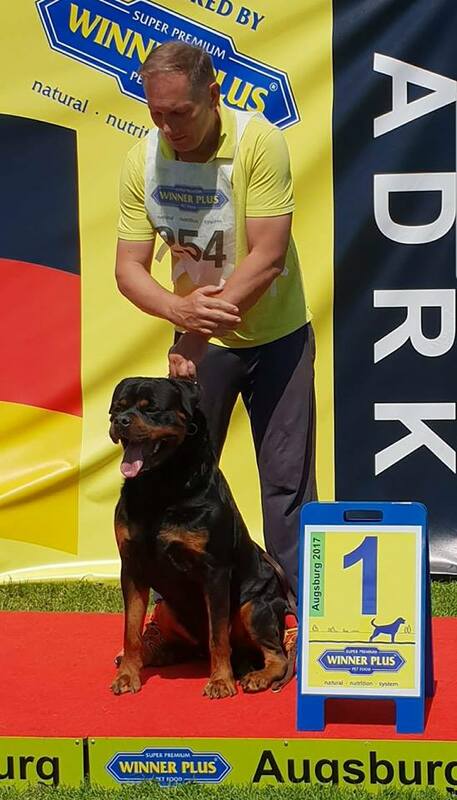 Congratulations to our friend Dave for great result! 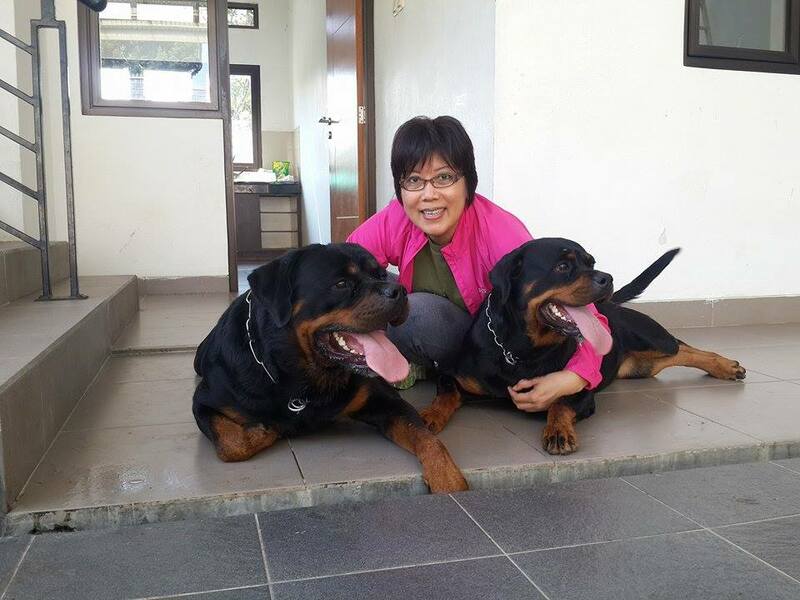 Congratulations to our friend Tonya for great result! 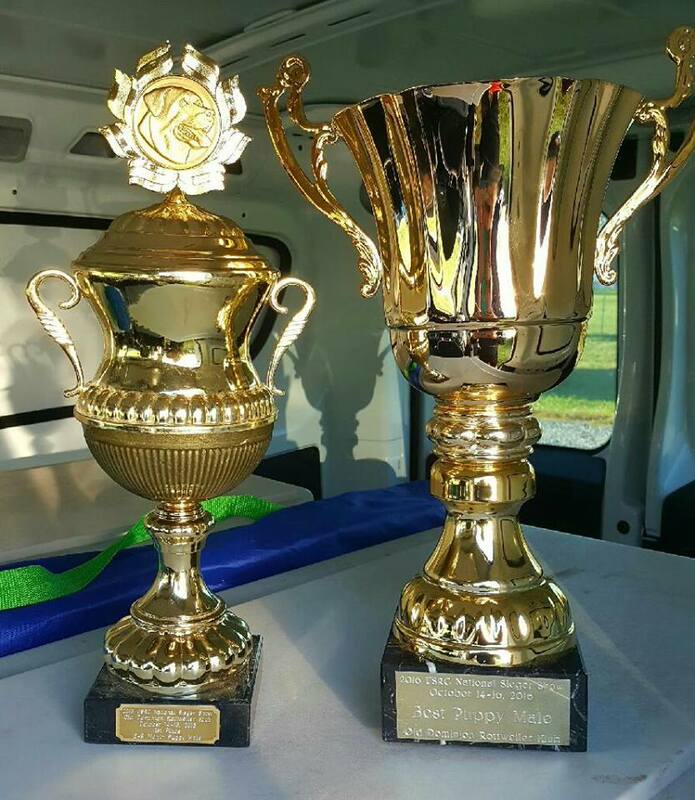 Congratulations to our friend Luis on great result! 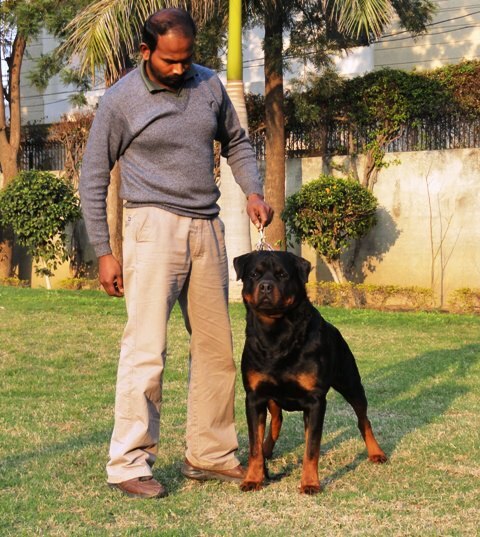 SON OF BURNING & GRANDSON OF ASTOR! 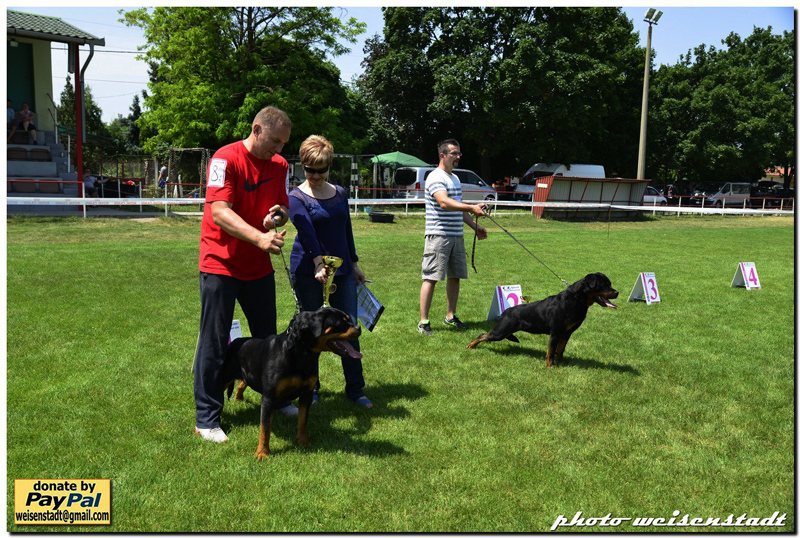 Thanks to our friend Mary for beautiful pictures! 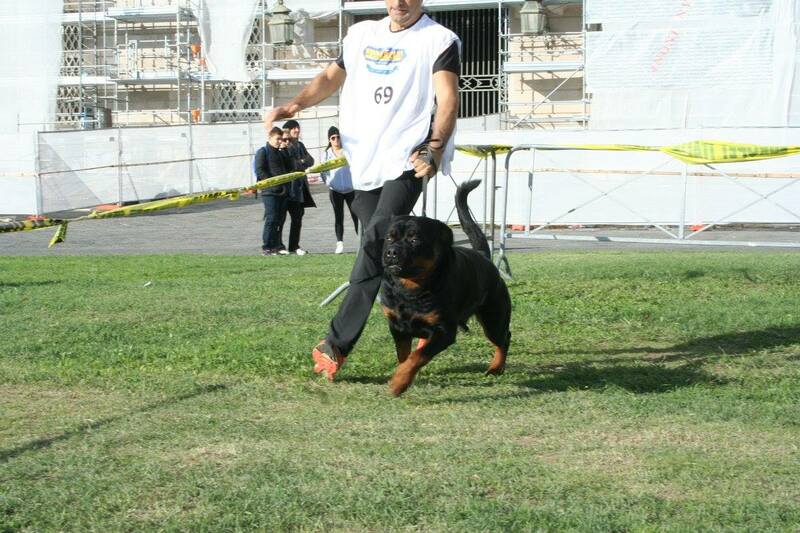 Thanks to our friend Khaled for beautiful picture! 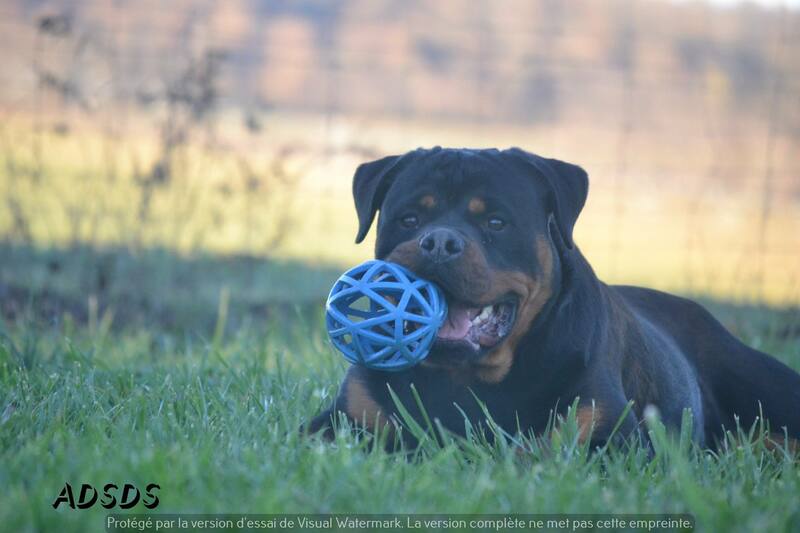 Thanks to our friend Villy for beautiful pictures! 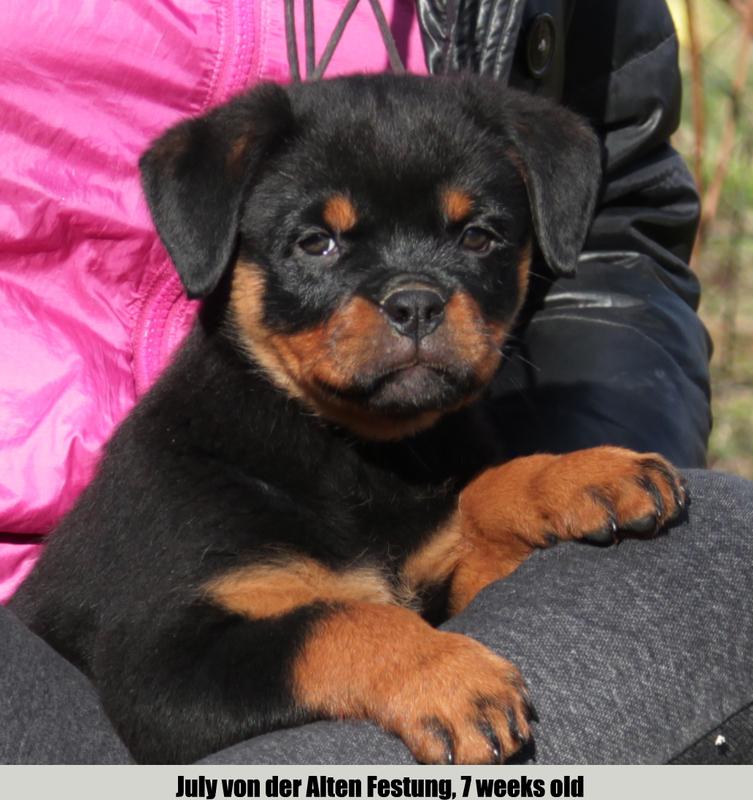 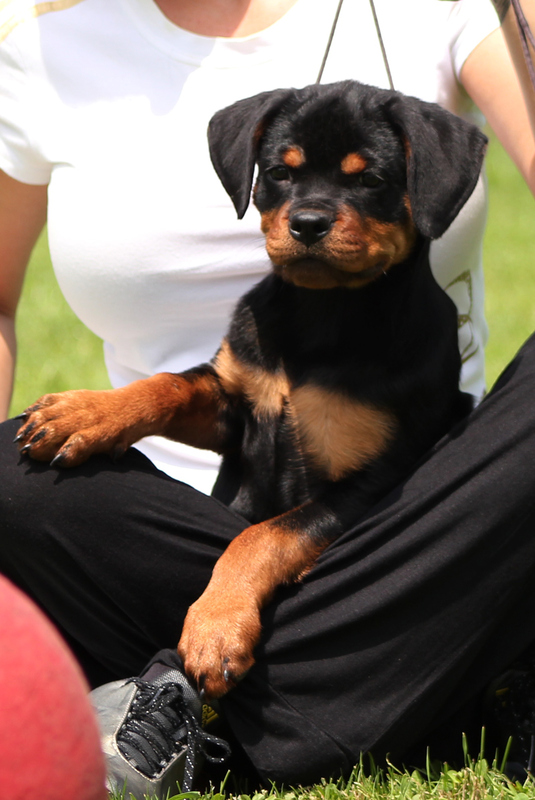 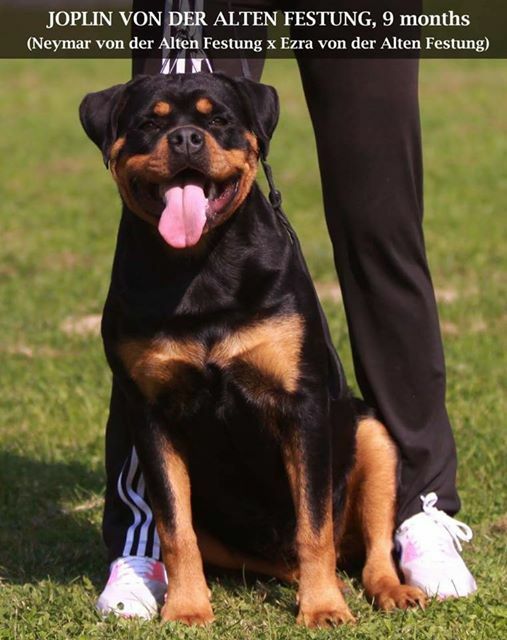 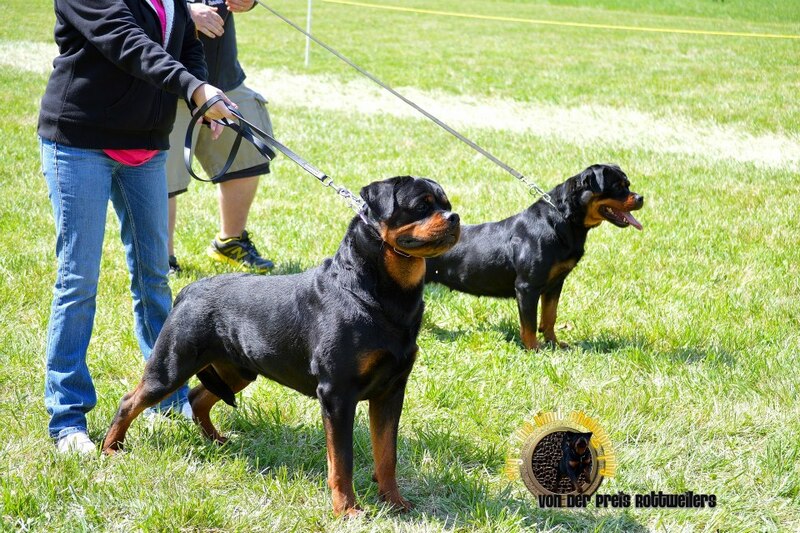 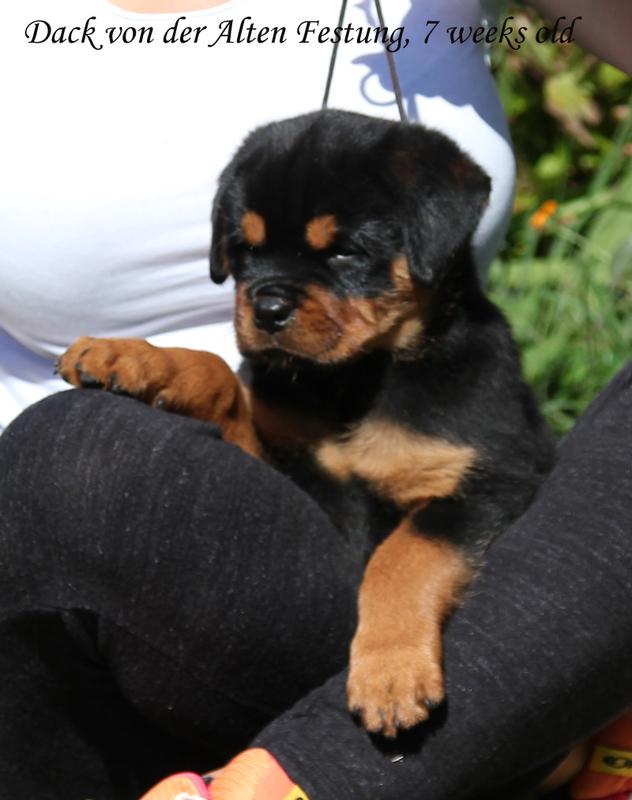 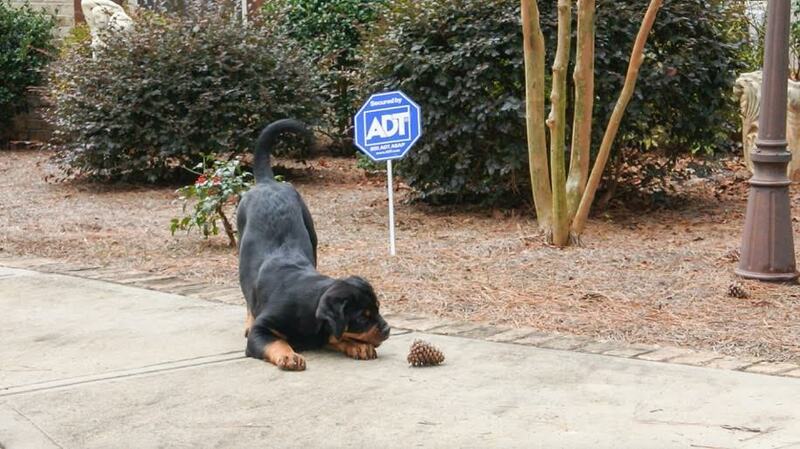 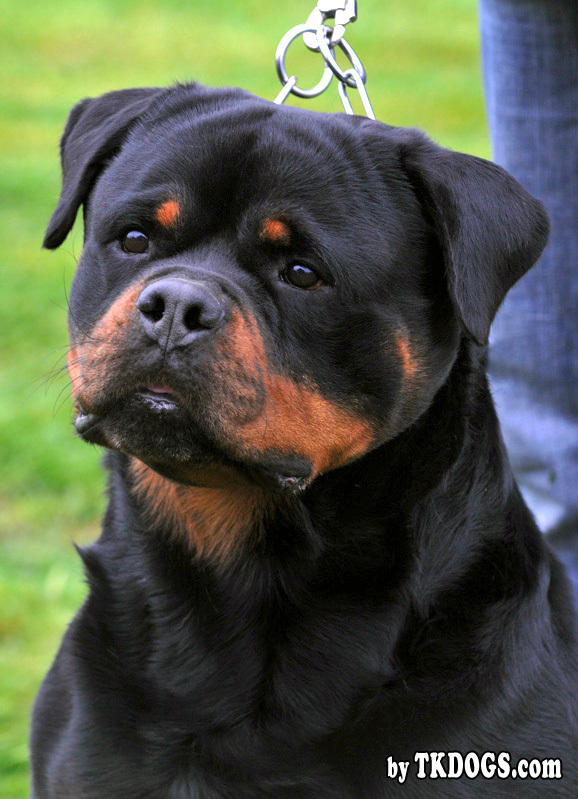 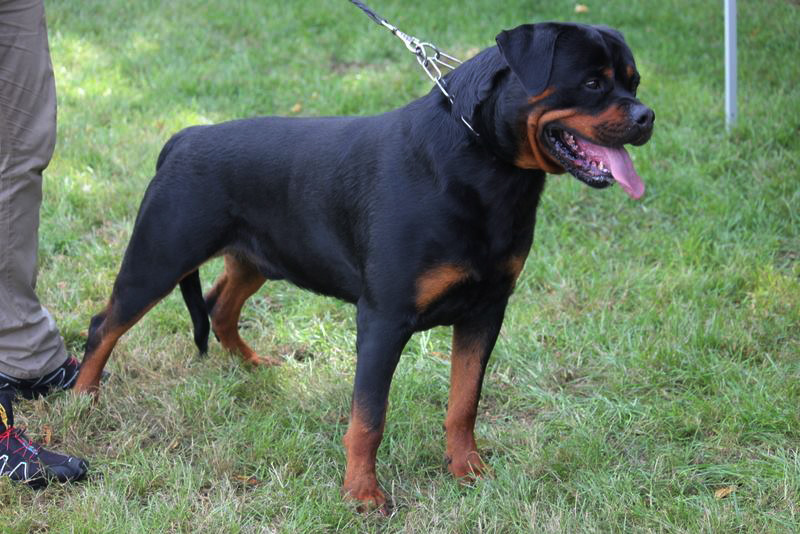 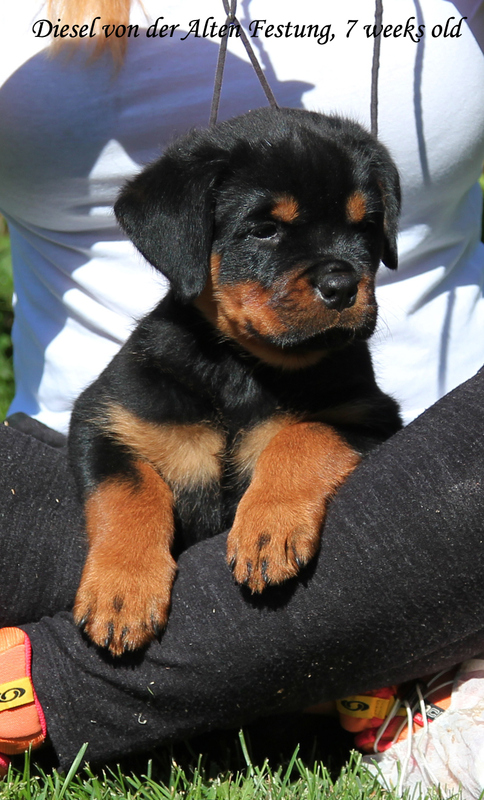 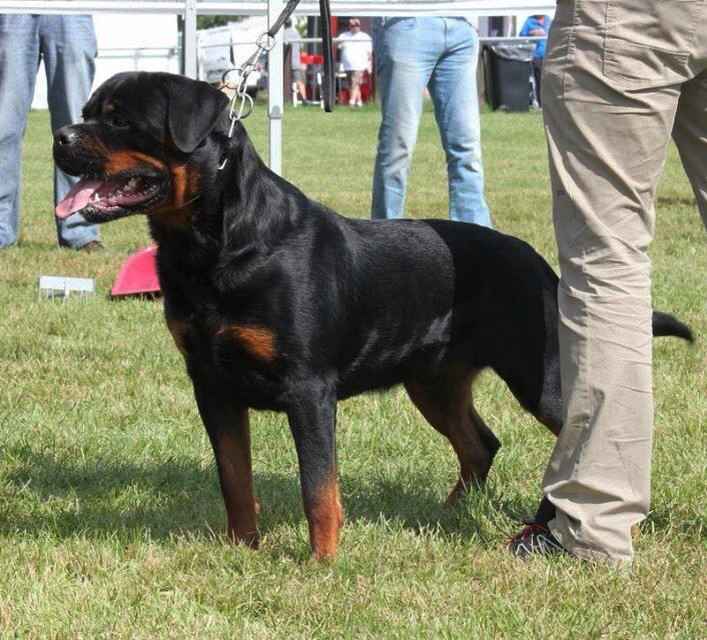 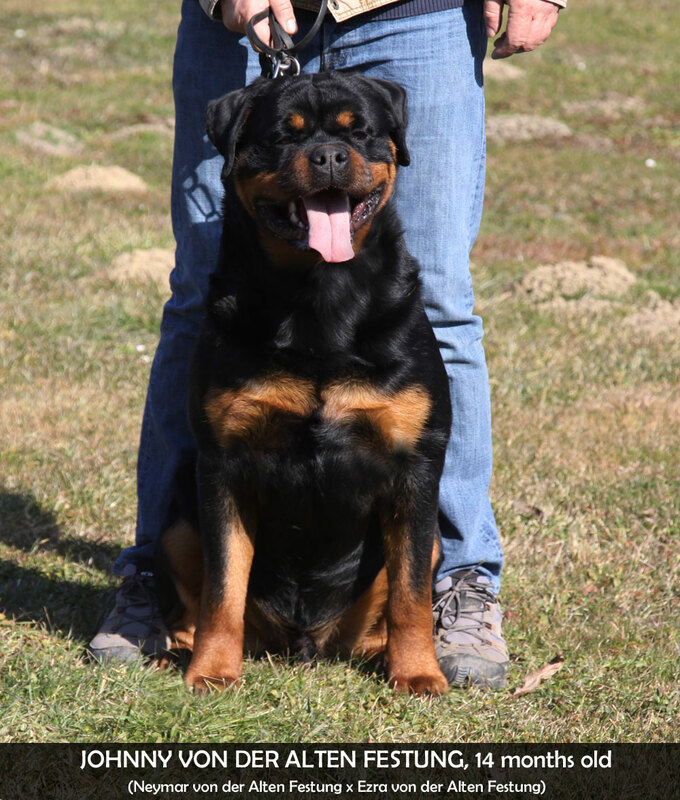 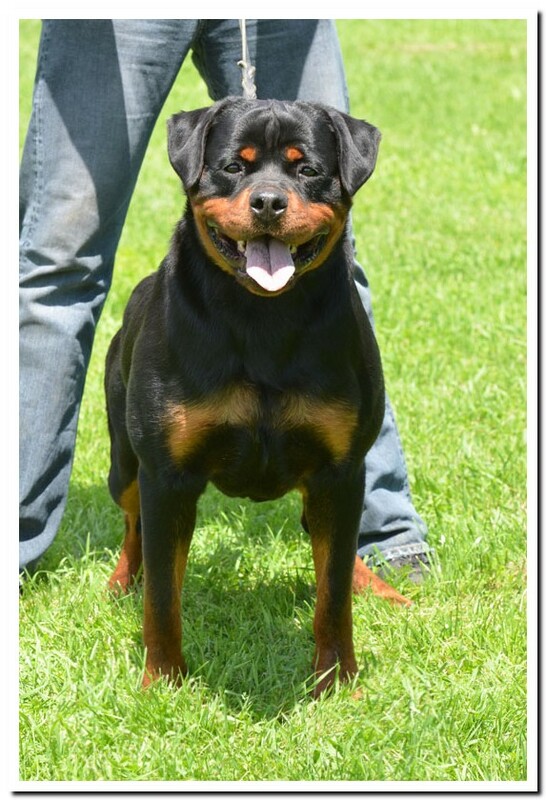 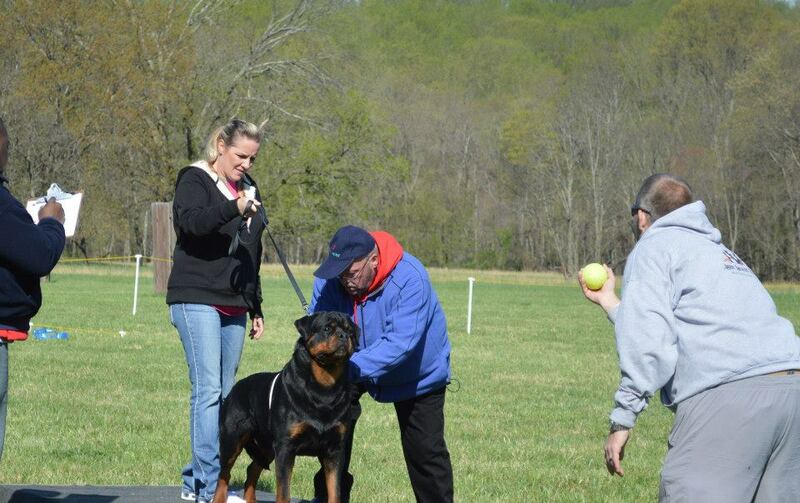 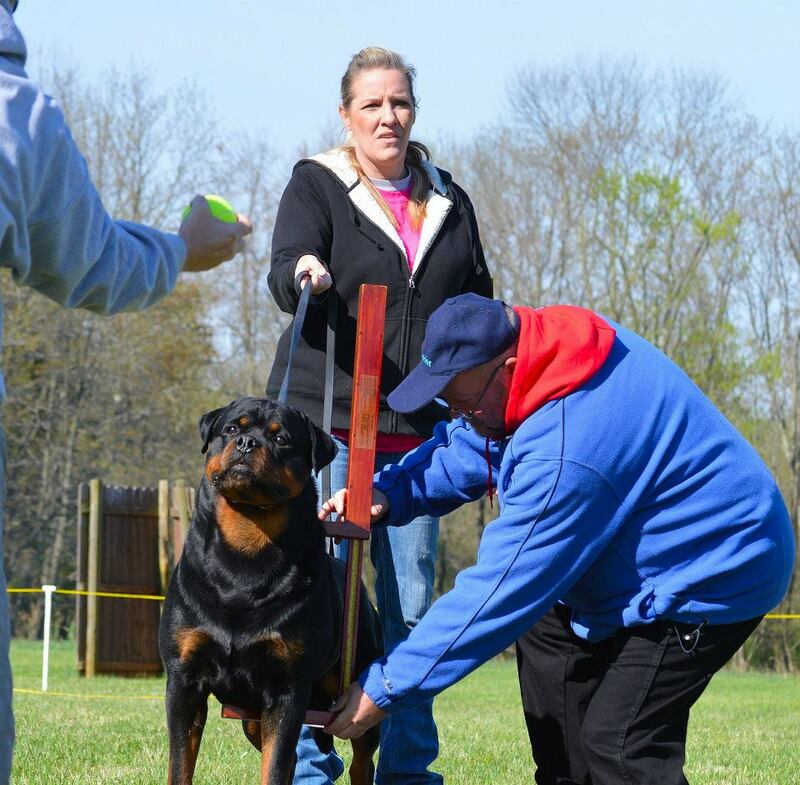 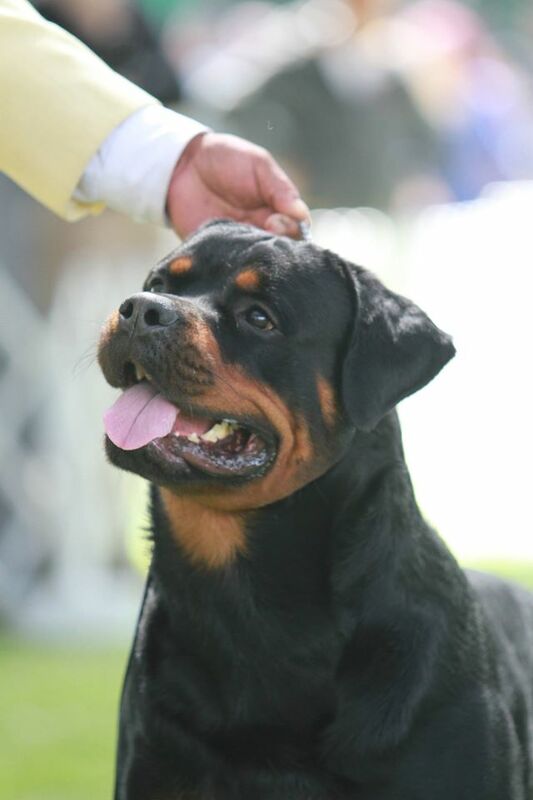 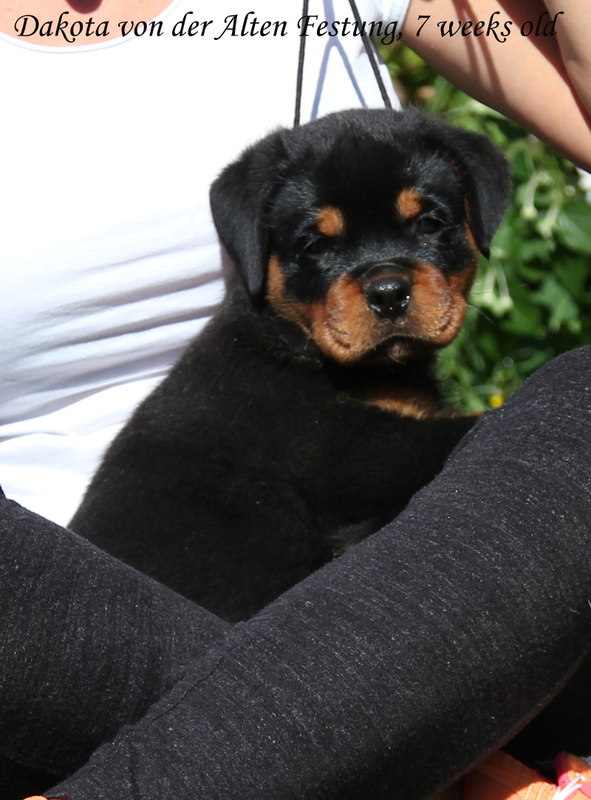 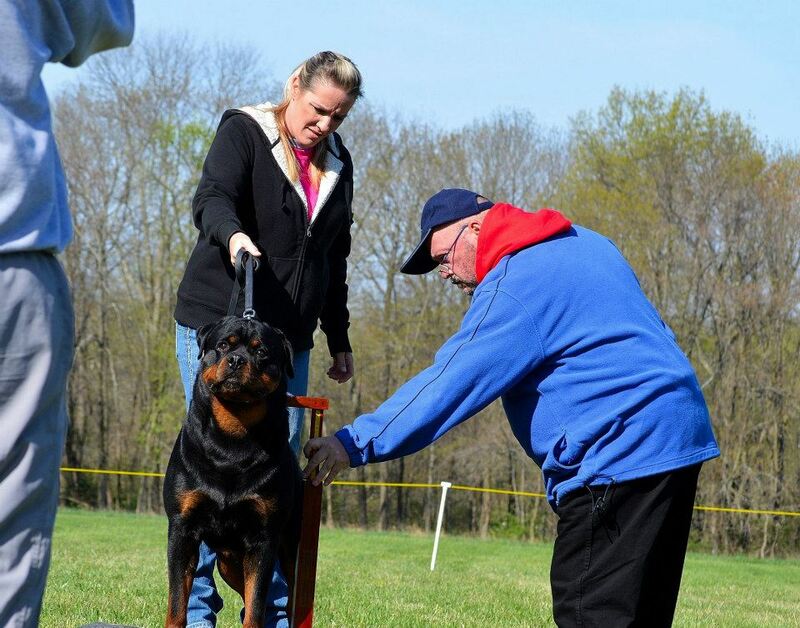 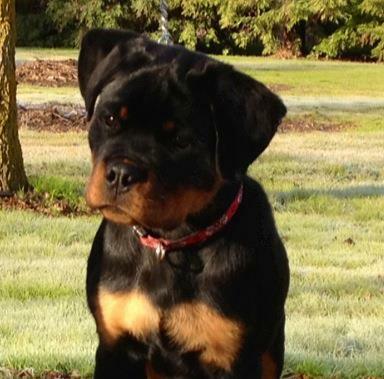 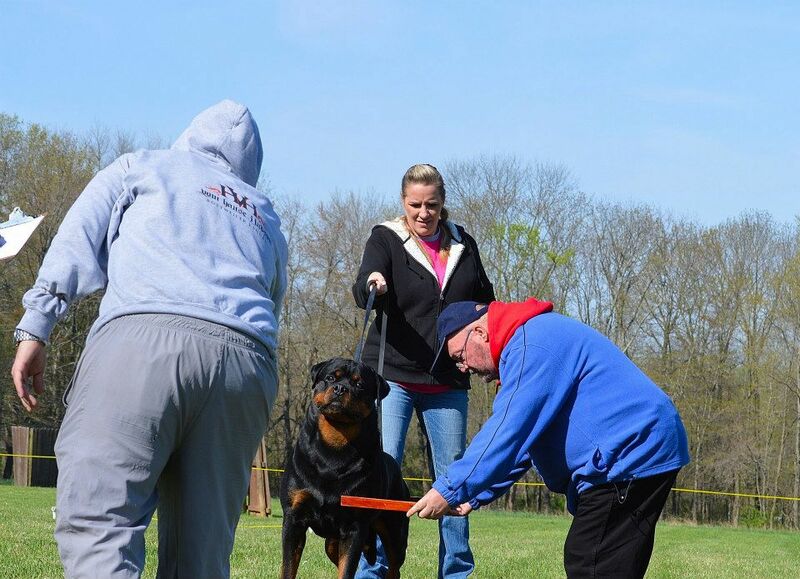 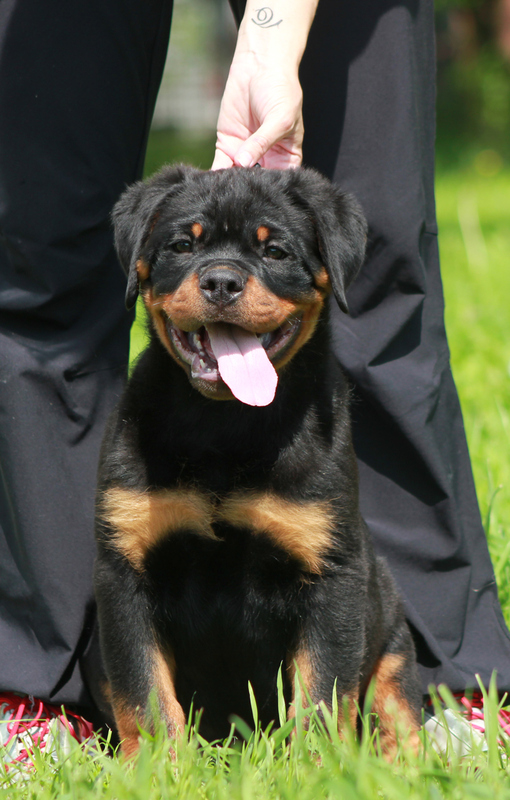 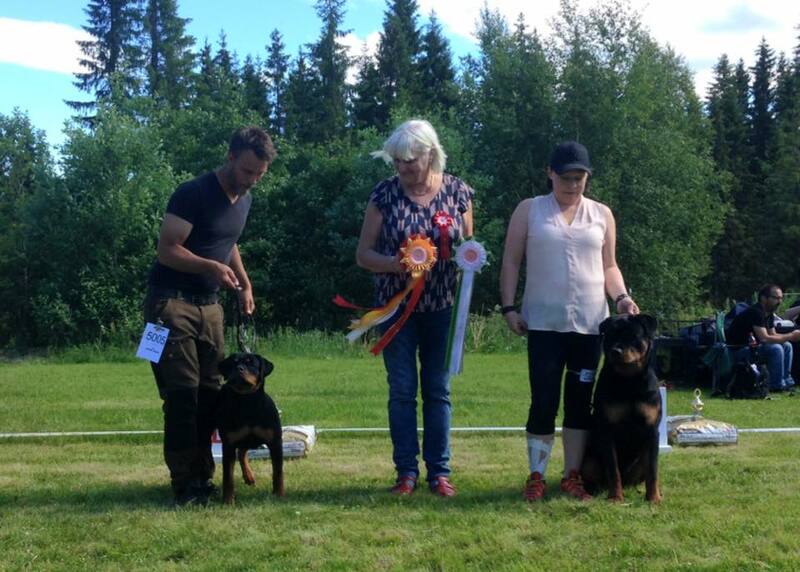 Congratulations to our friend Mary (Genworks Rottweilers) on great results! 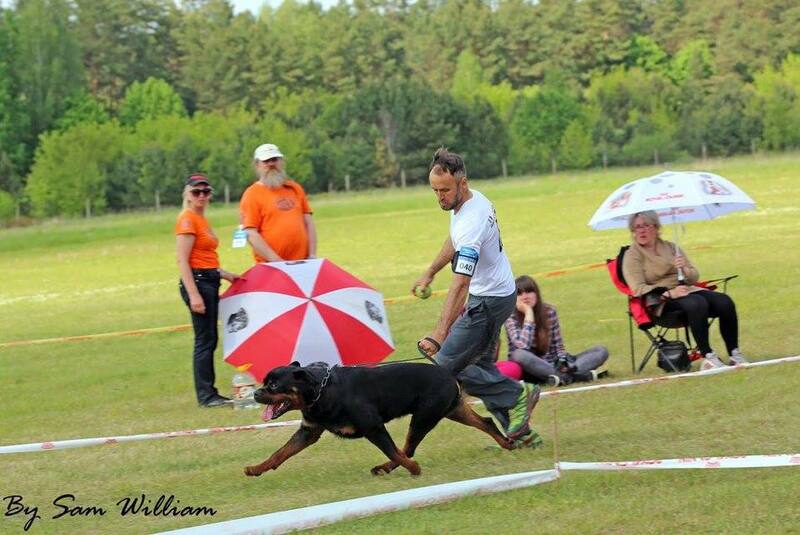 Thanks to our friend Glynn for beautiful picture! 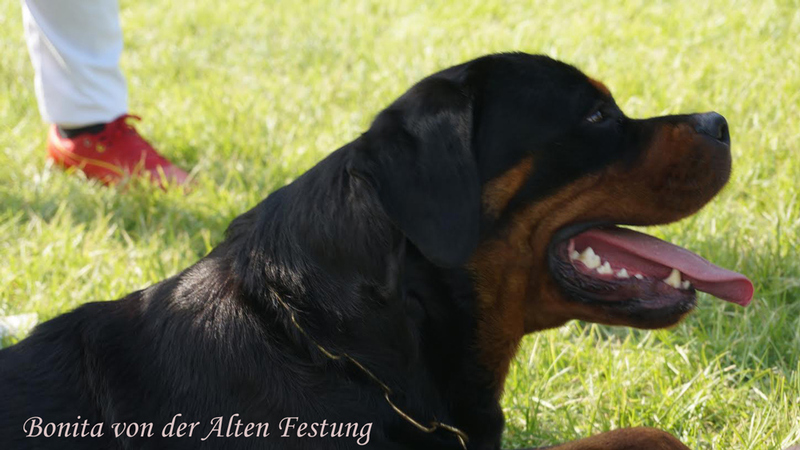 Thanks to our friend Henna for beautiful pictures! 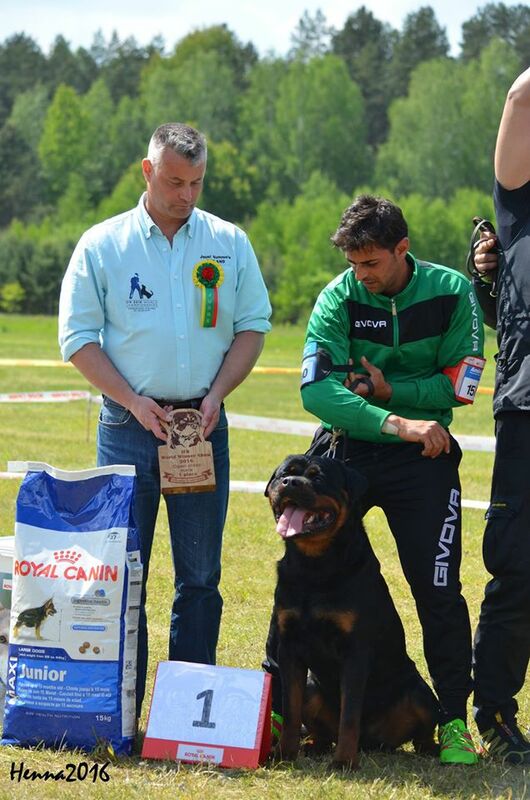 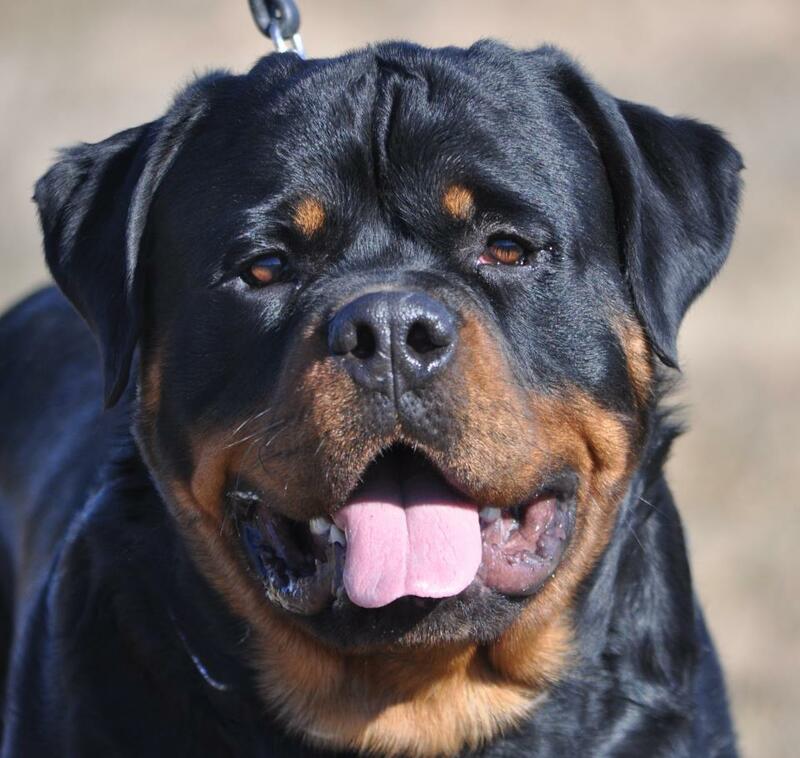 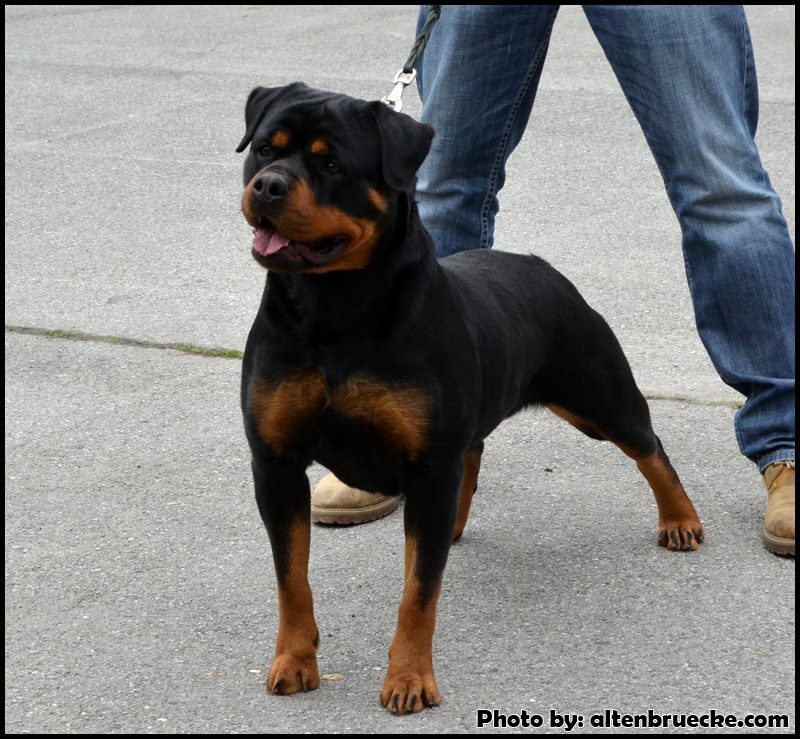 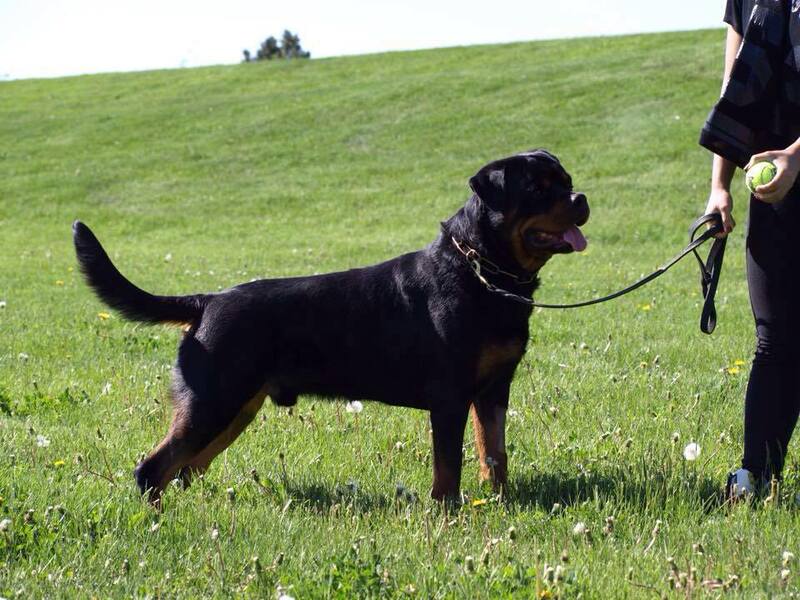 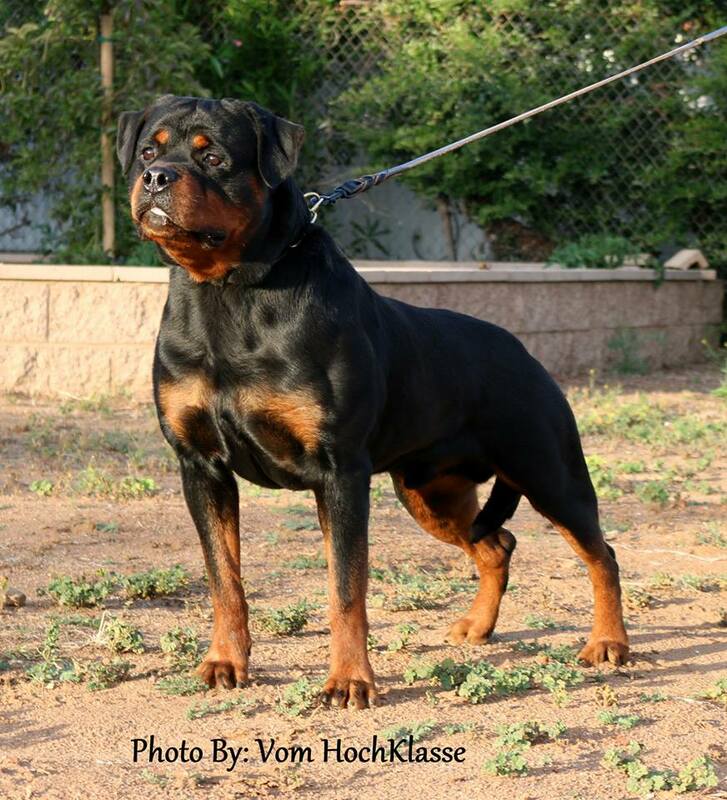 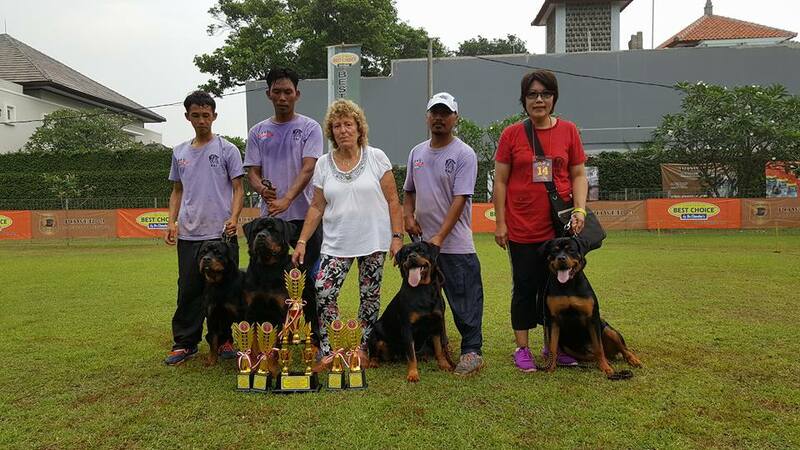 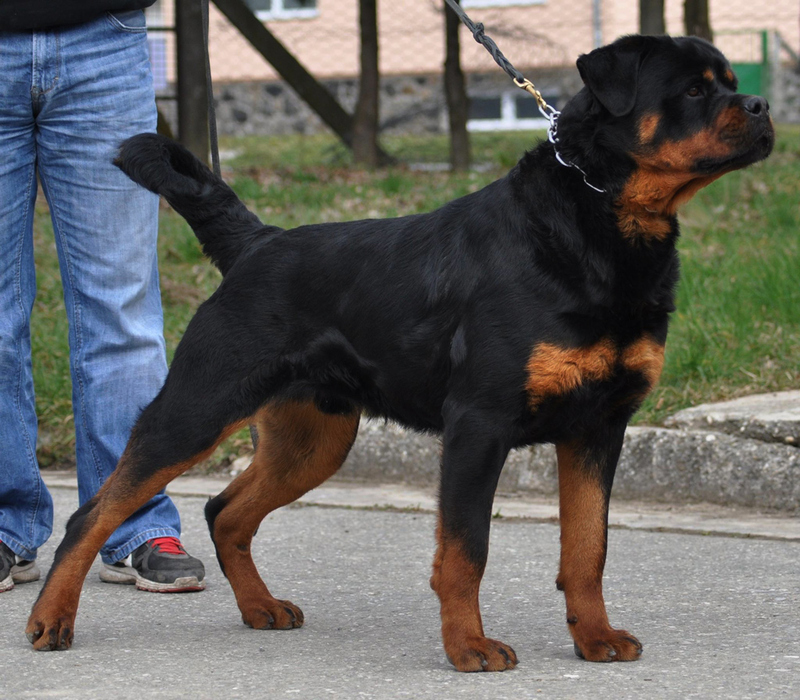 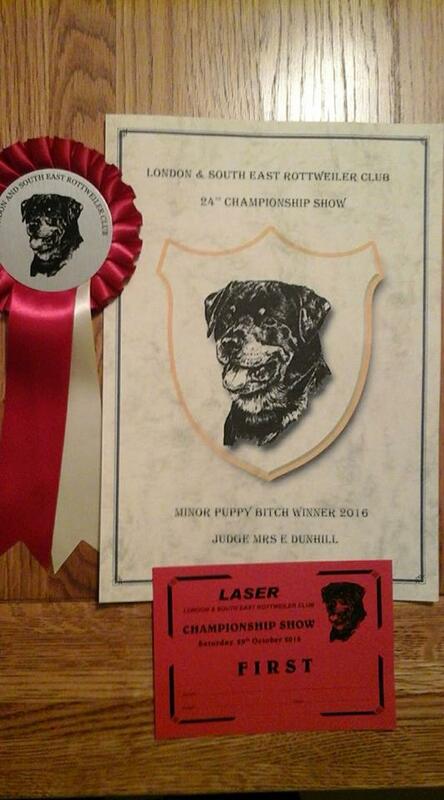 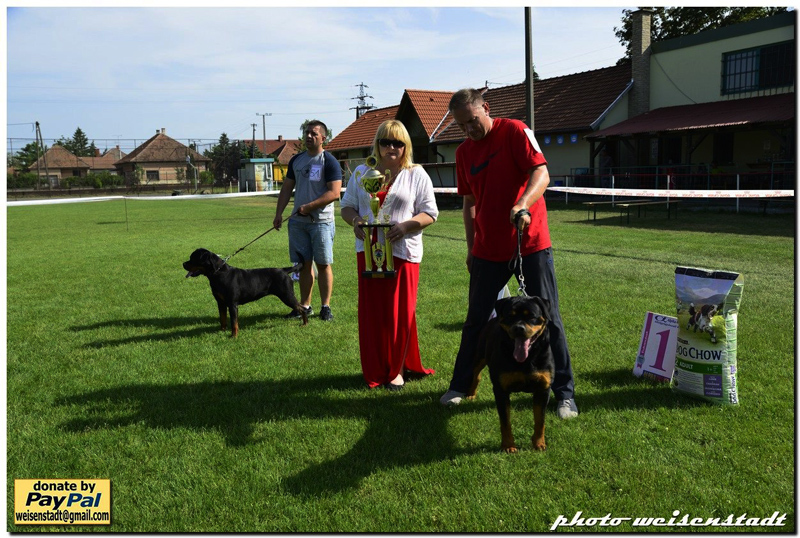 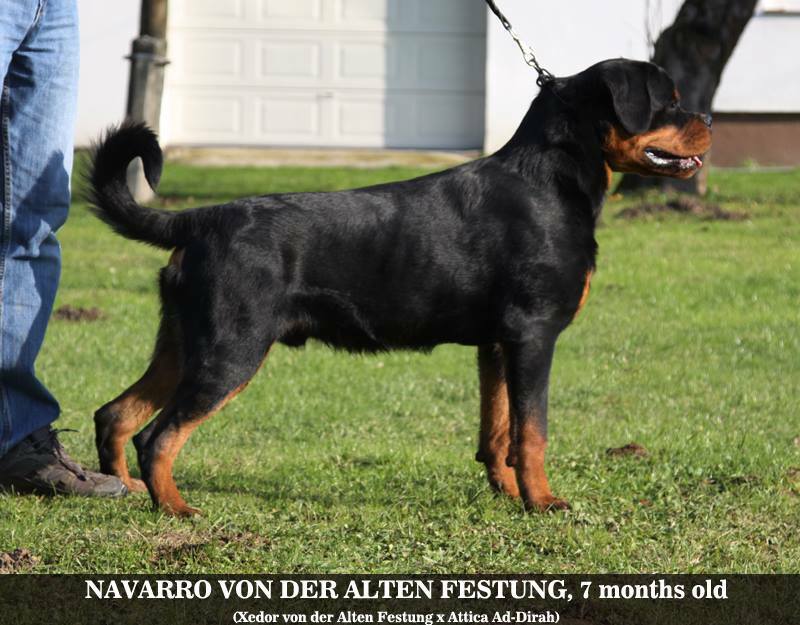 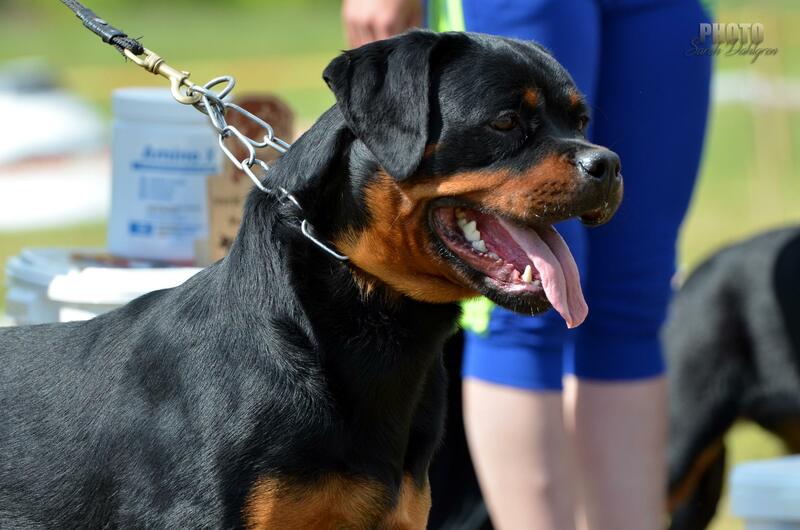 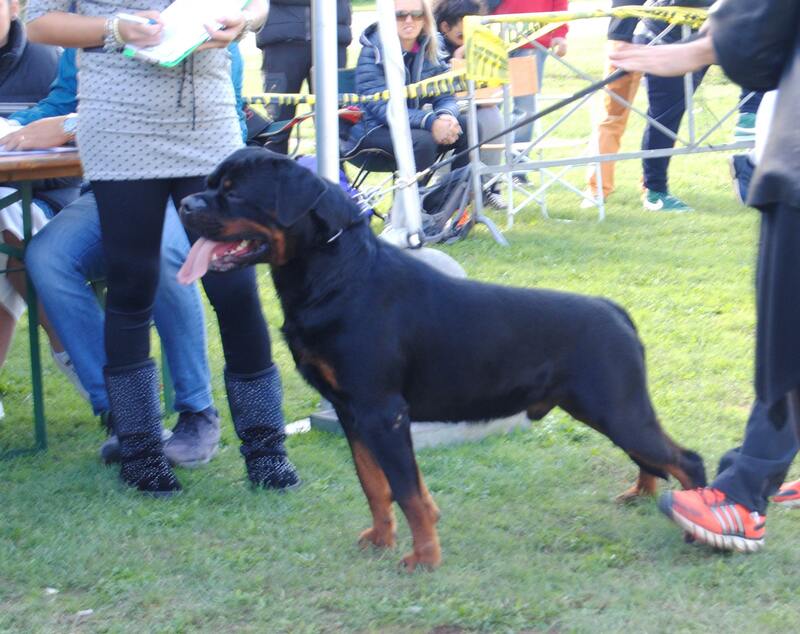 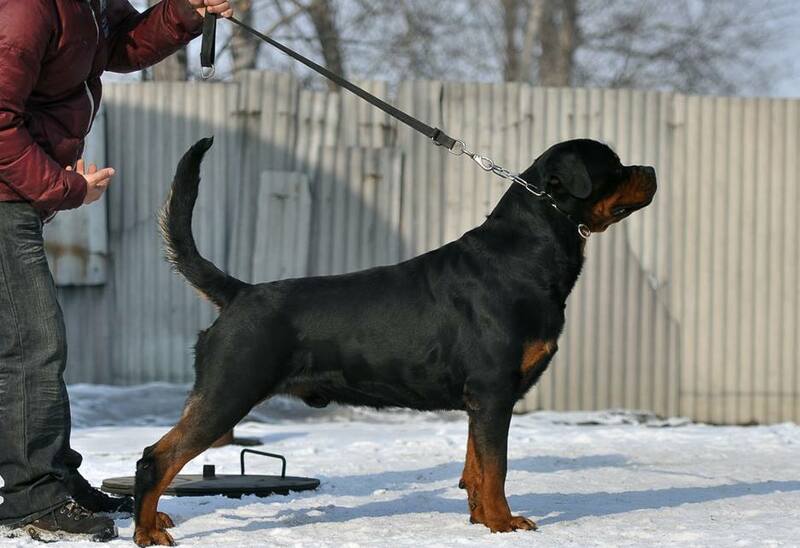 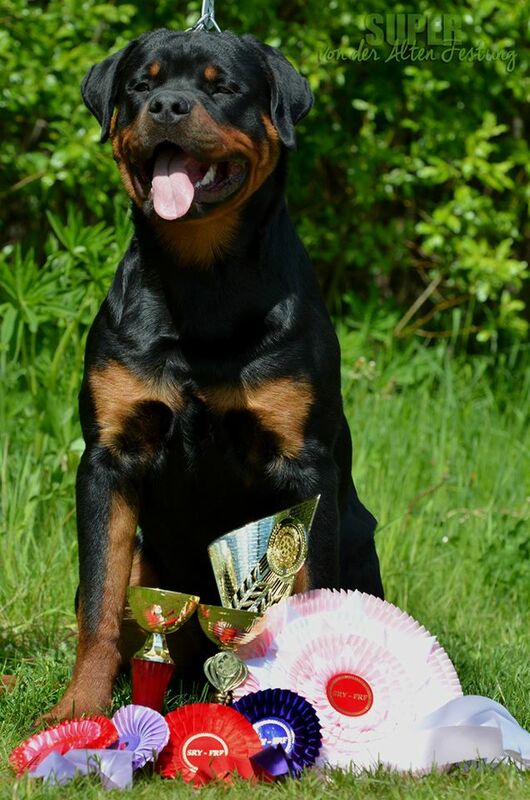 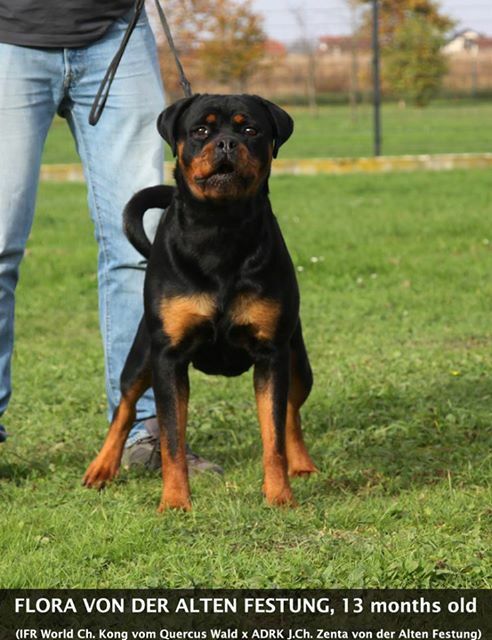 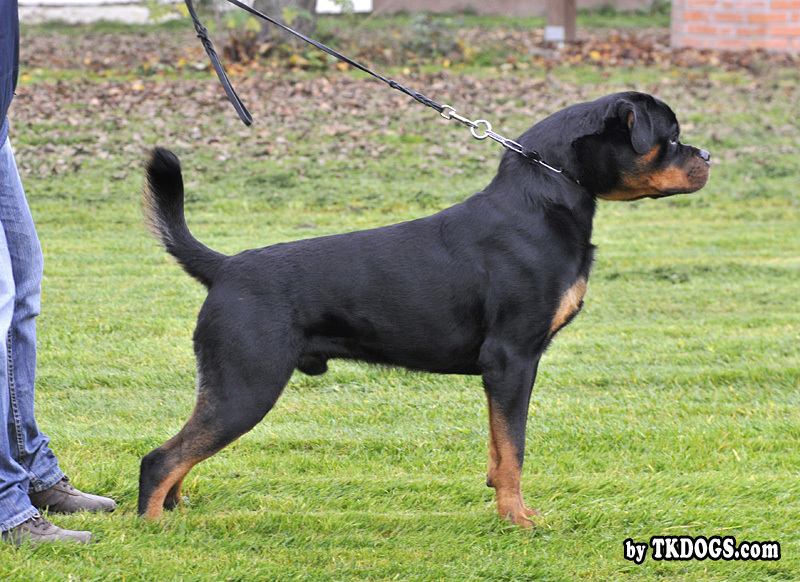 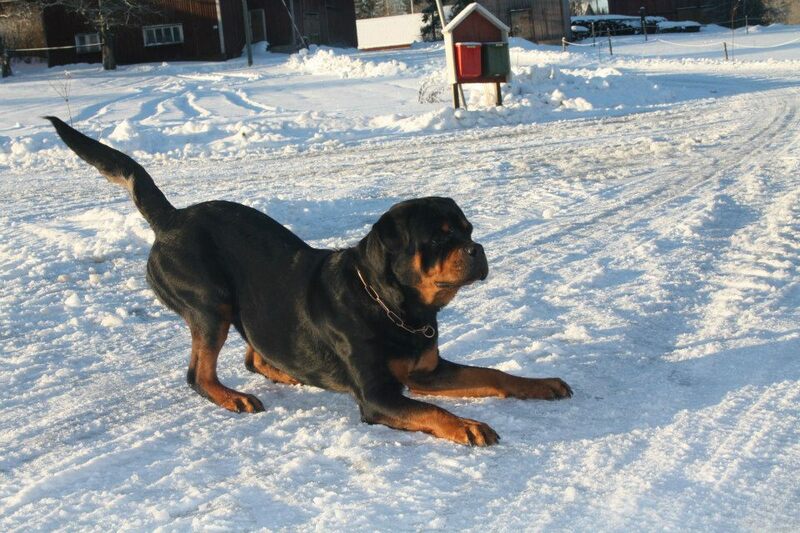 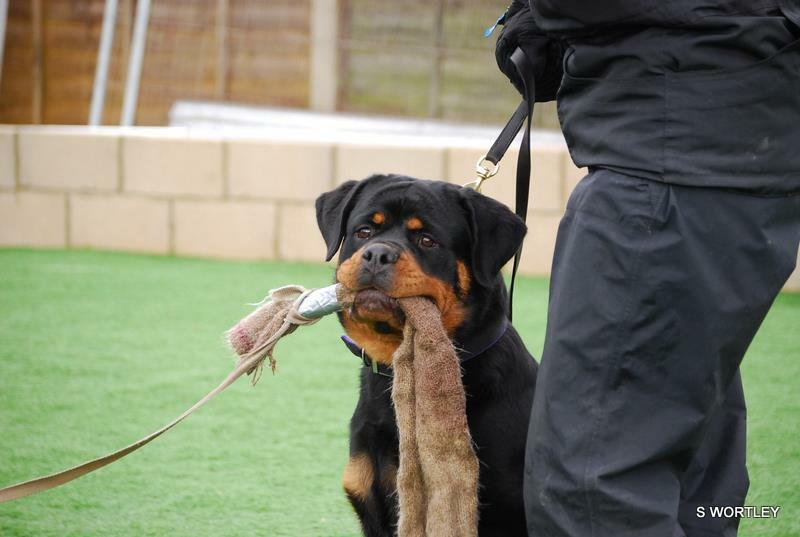 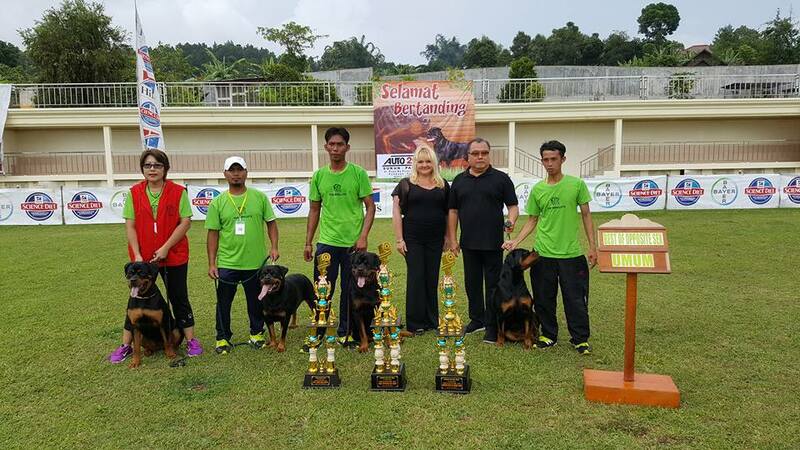 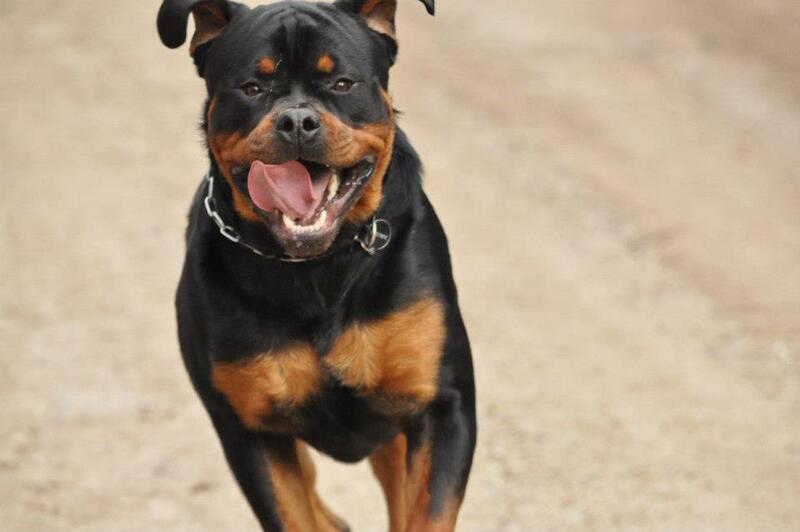 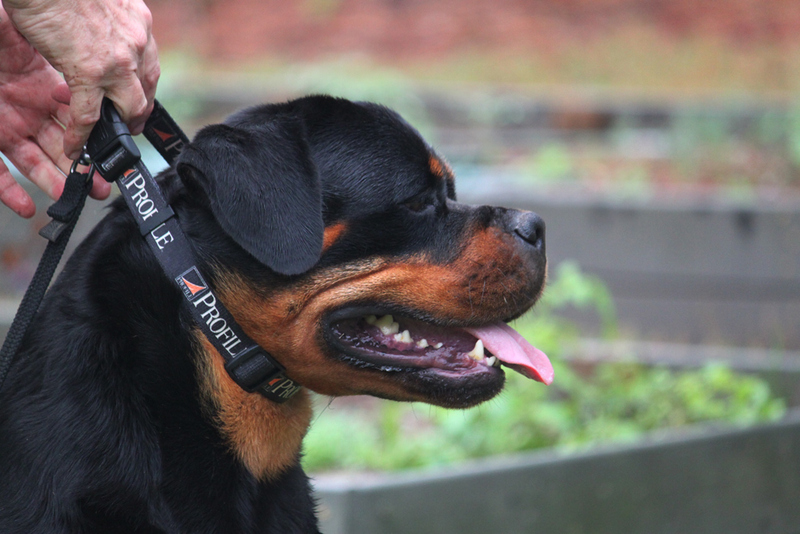 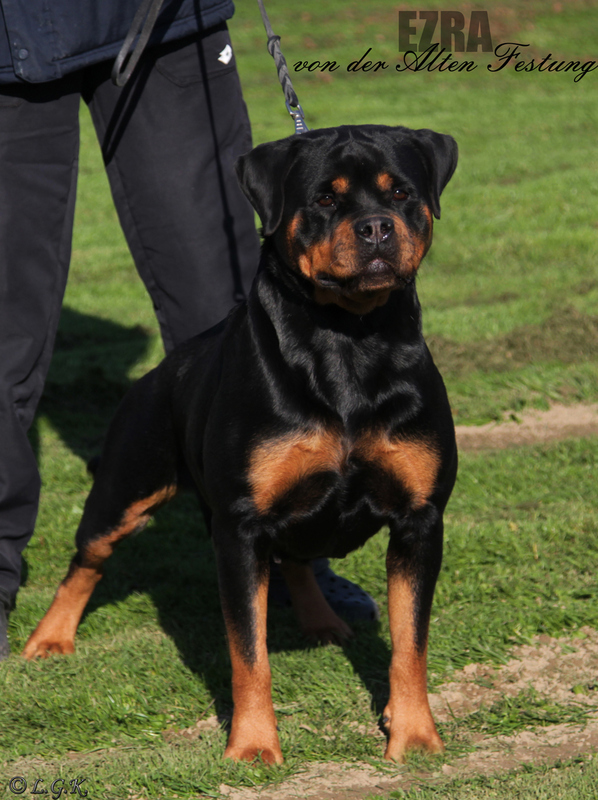 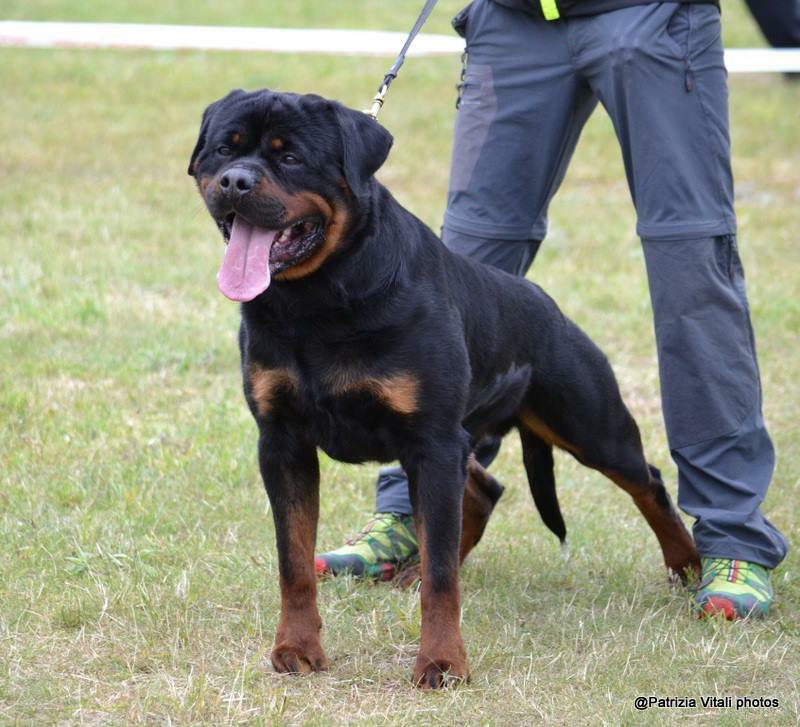 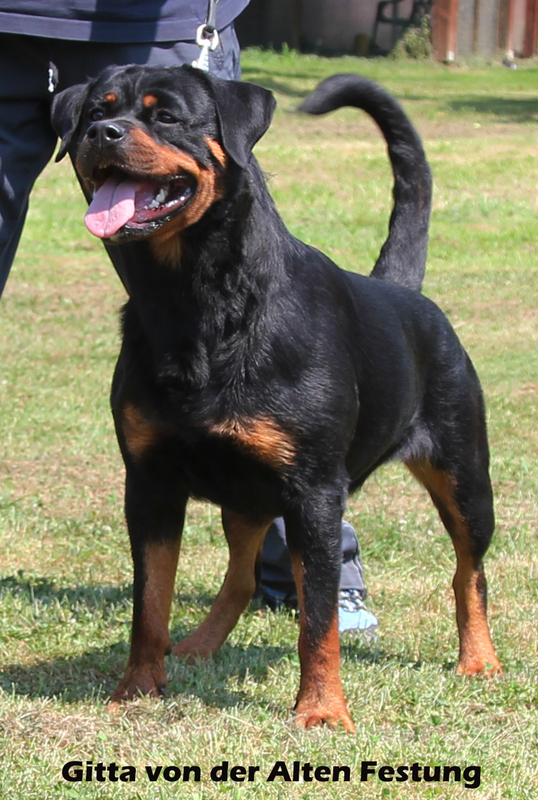 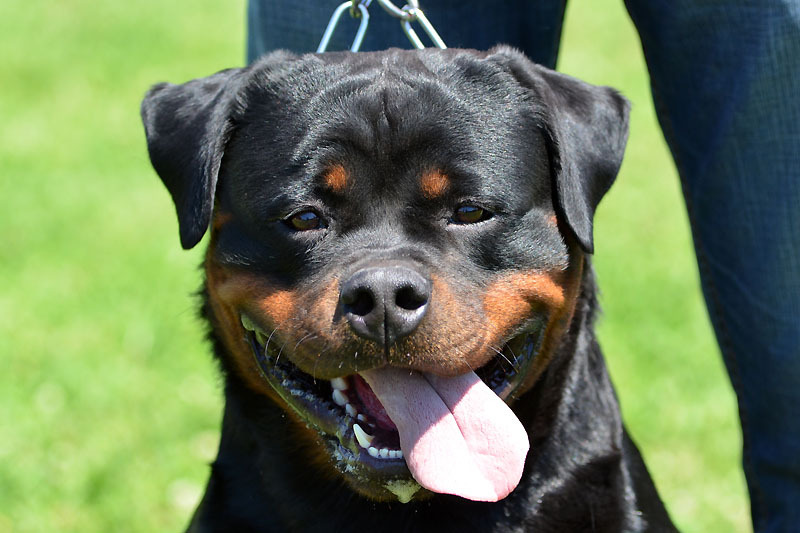 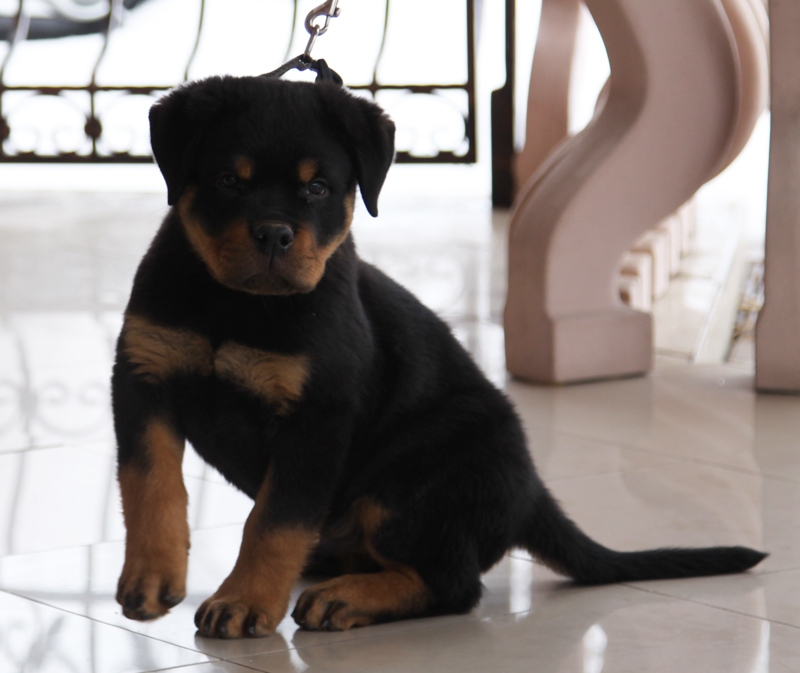 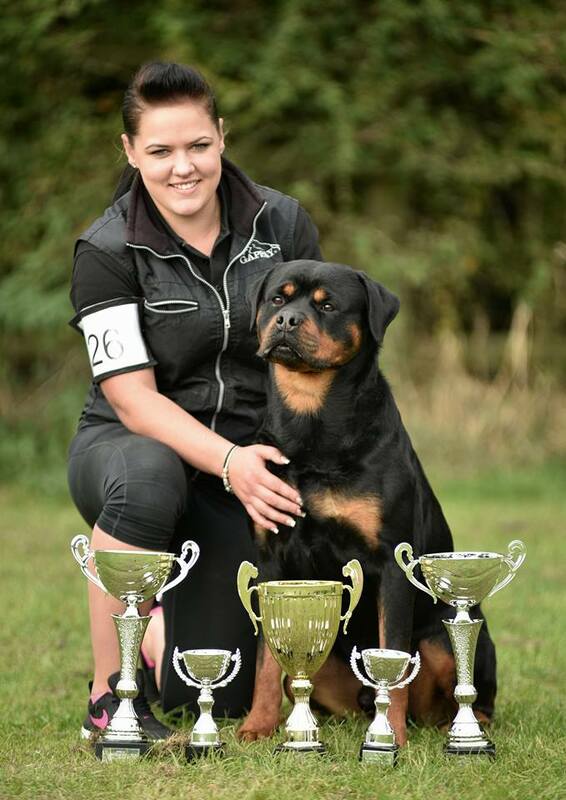 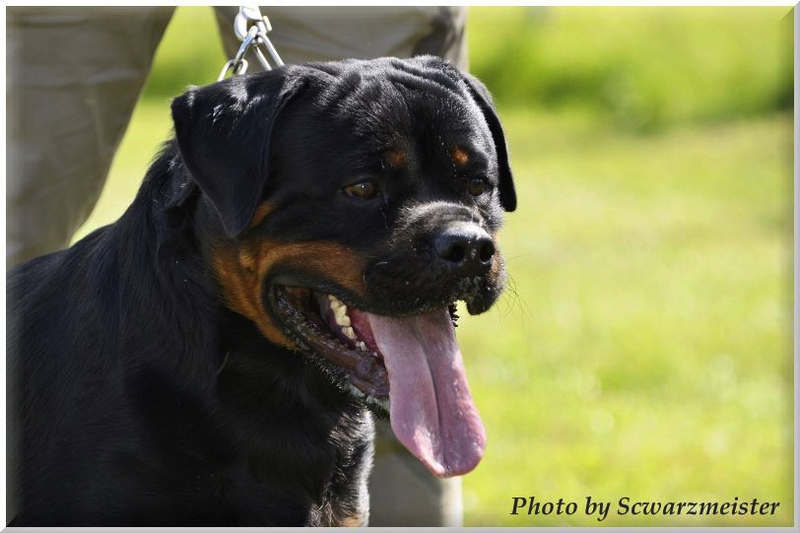 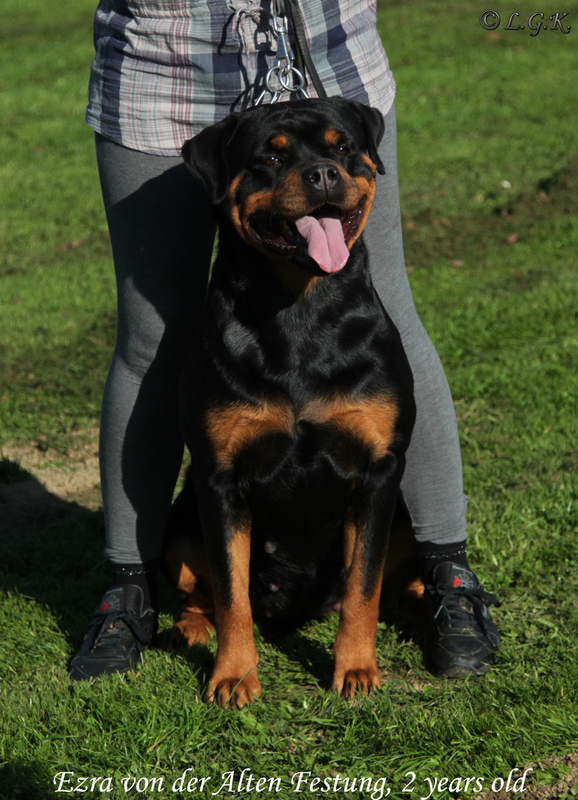 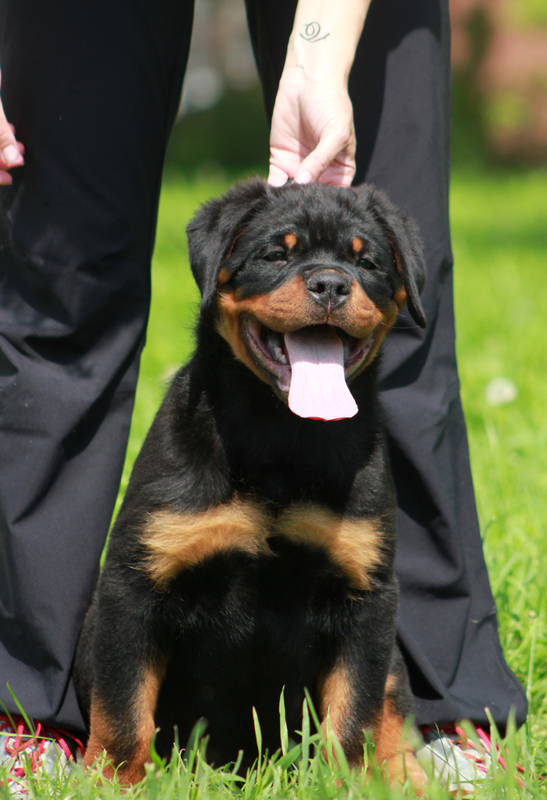 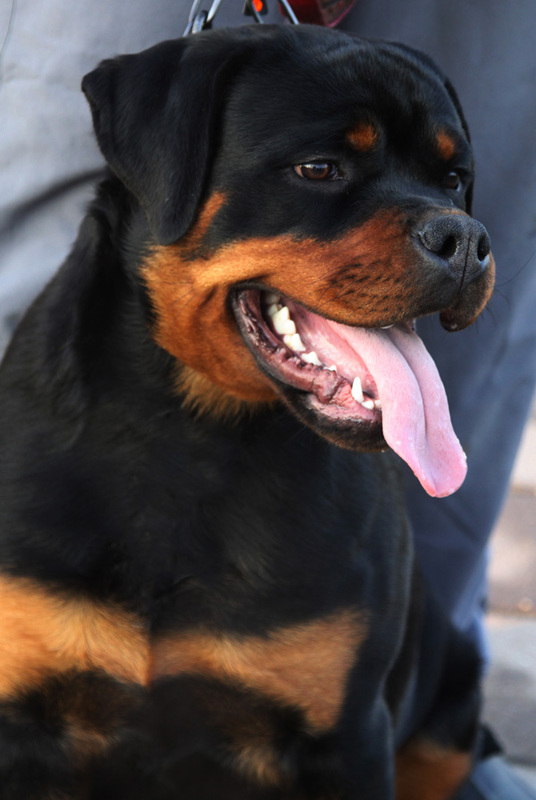 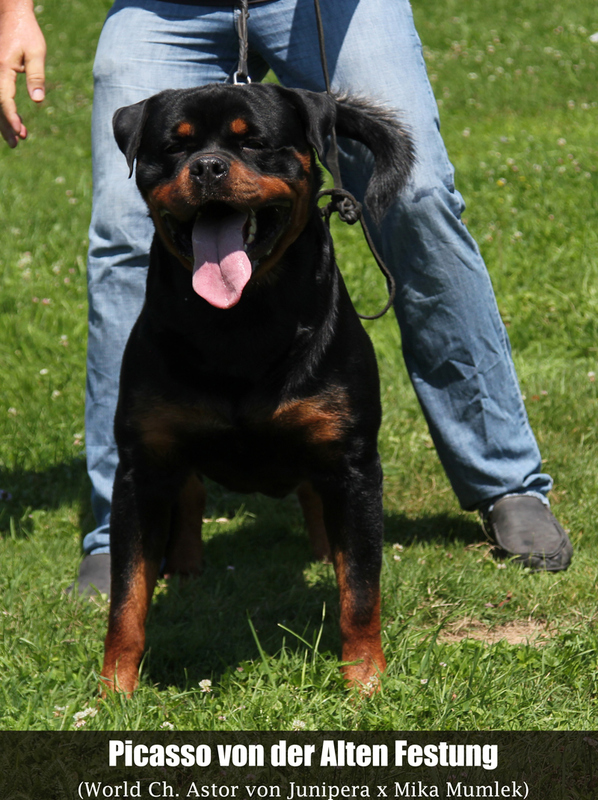 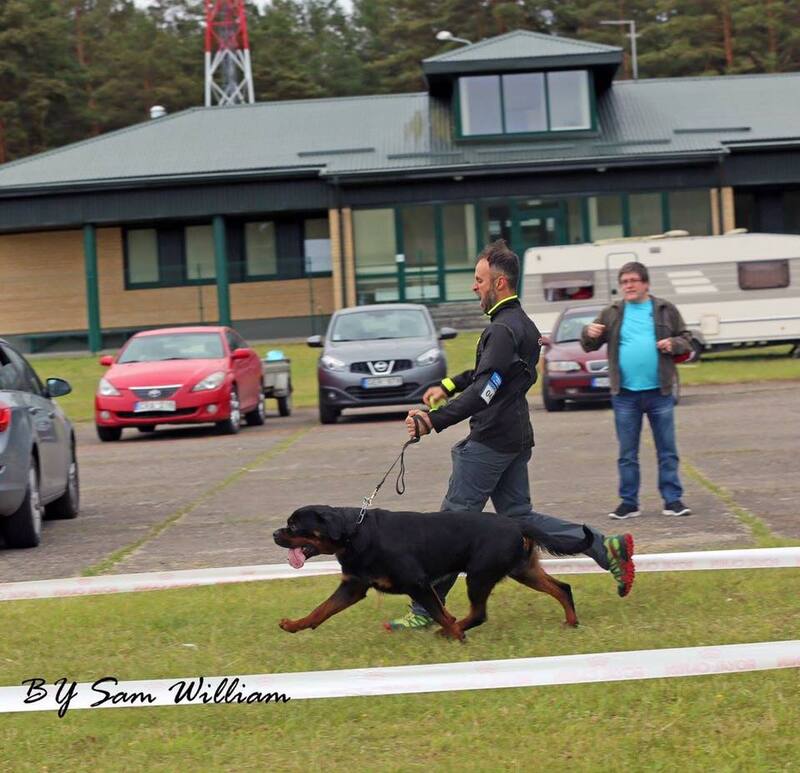 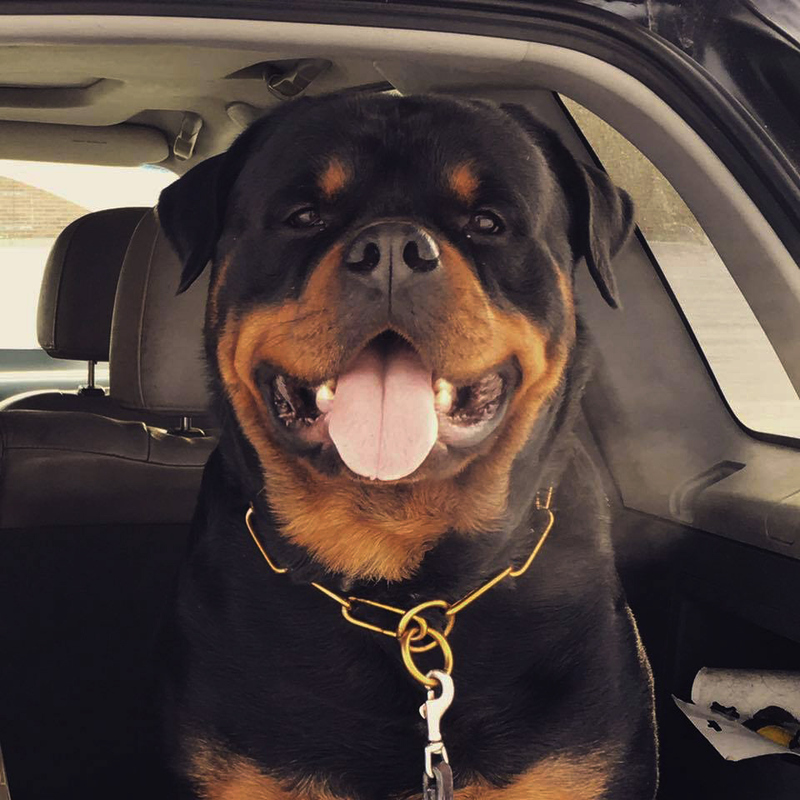 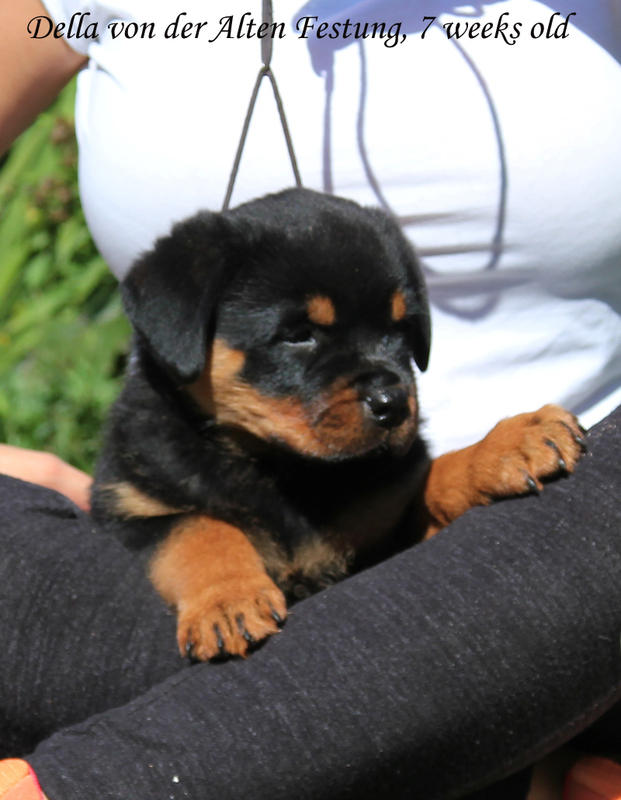 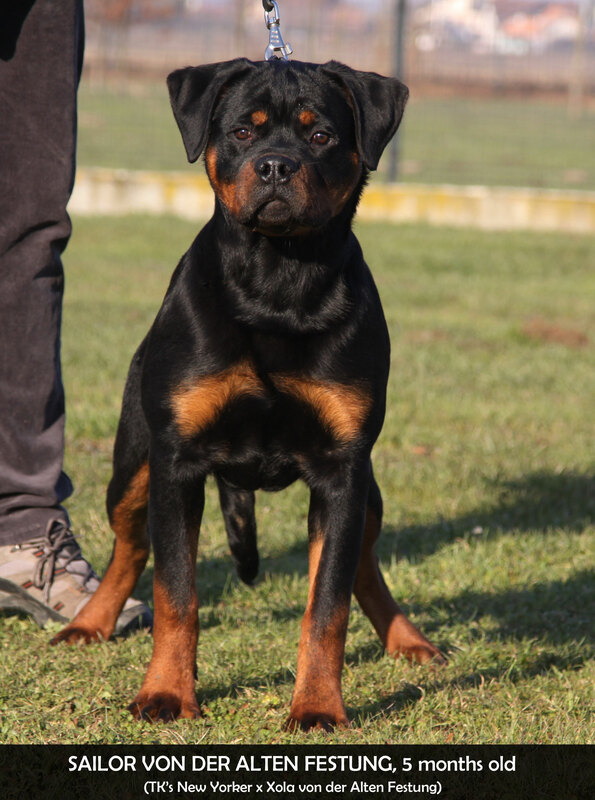 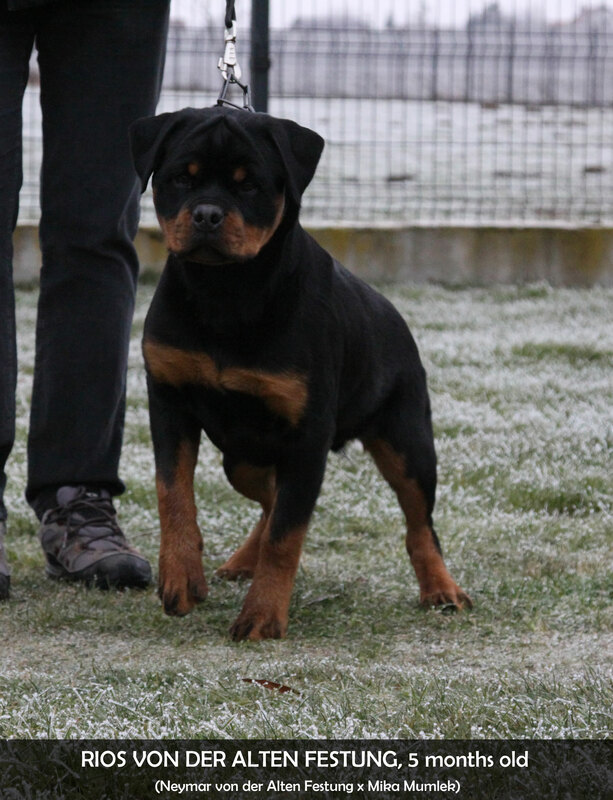 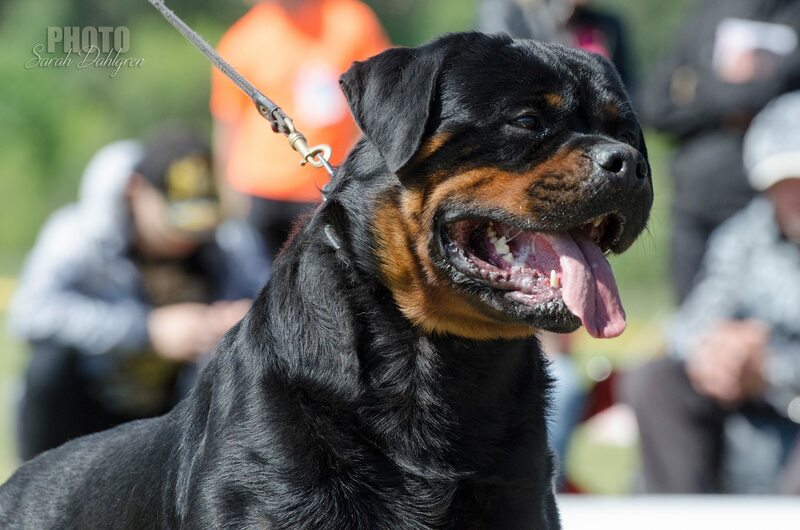 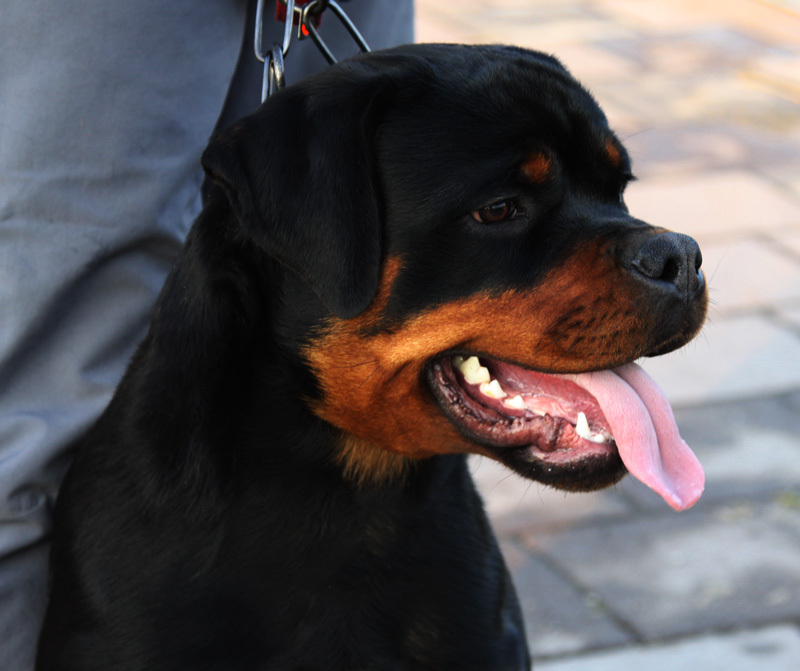 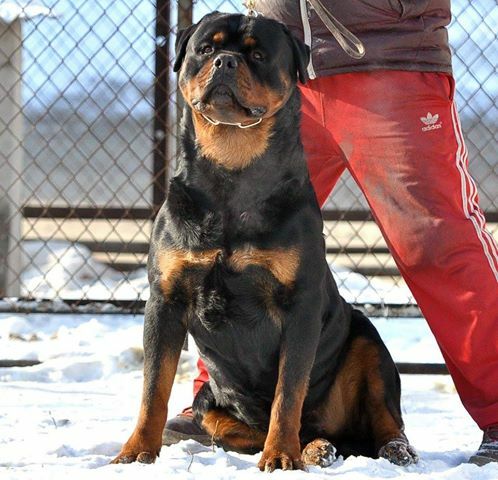 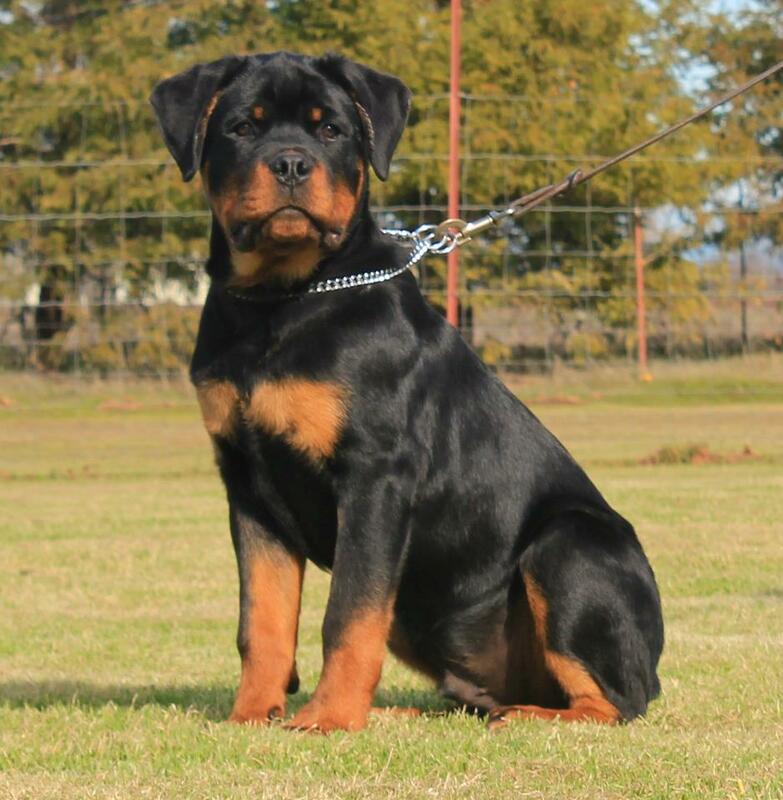 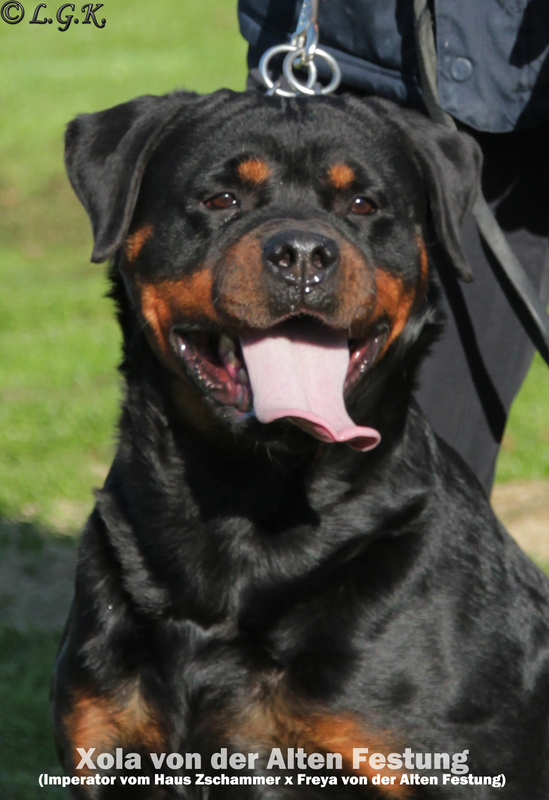 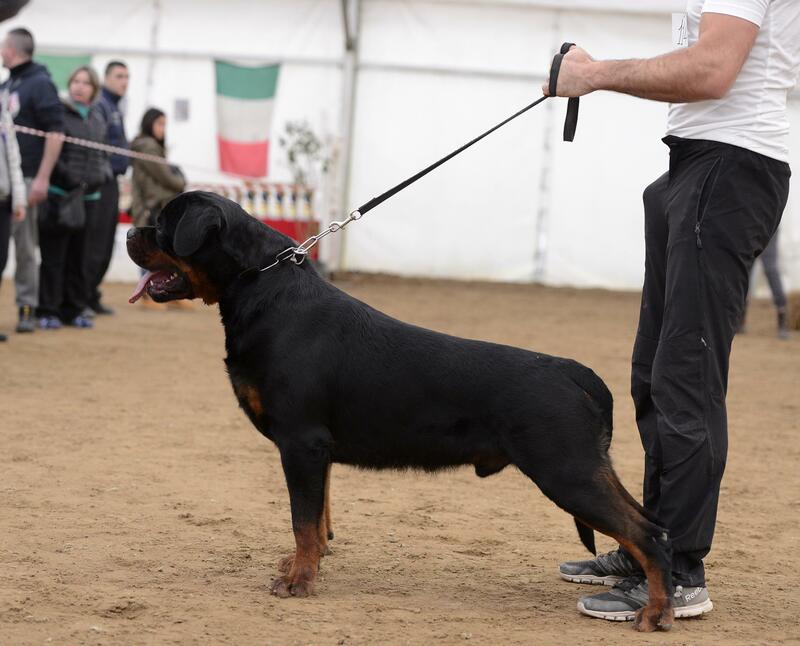 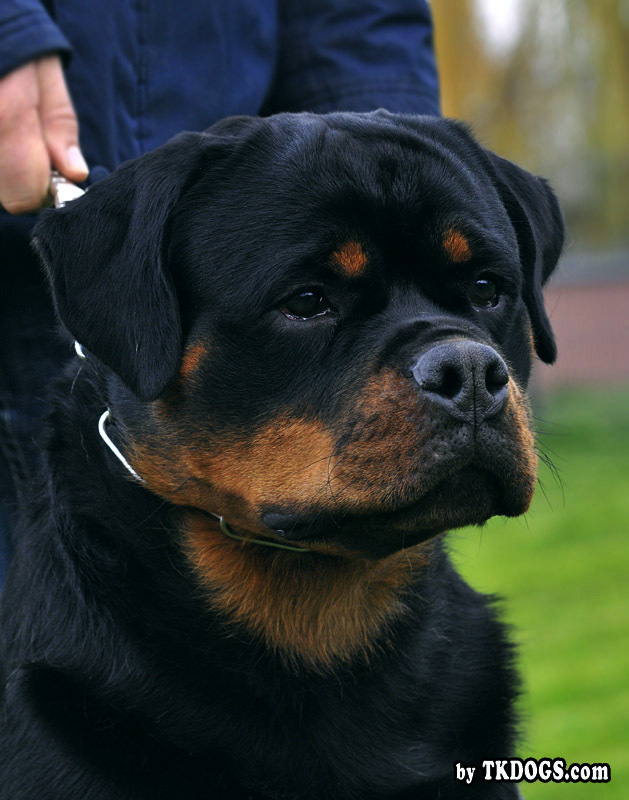 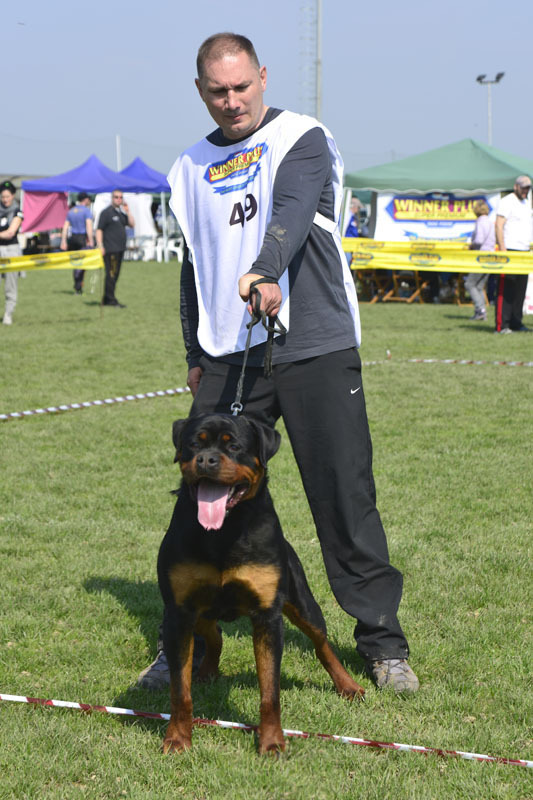 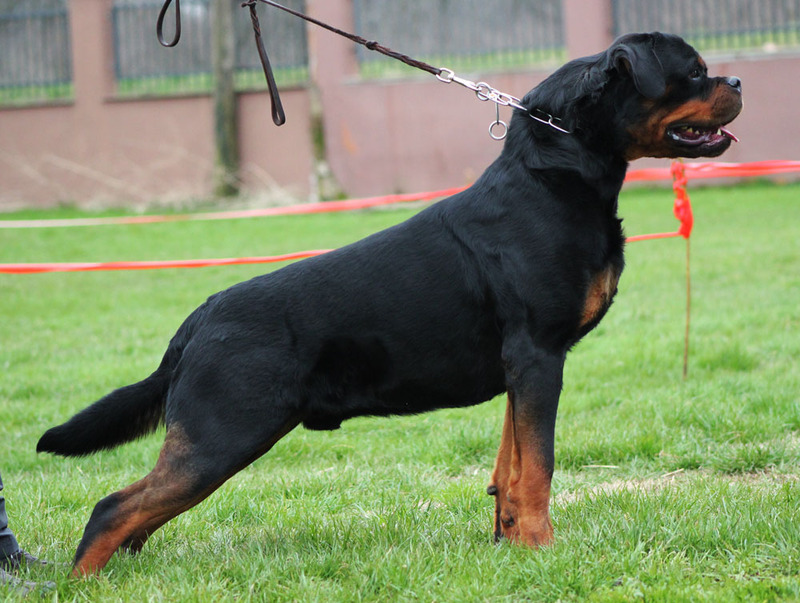 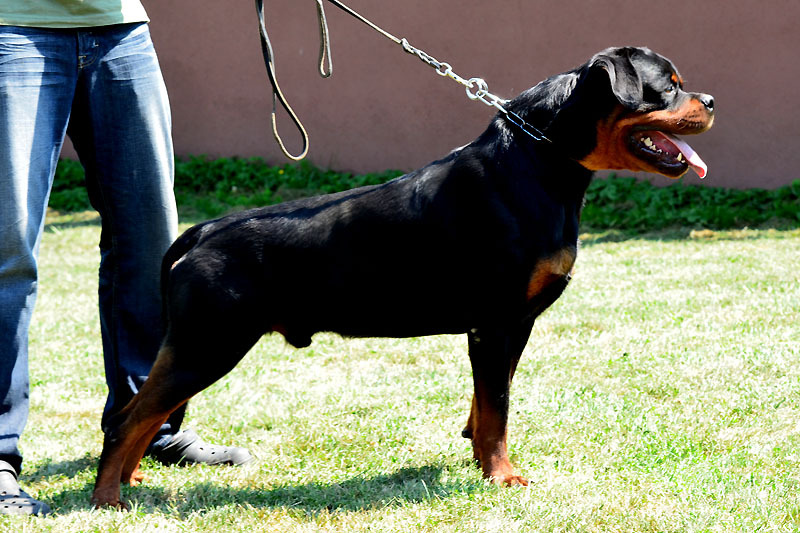 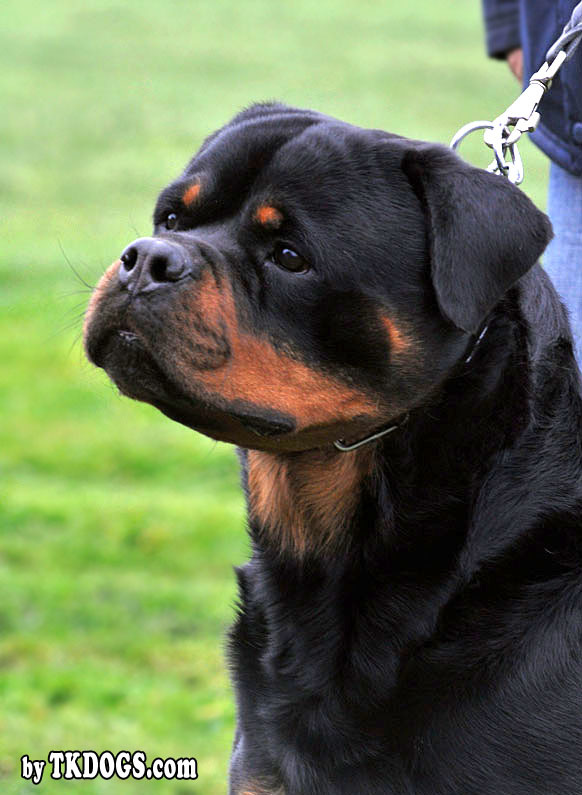 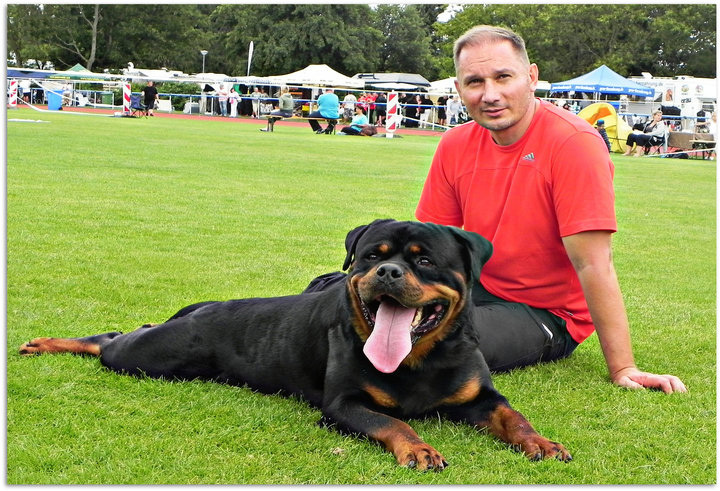 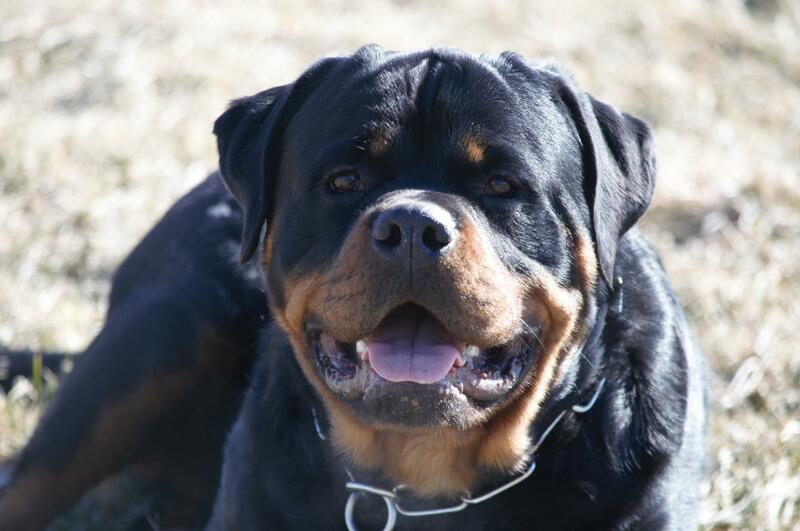 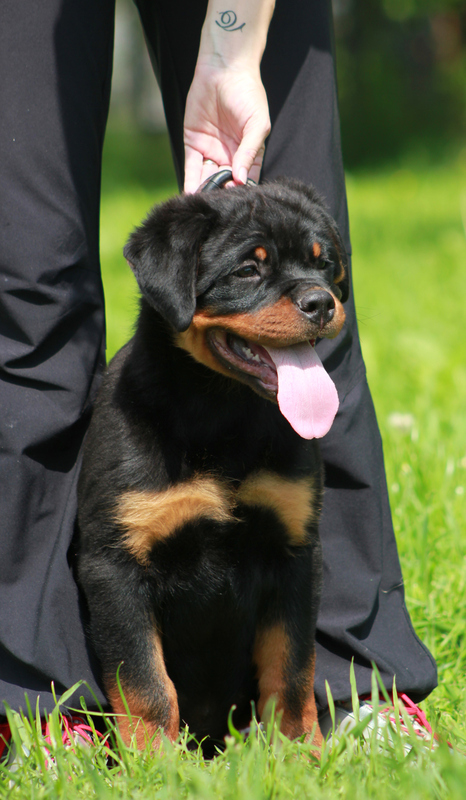 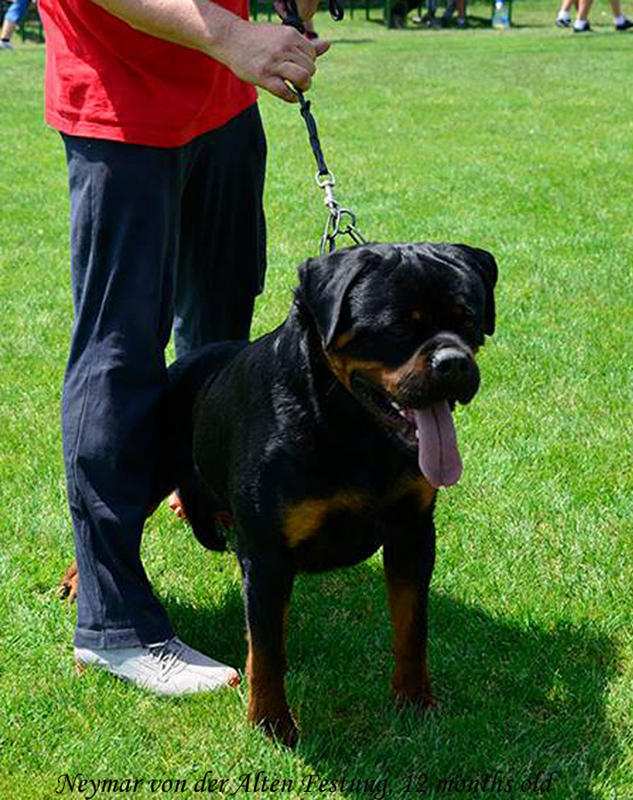 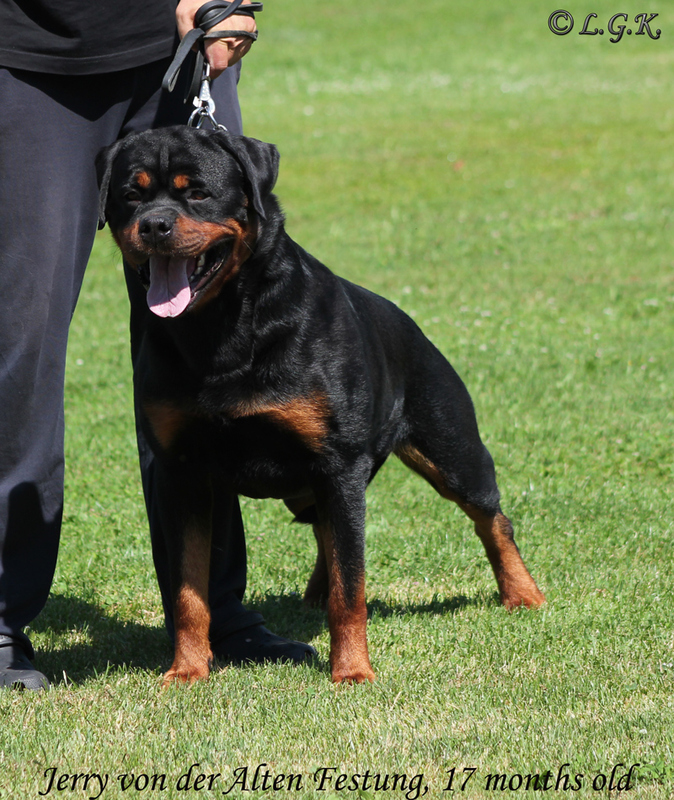 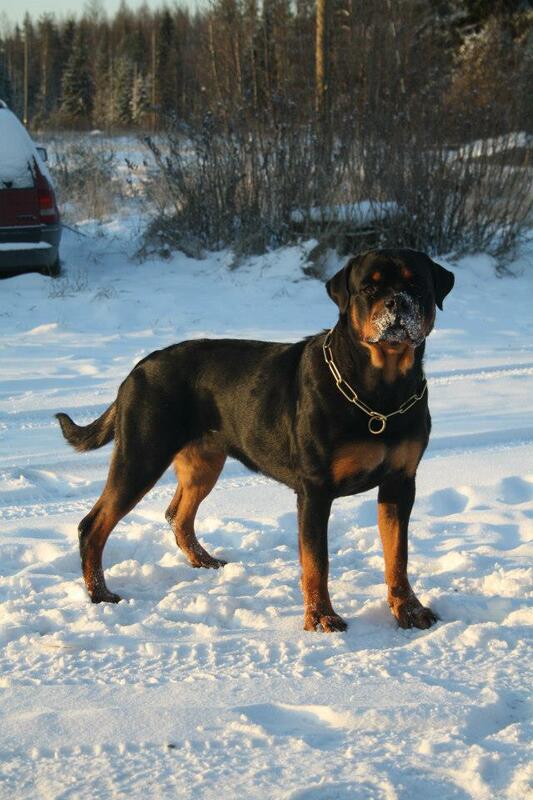 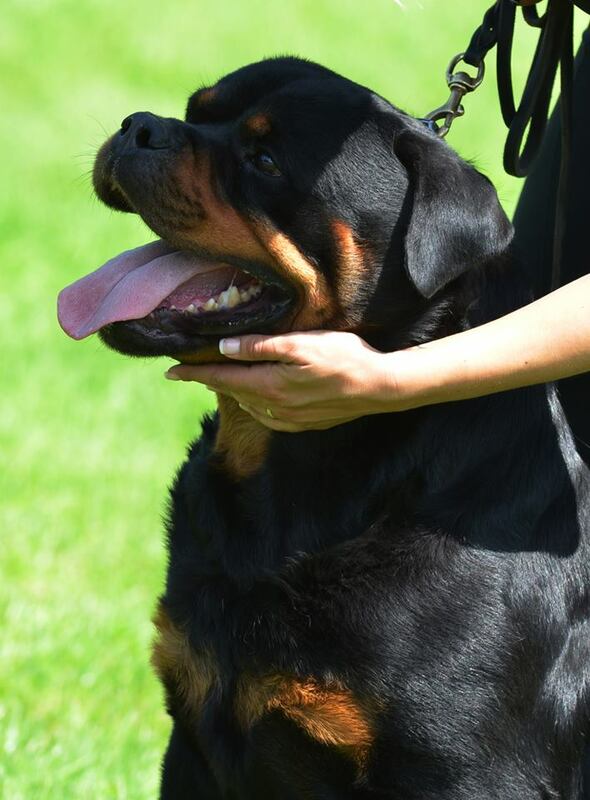 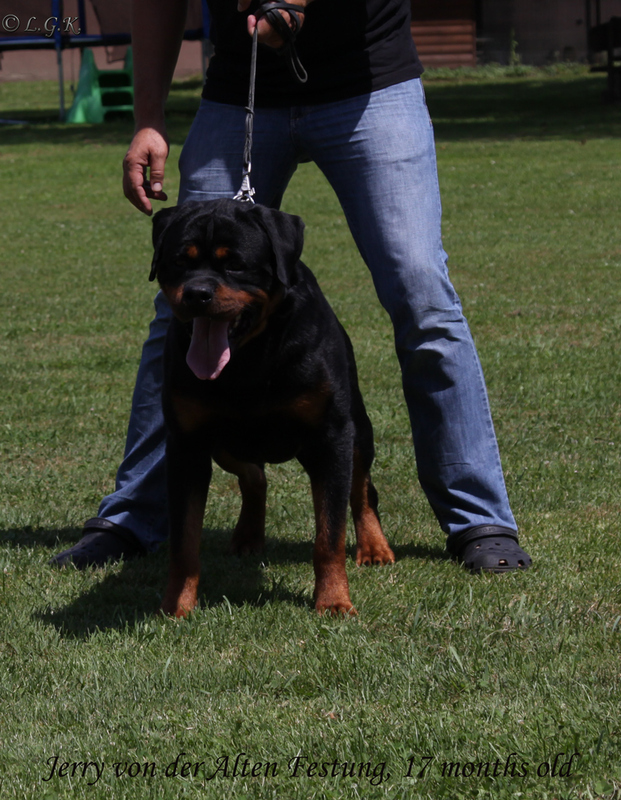 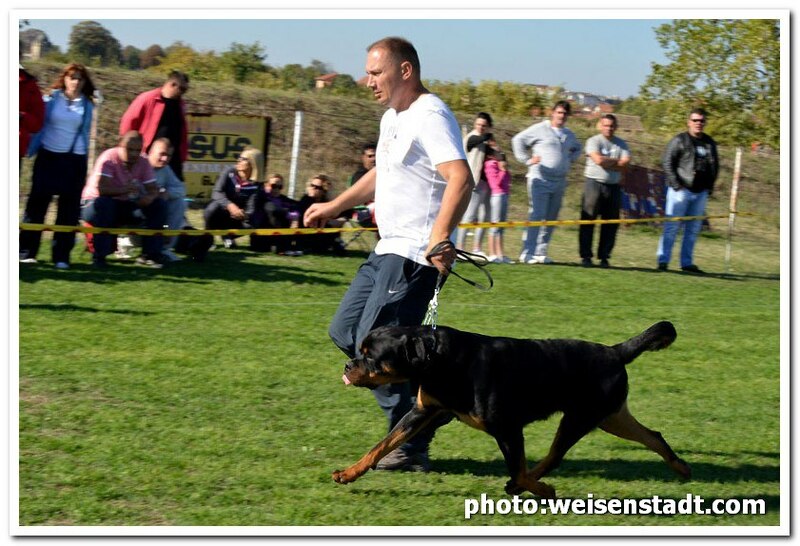 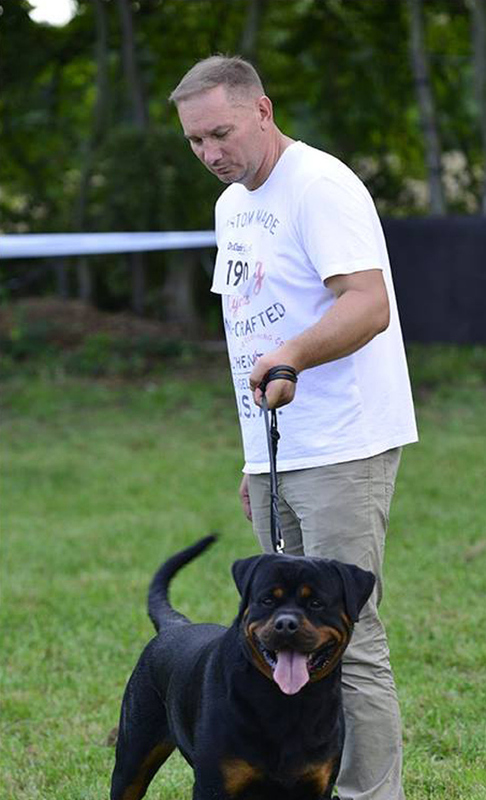 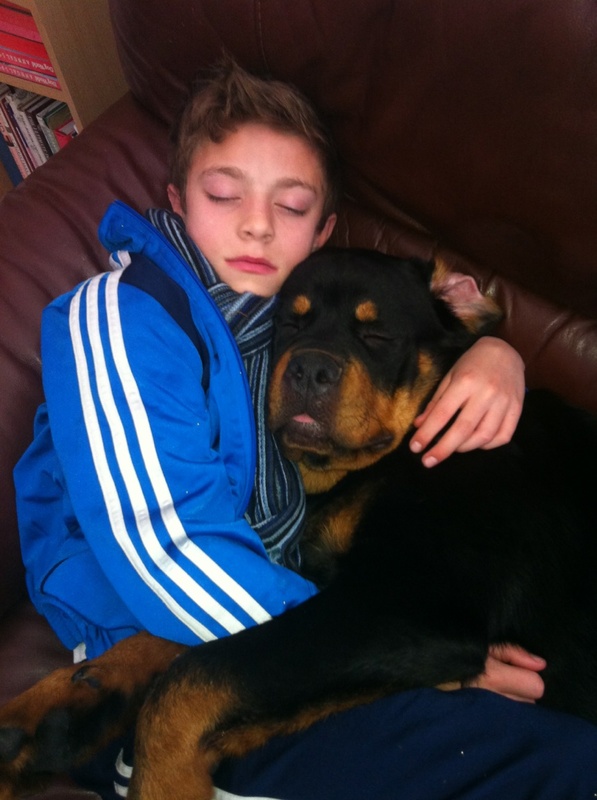 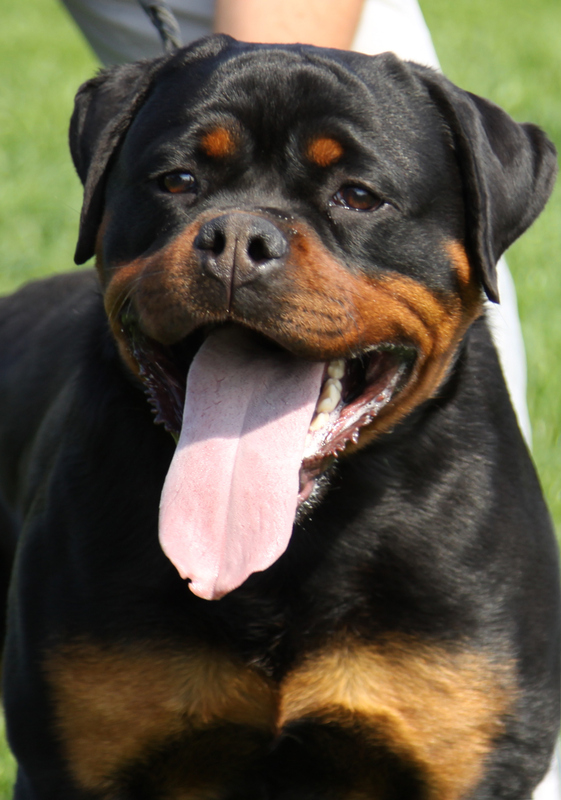 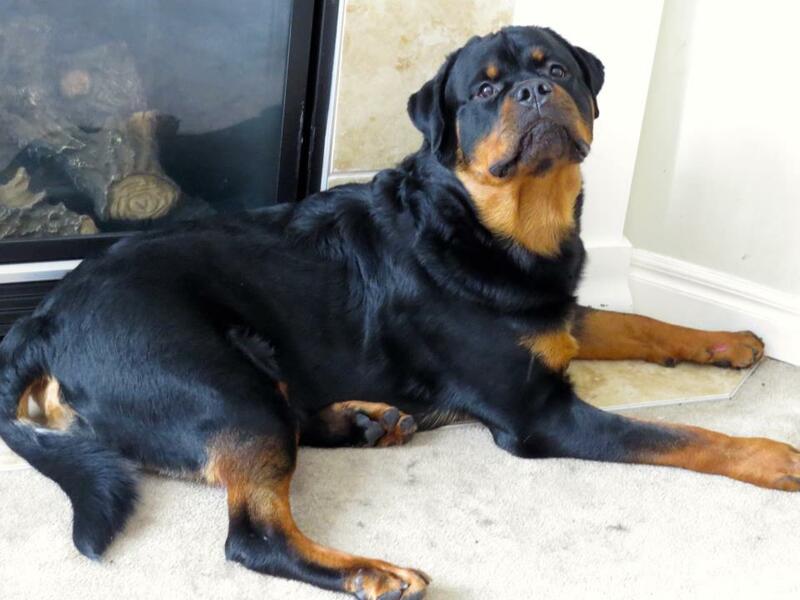 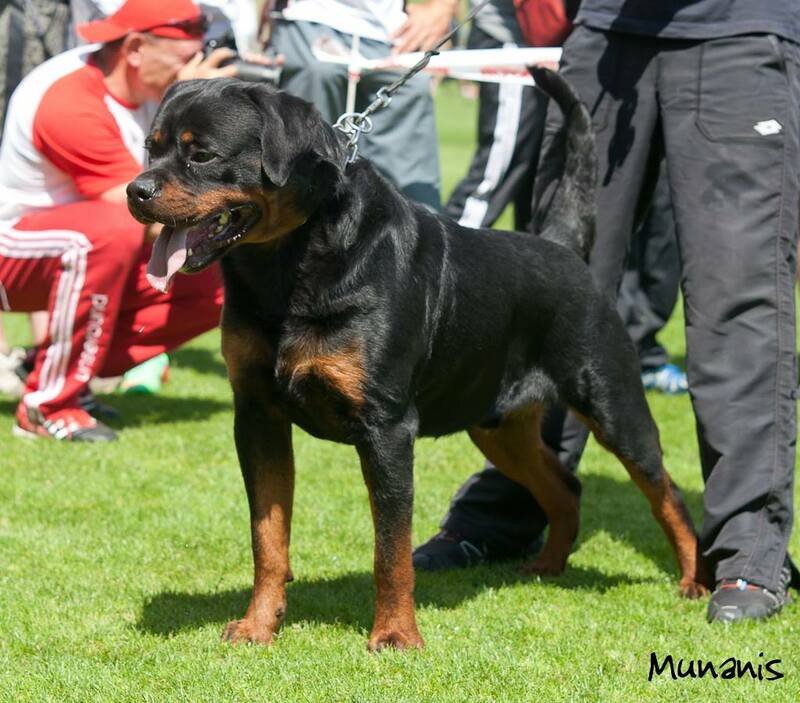 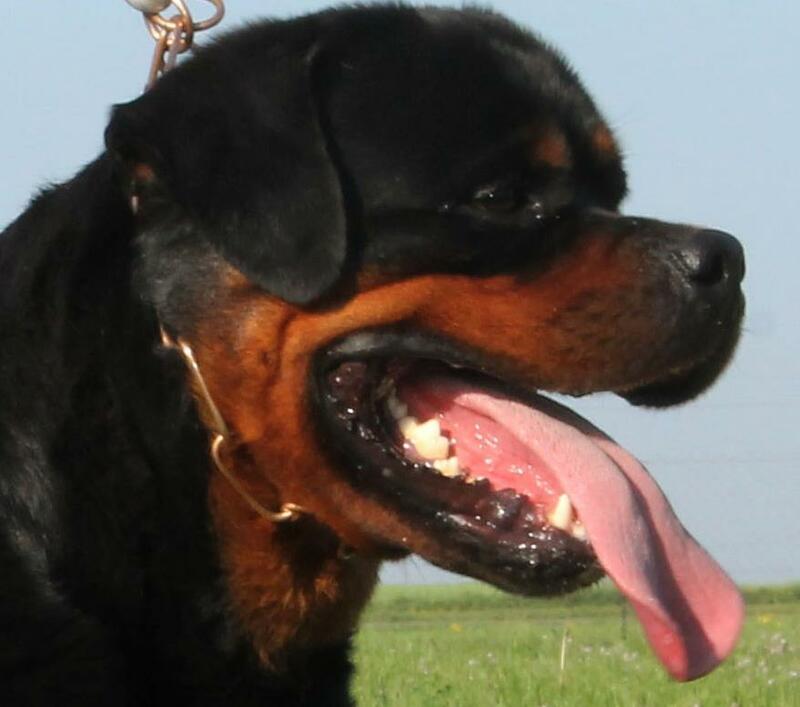 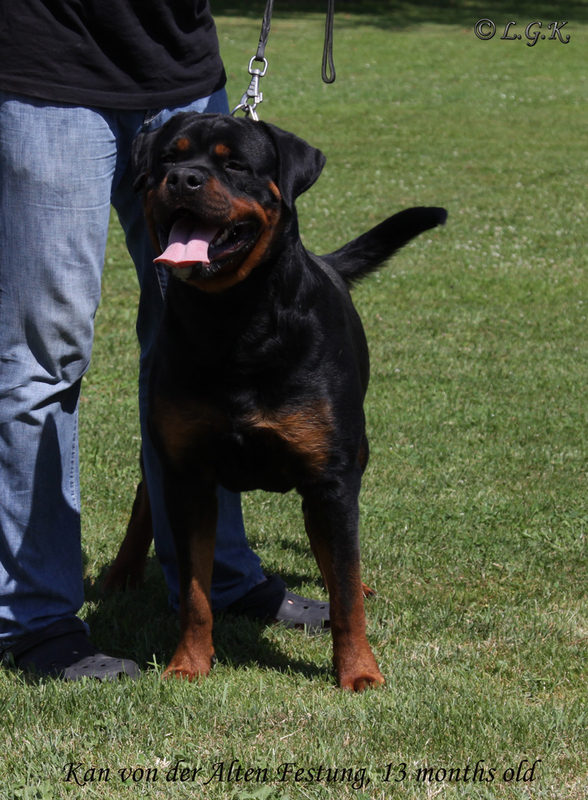 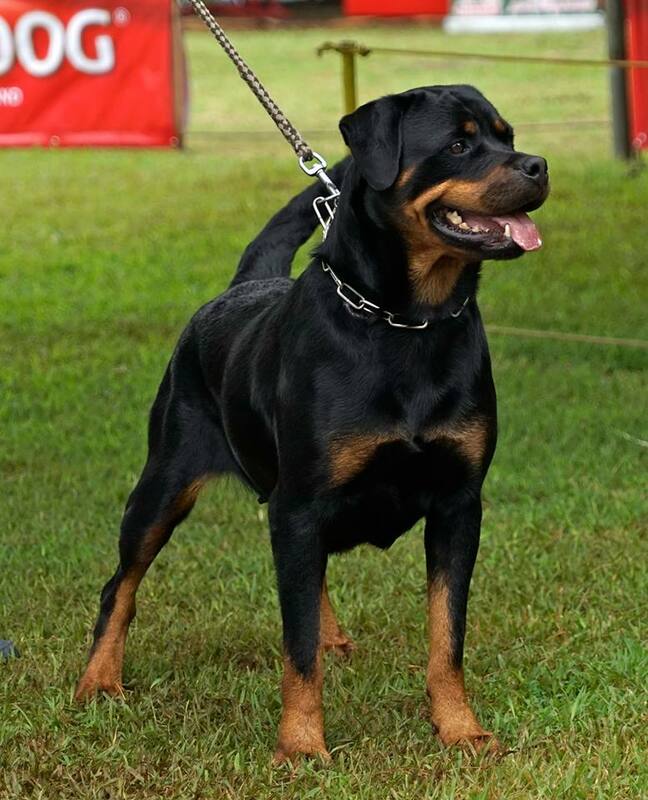 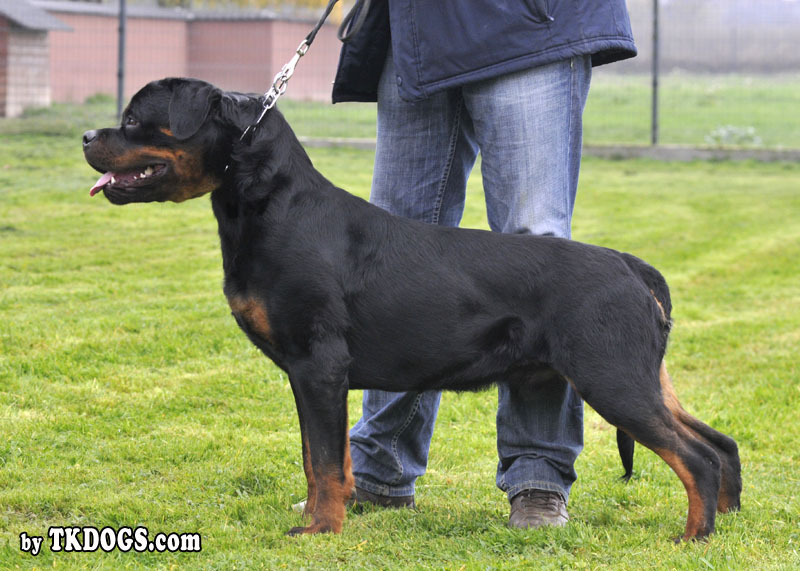 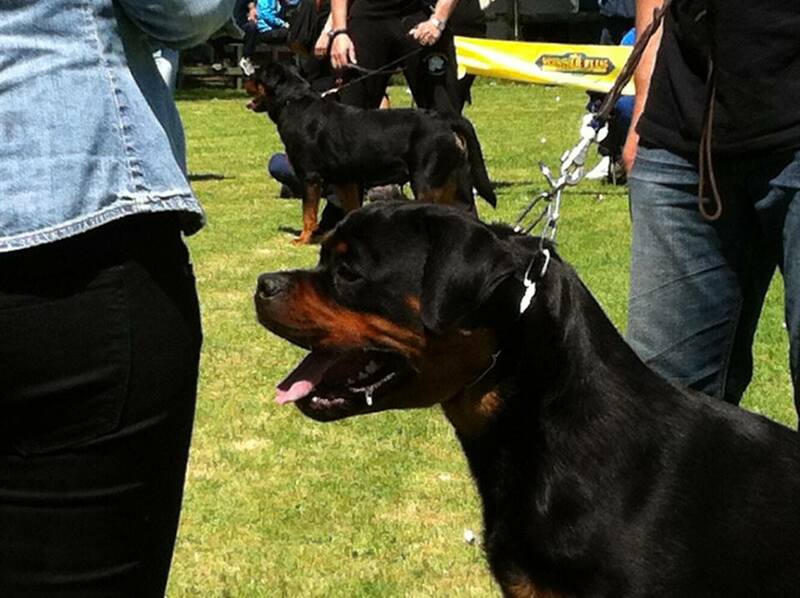 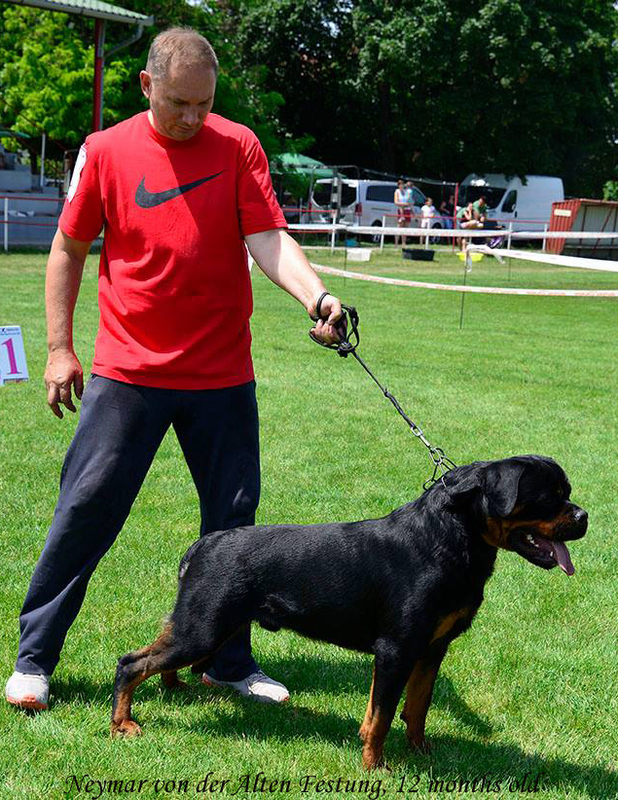 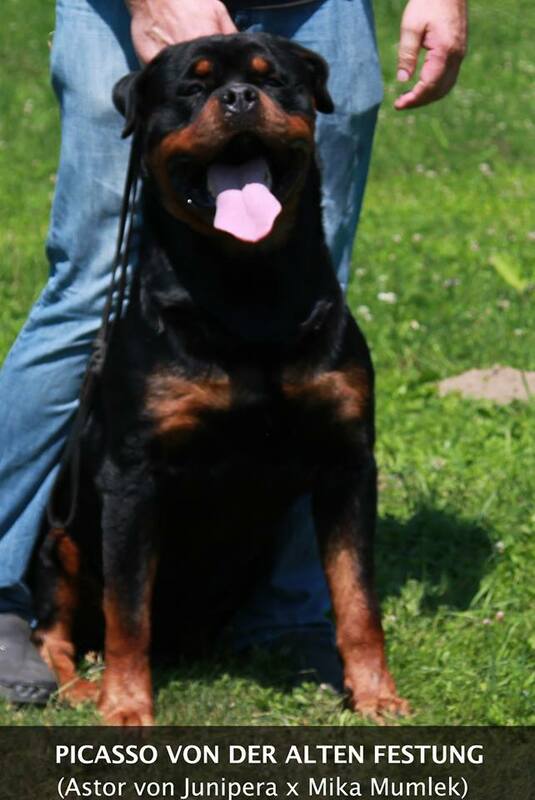 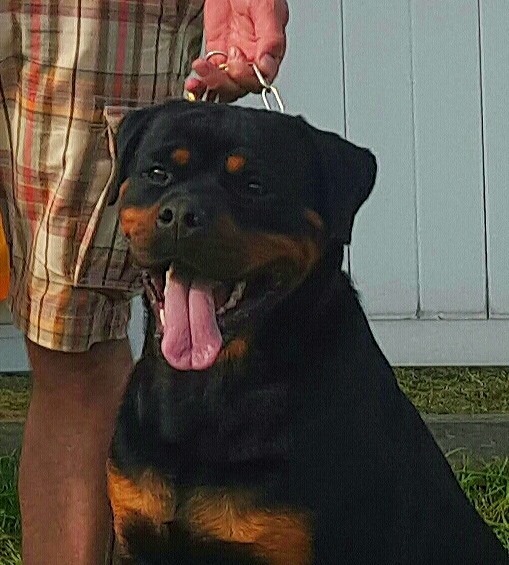 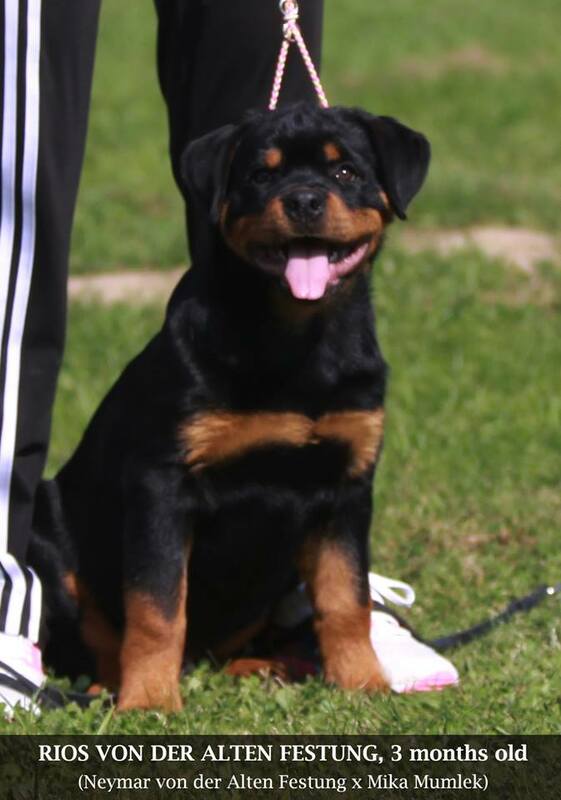 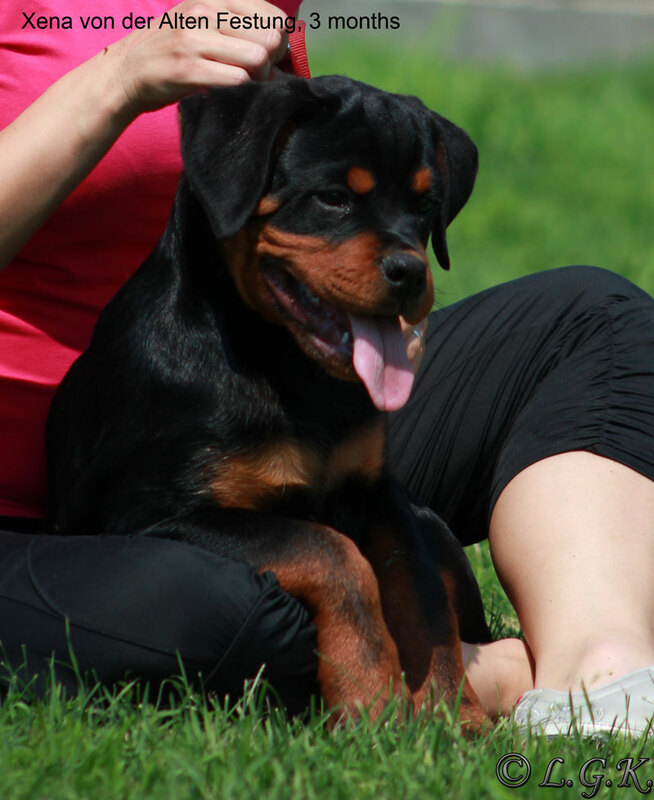 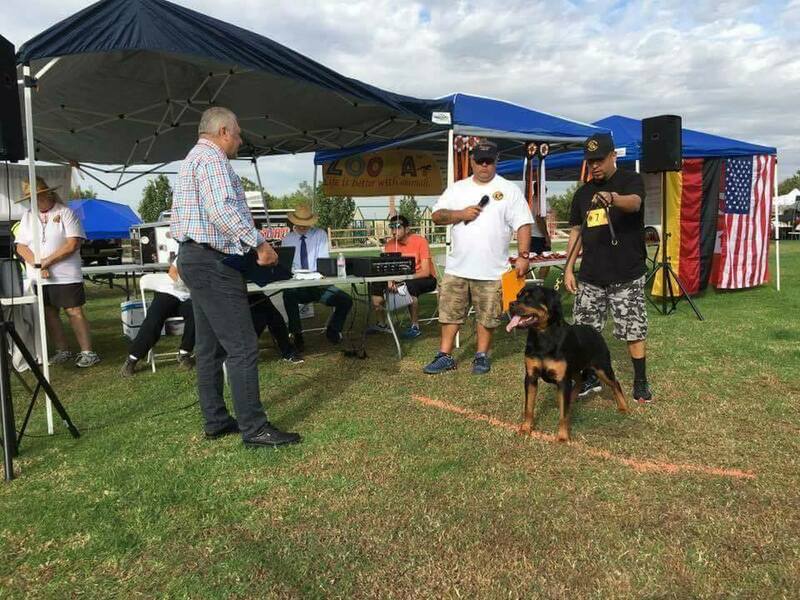 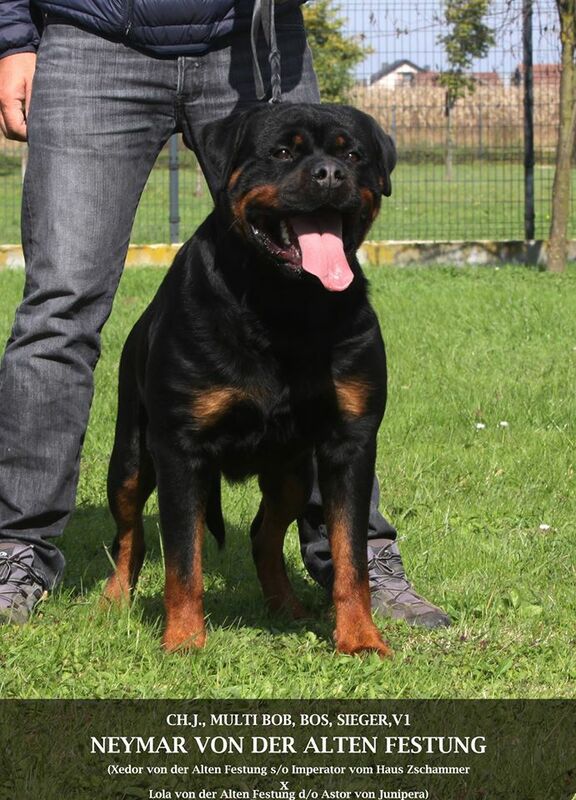 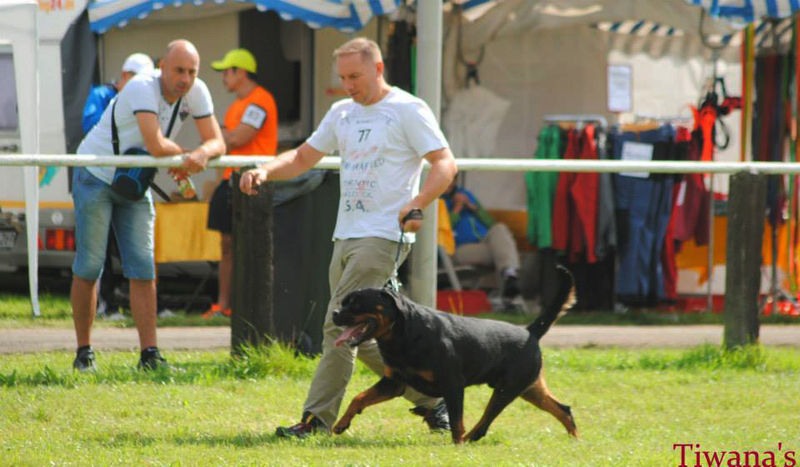 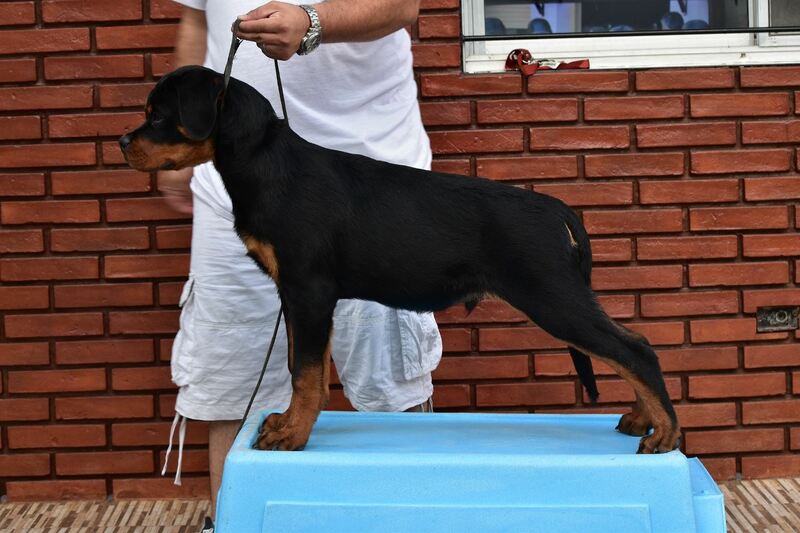 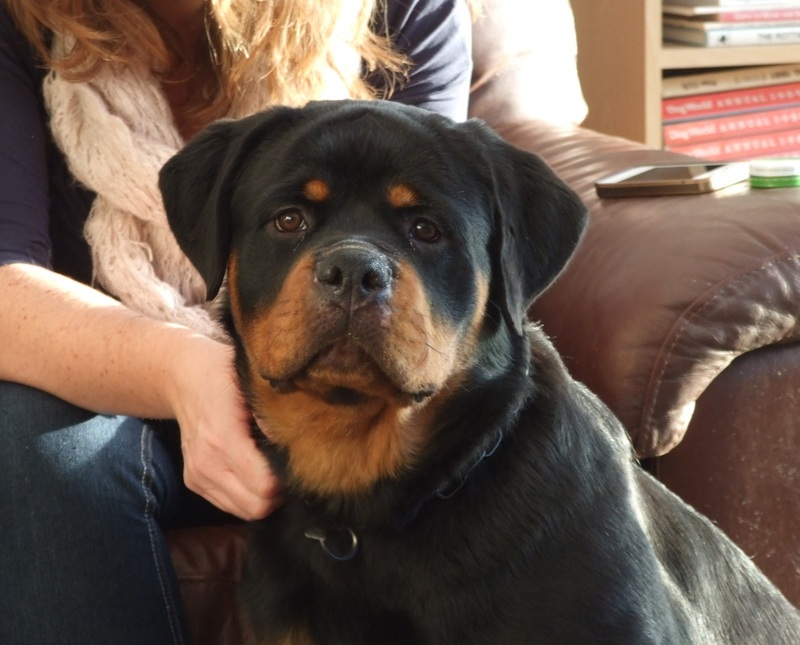 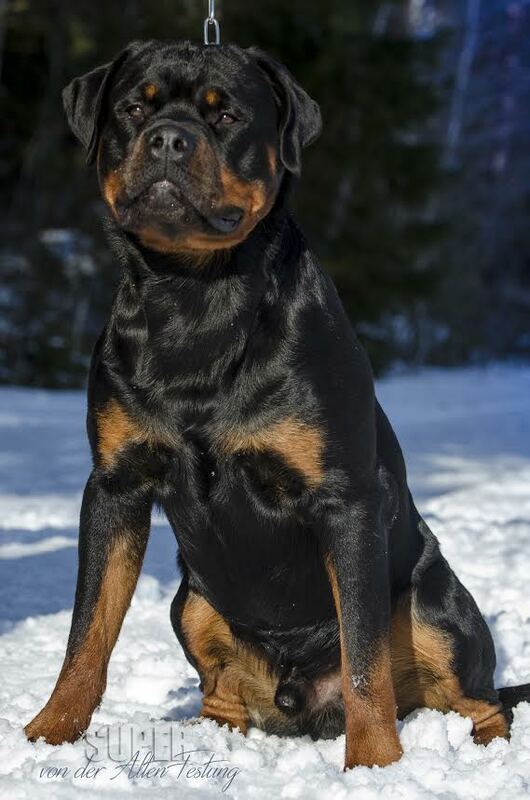 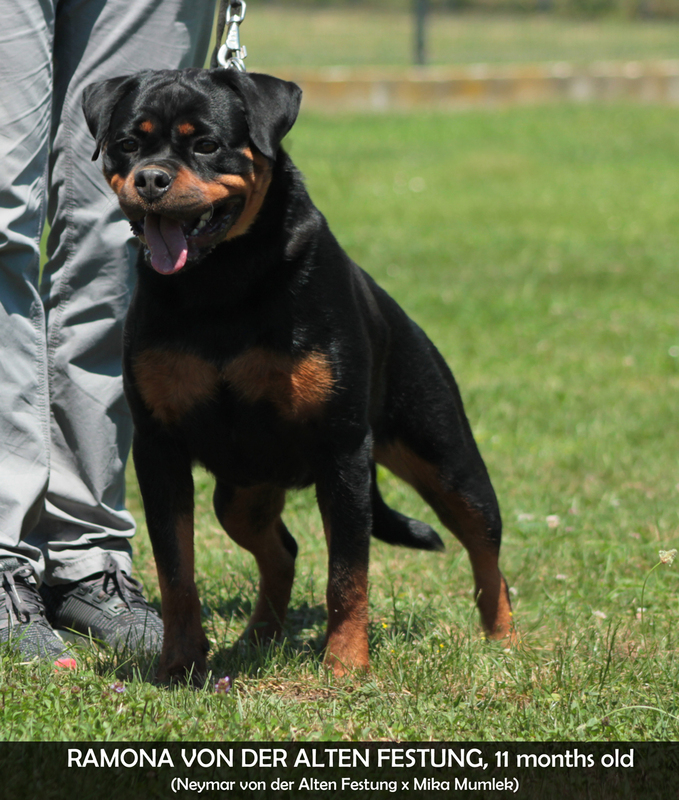 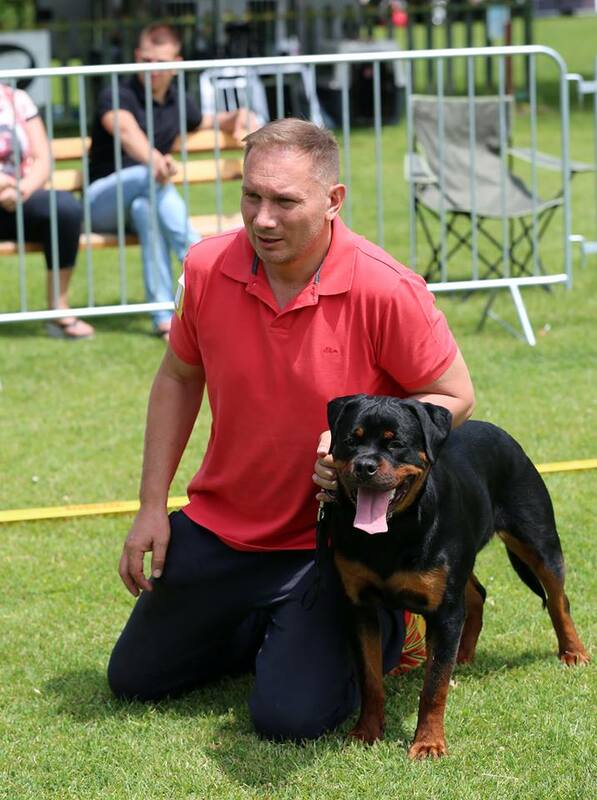 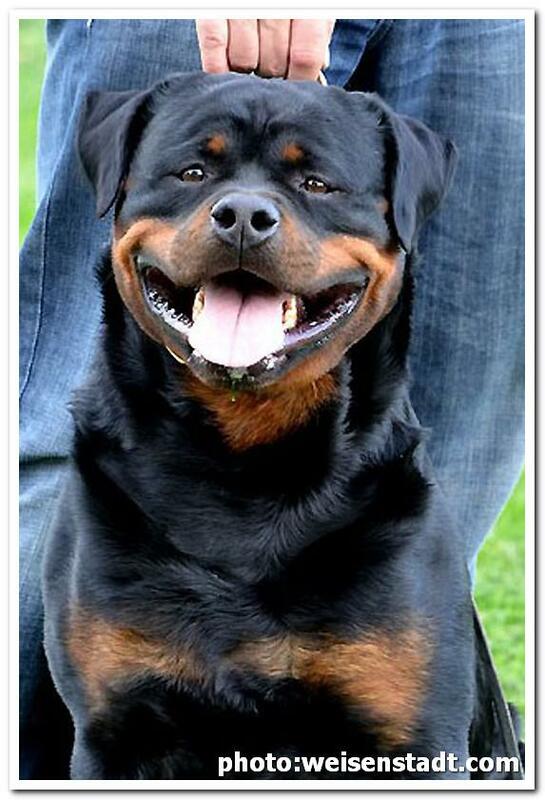 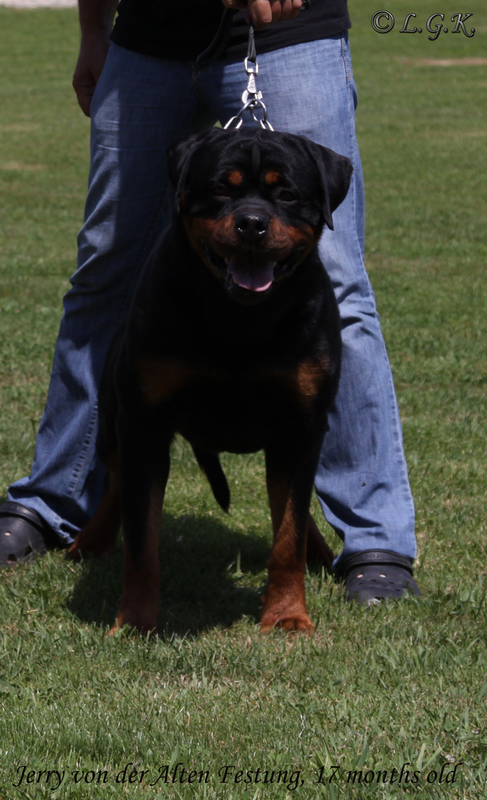 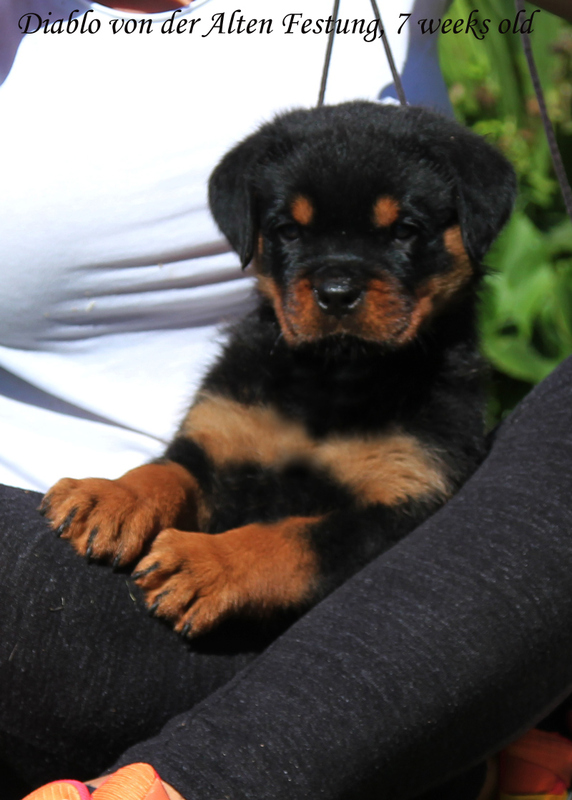 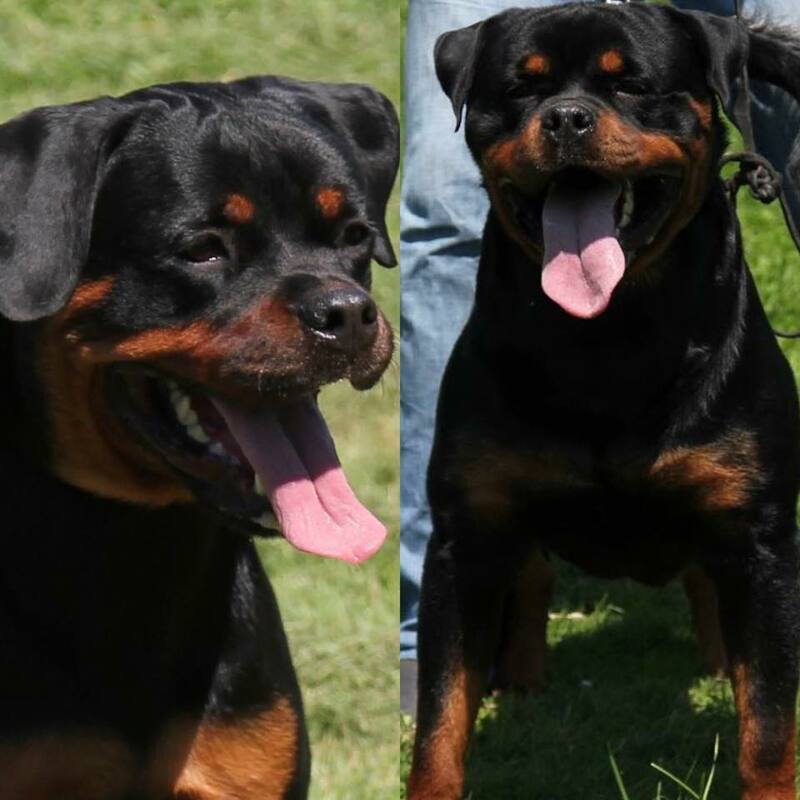 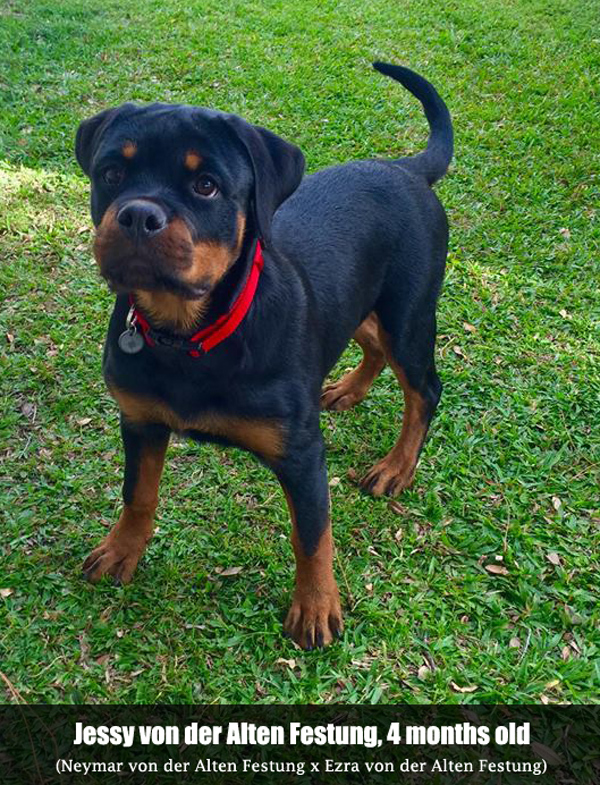 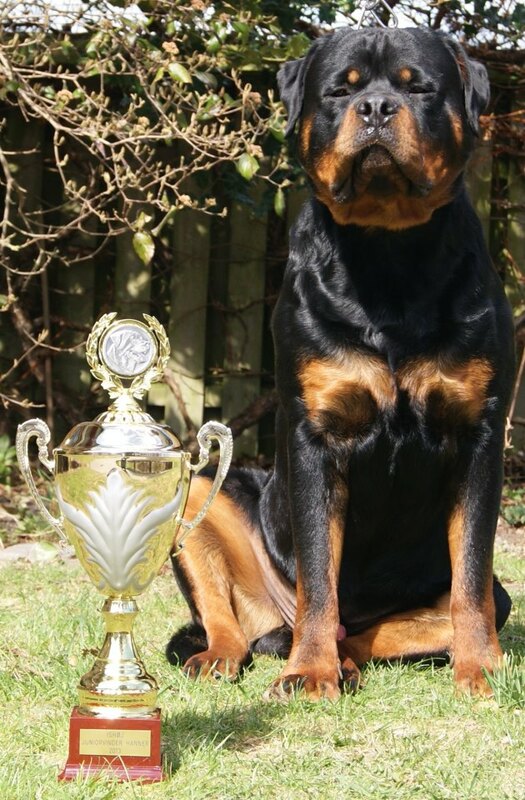 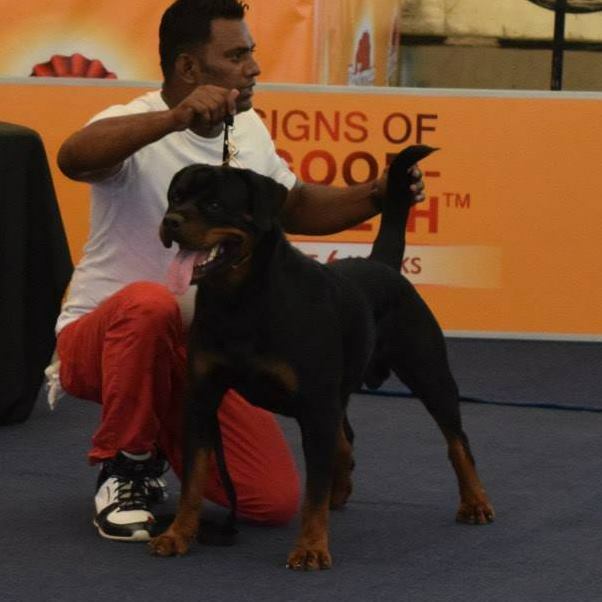 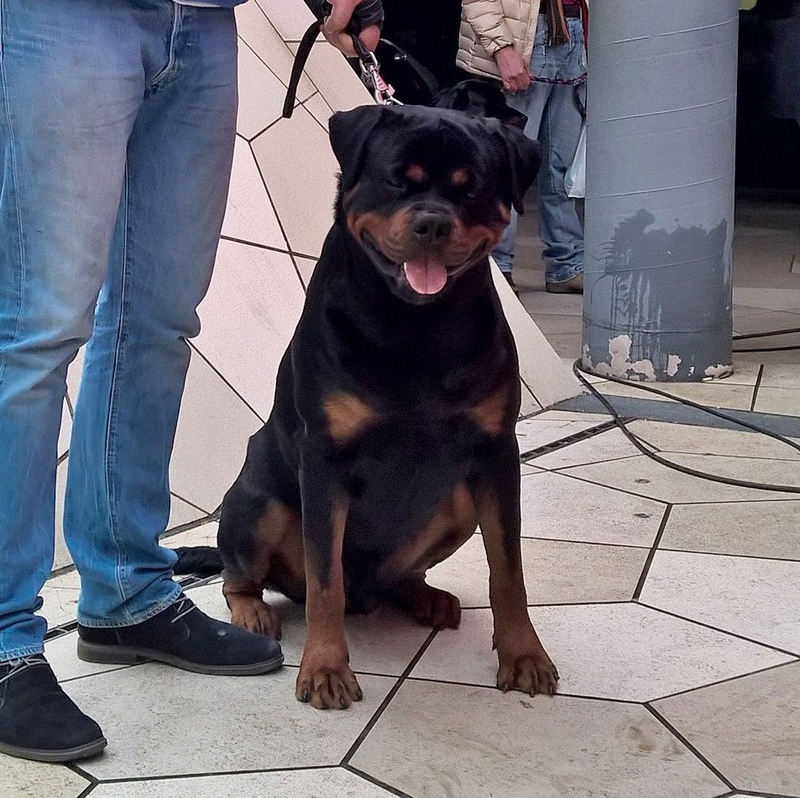 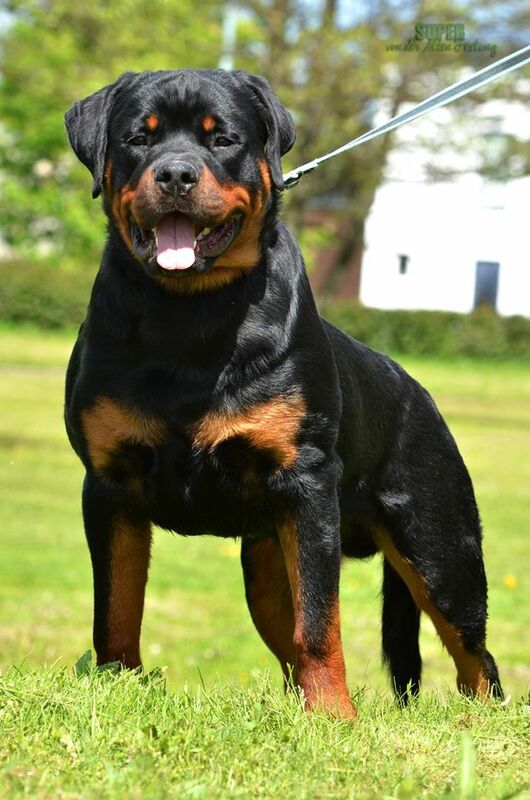 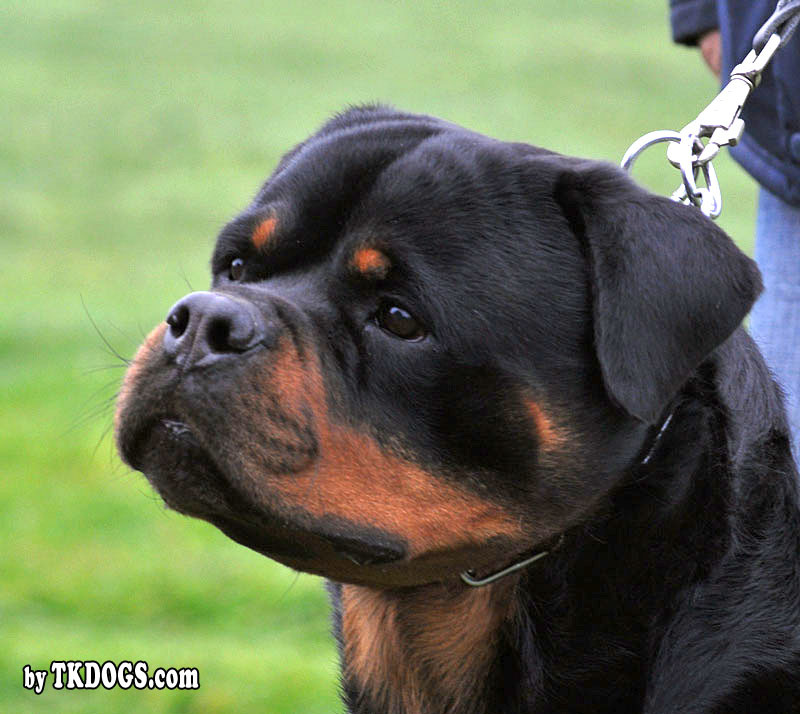 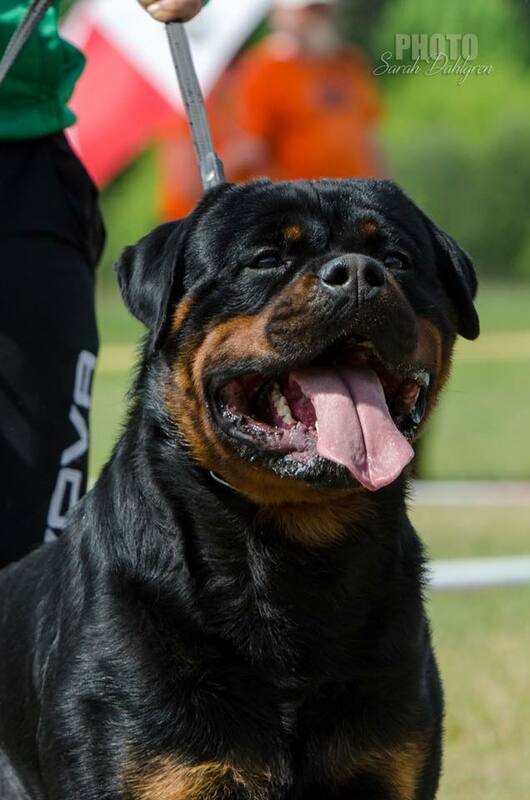 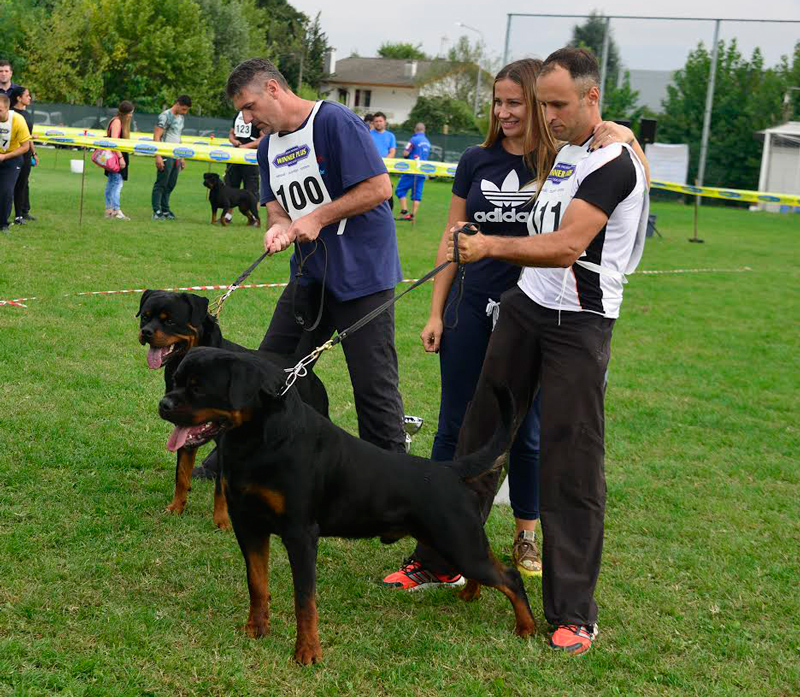 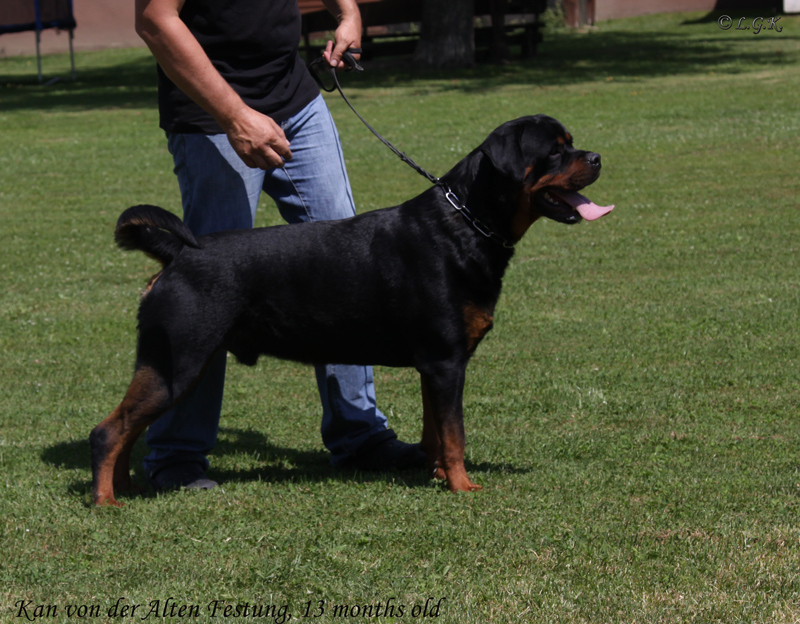 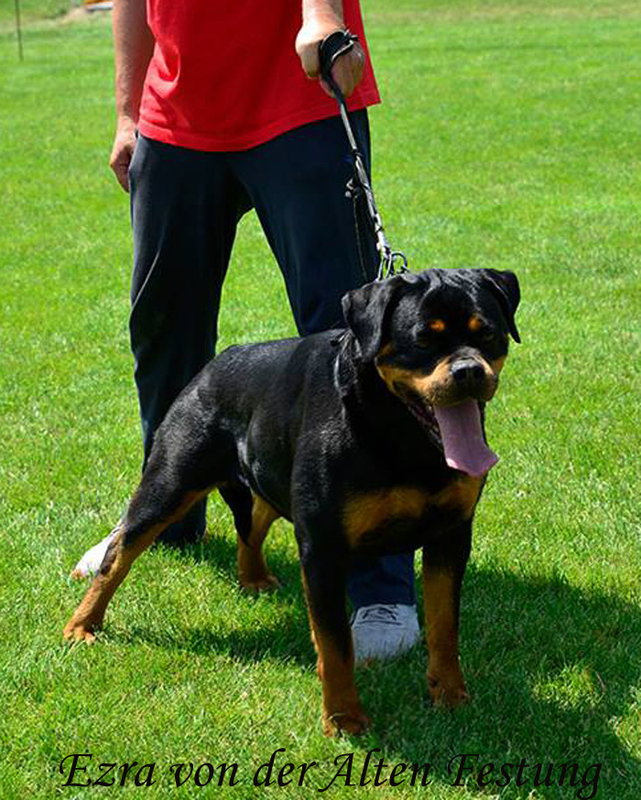 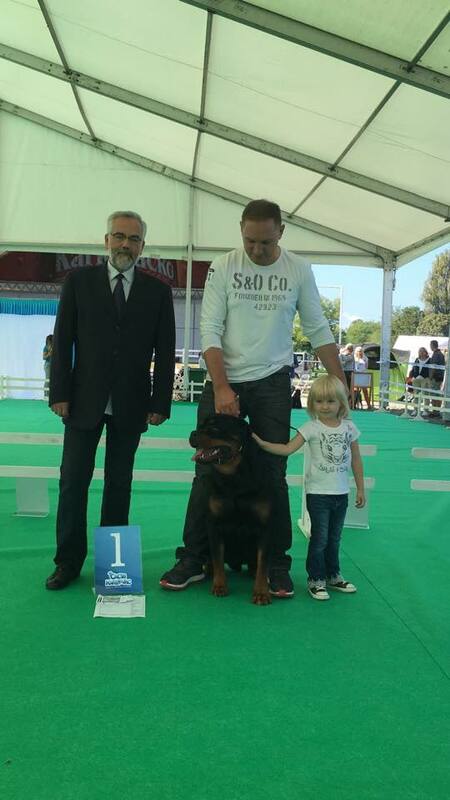 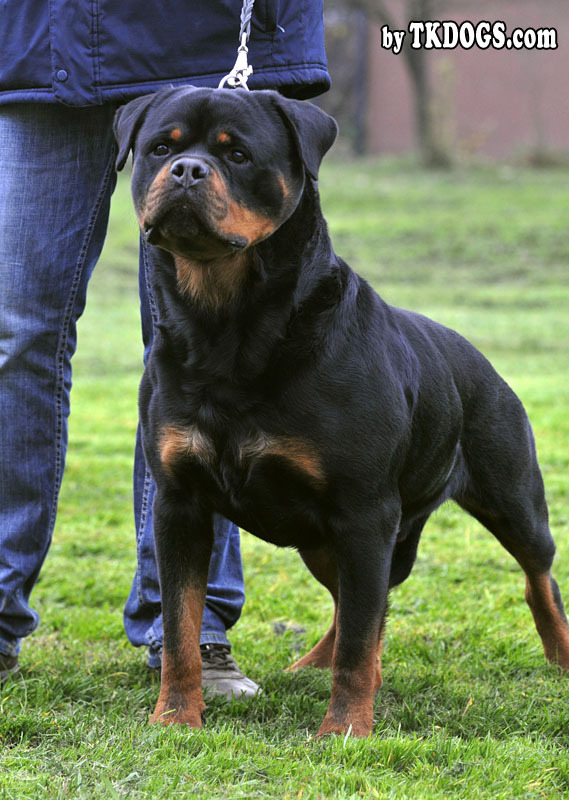 Congratulations to our friend Daniel (Dassa Rottweilers) on great results! 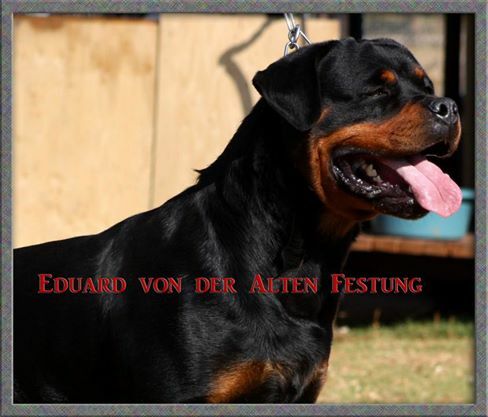 Thanks to our friend Avninder for beautiful pictures! 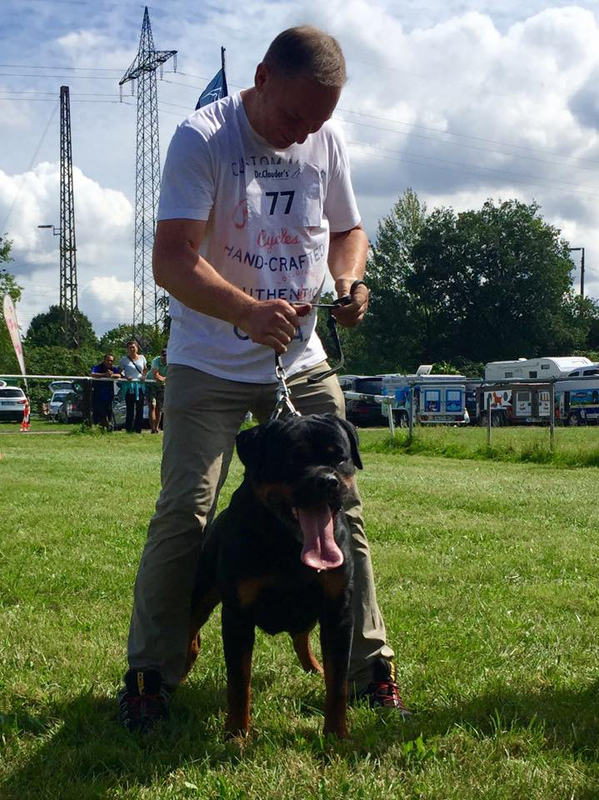 Mike is now Young Champion! 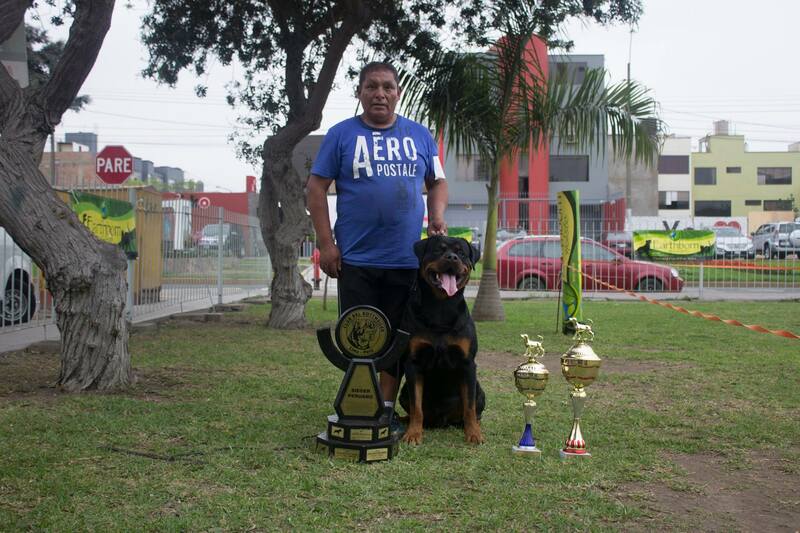 Congratulations to our friend Luis on great results ! 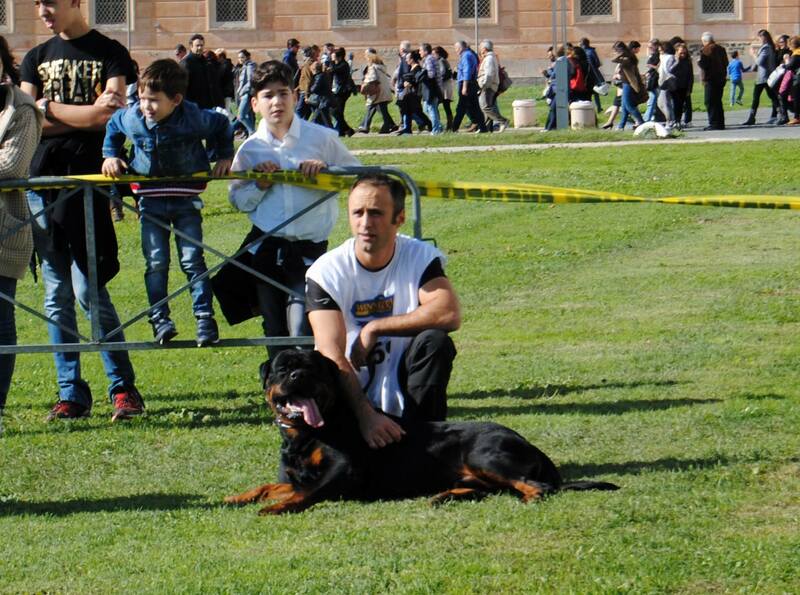 Thanks to our friend Mario for beautiful picture! 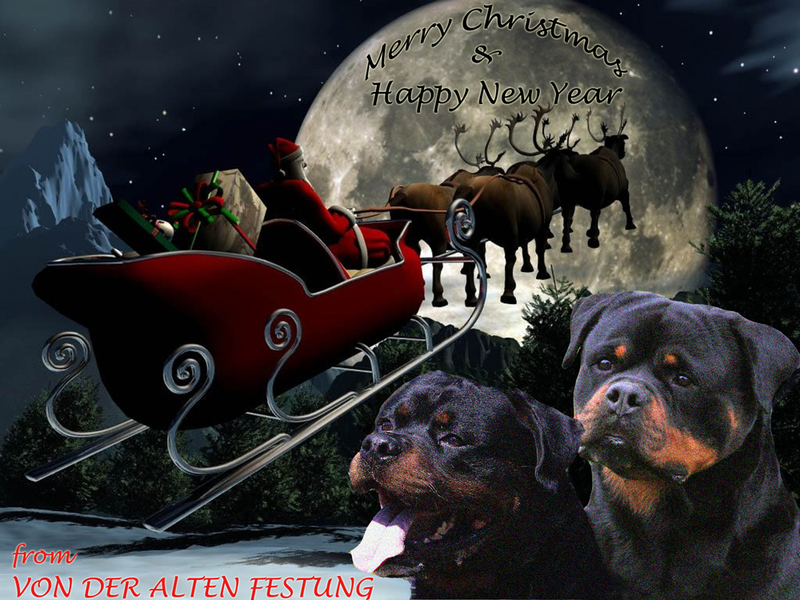 Thanks to our friend Annie for beautiful picture! 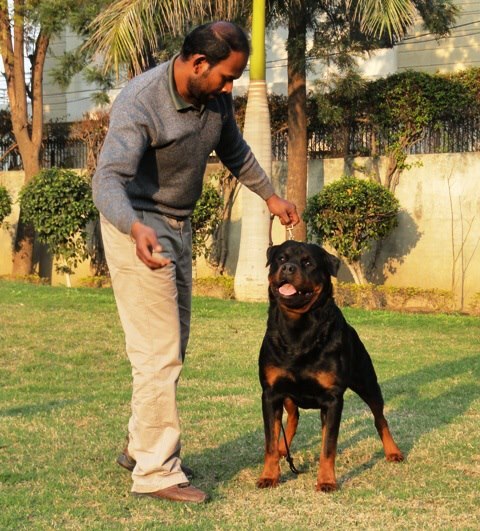 Thanks to our friend Pradeep Joshi for beautiful picture and congratulations on Ex's achievements! 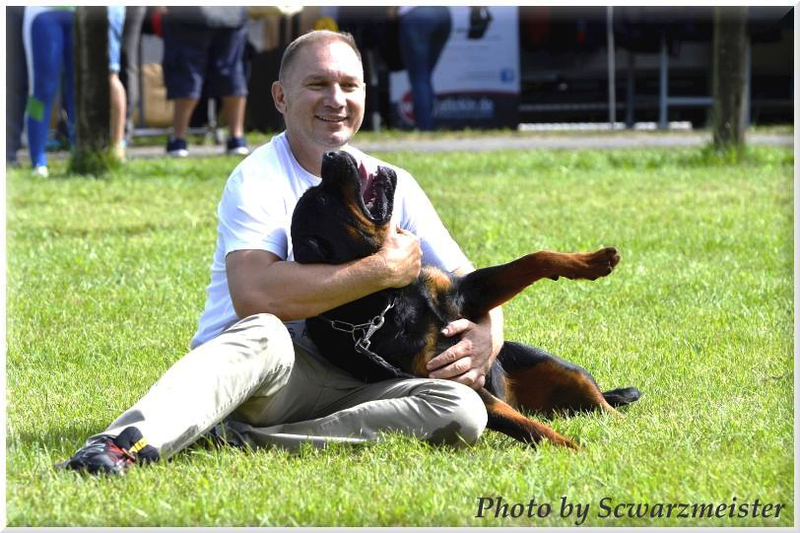 Congratulations to our friend Dave for winning USRC National Youth Sieger with Grom! 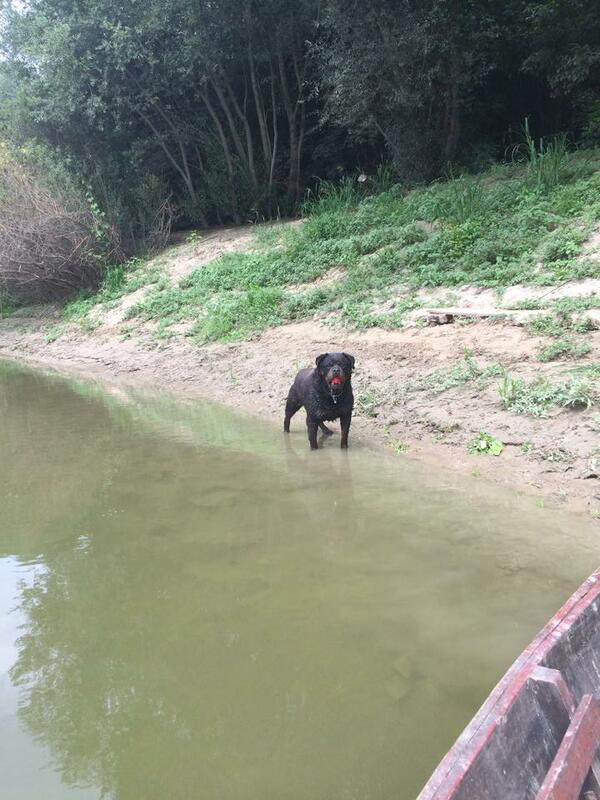 Thanks to our friend Grace for beautiful photo! 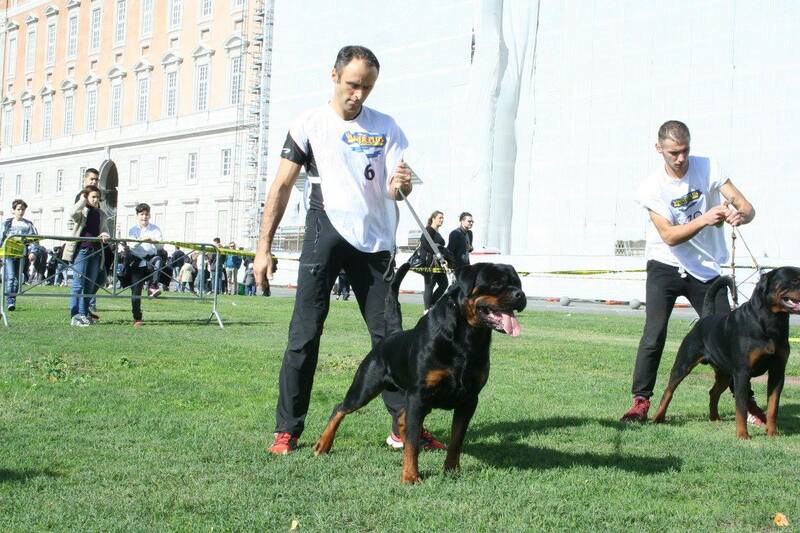 Thanks to our friend Mario for beautiful photo! 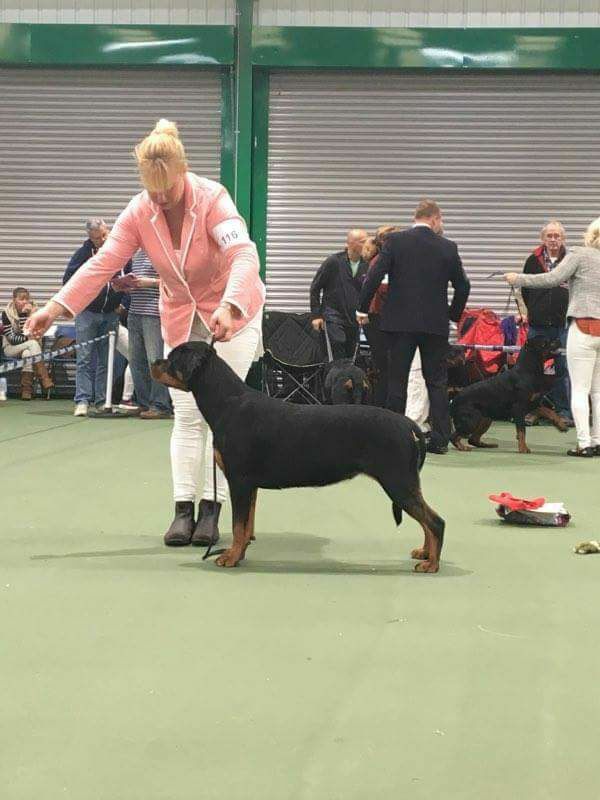 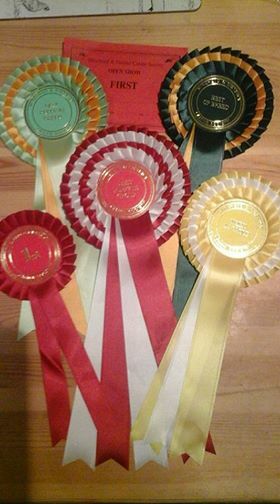 Congratulations to our friend Glynn for great result on Nora's first show! 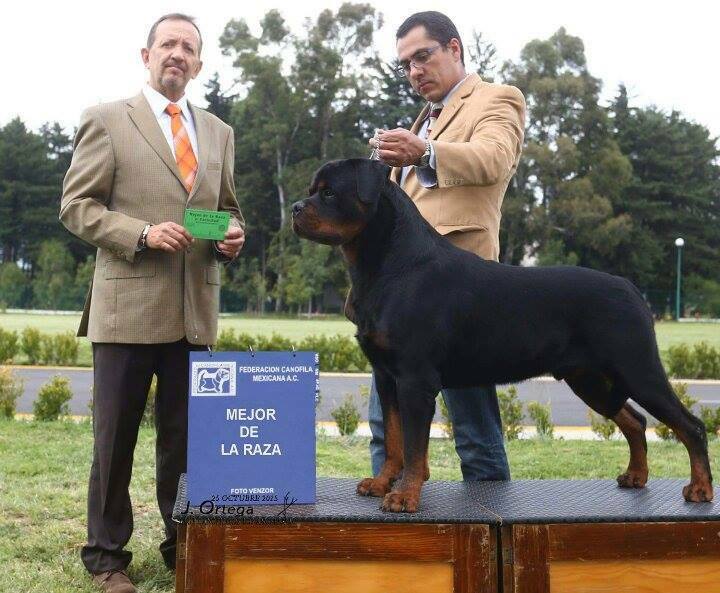 Congratulations to our friend Luis Felipe for another great result with beautiful Mike! 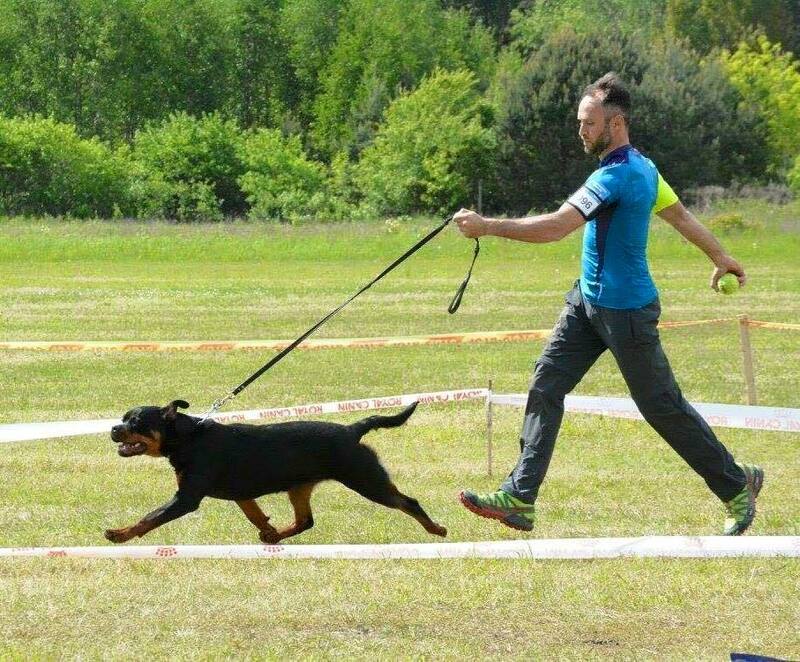 Thanks to our friend Marco for nice photo! 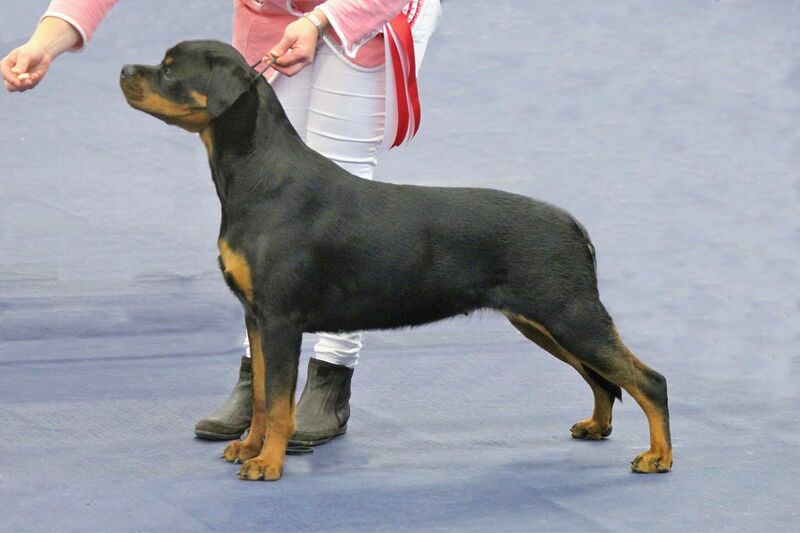 Congratulations to our friend Grace for great result with beautiful Lalla! 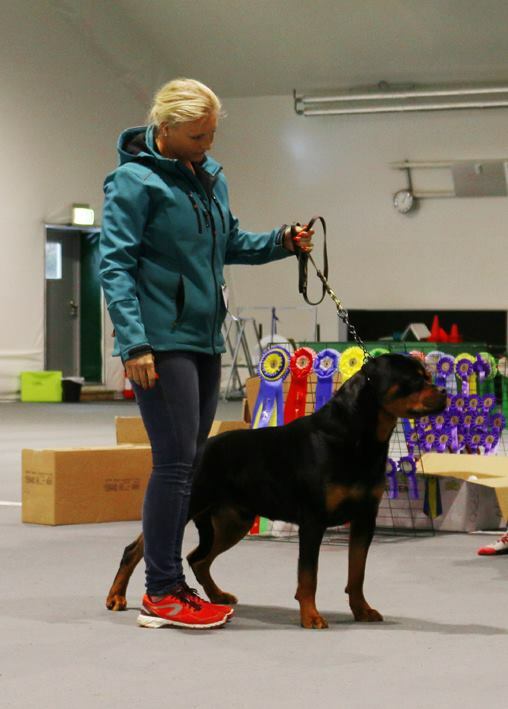 Congratulations to Annie for great result!